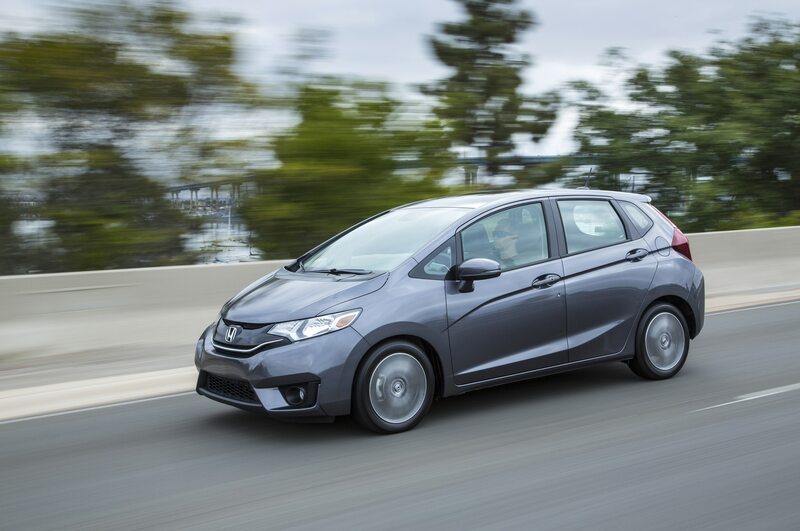 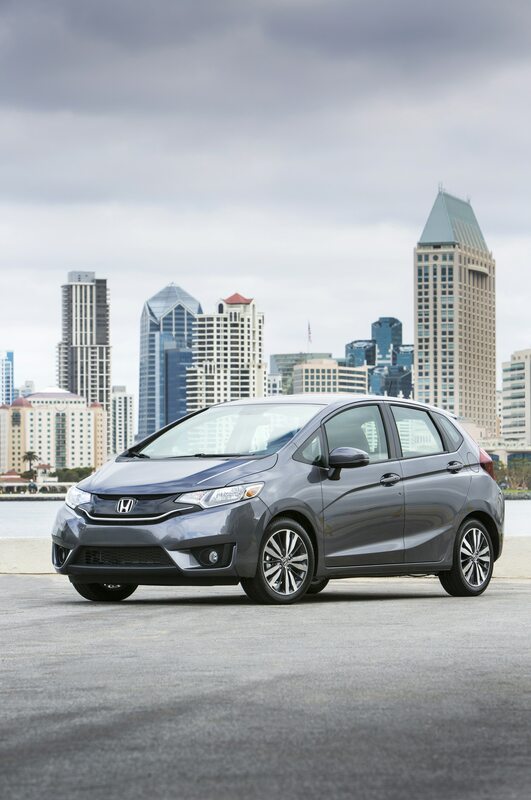 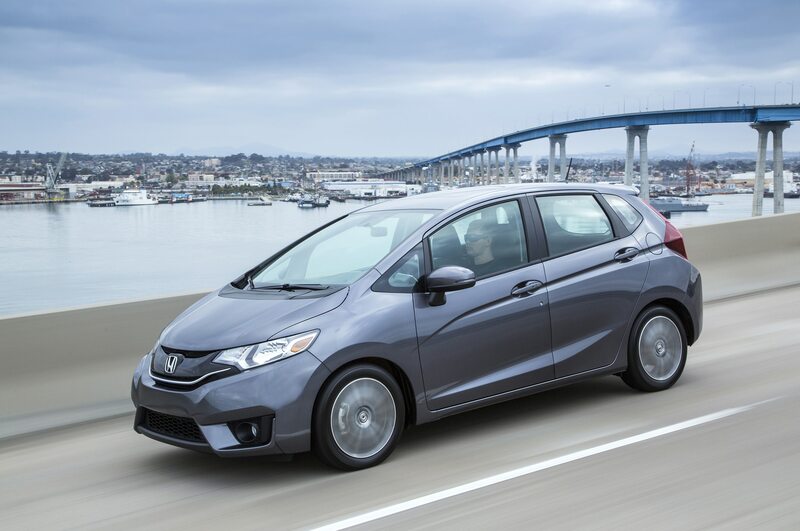 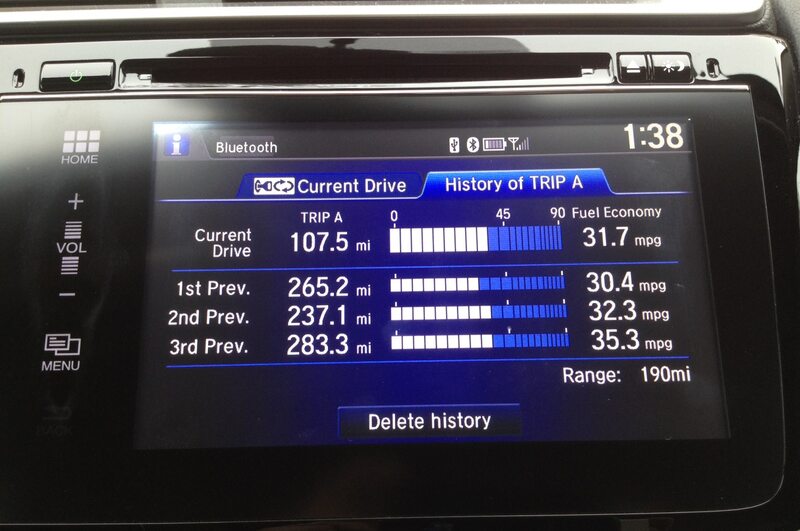 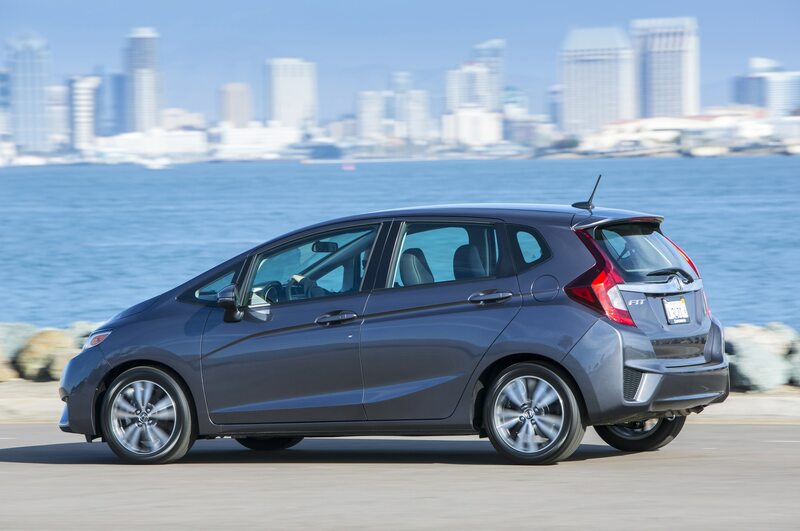 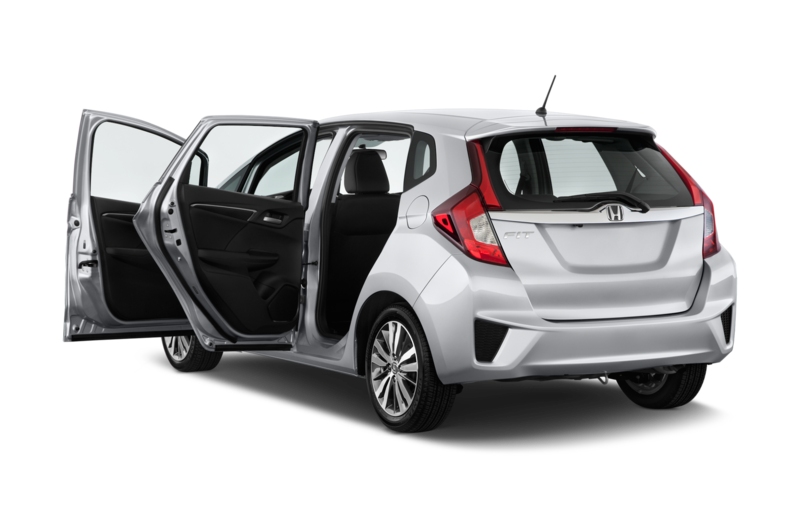 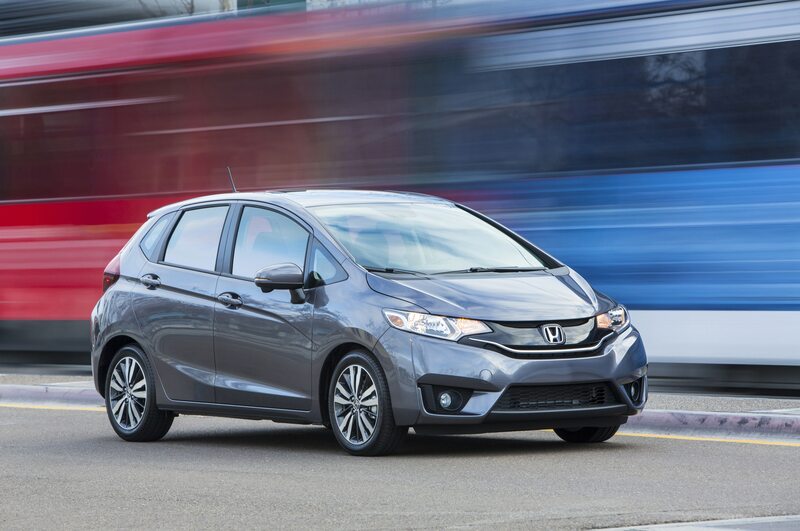 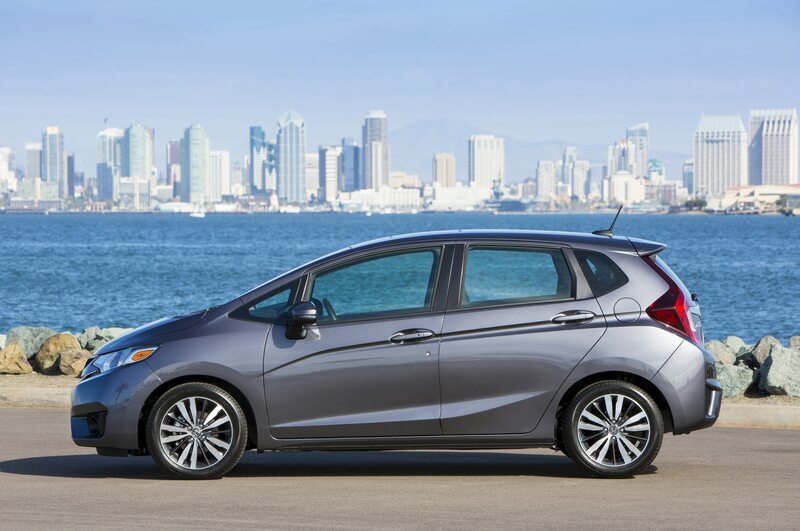 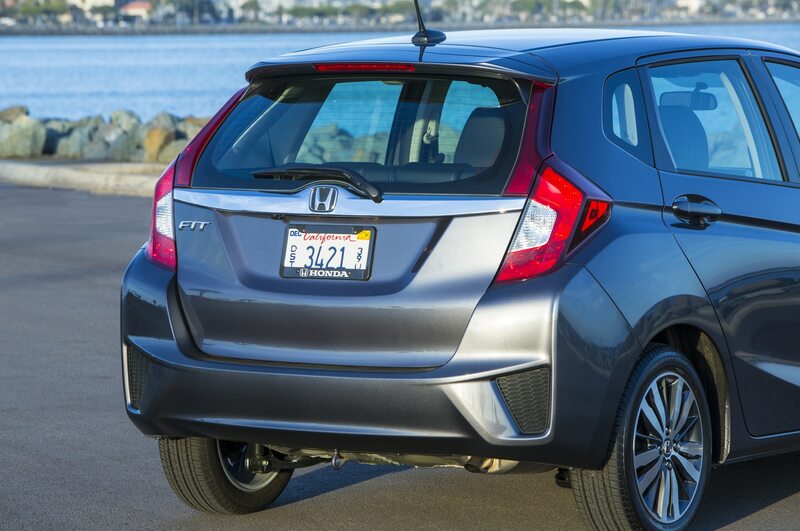 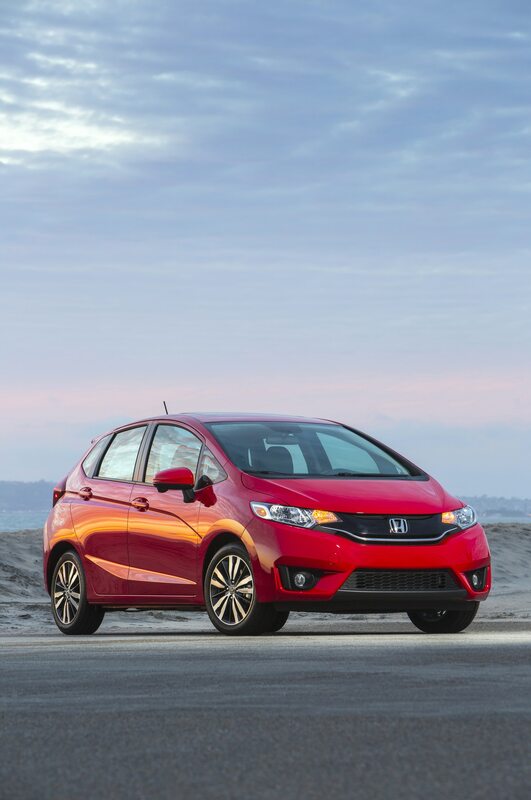 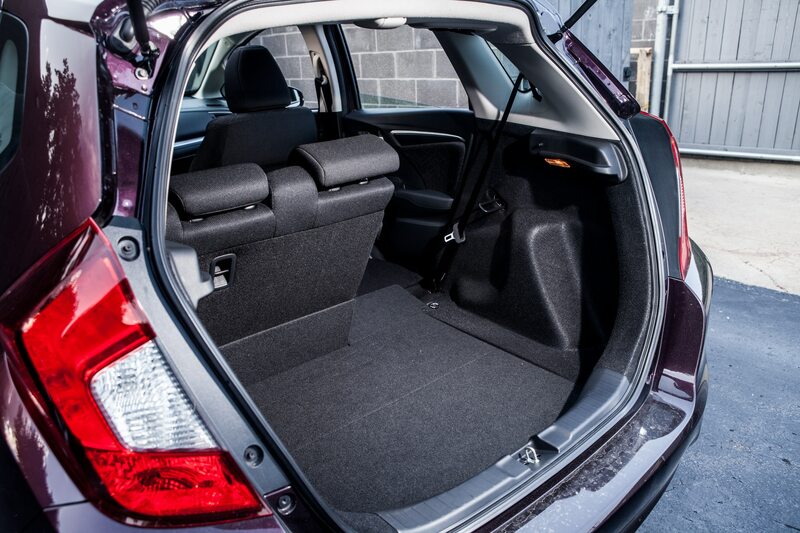 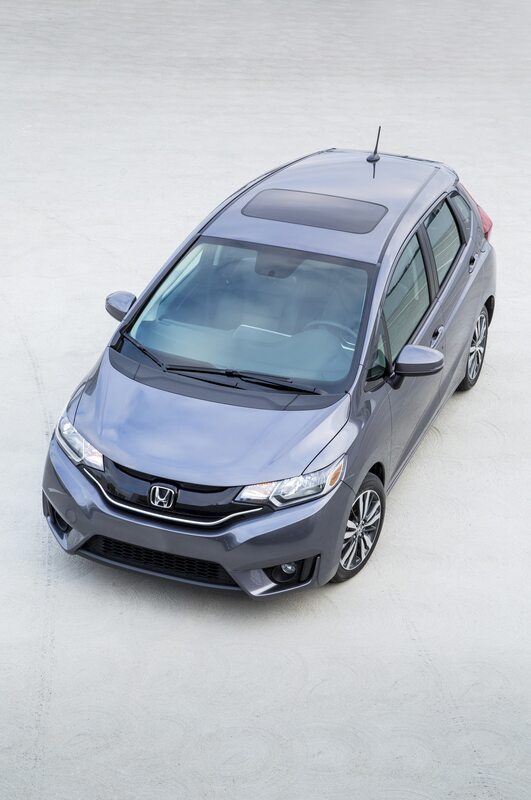 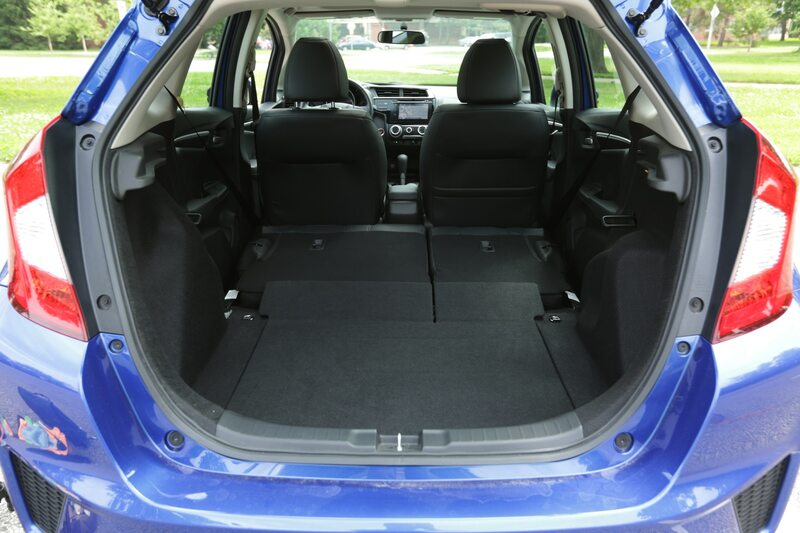 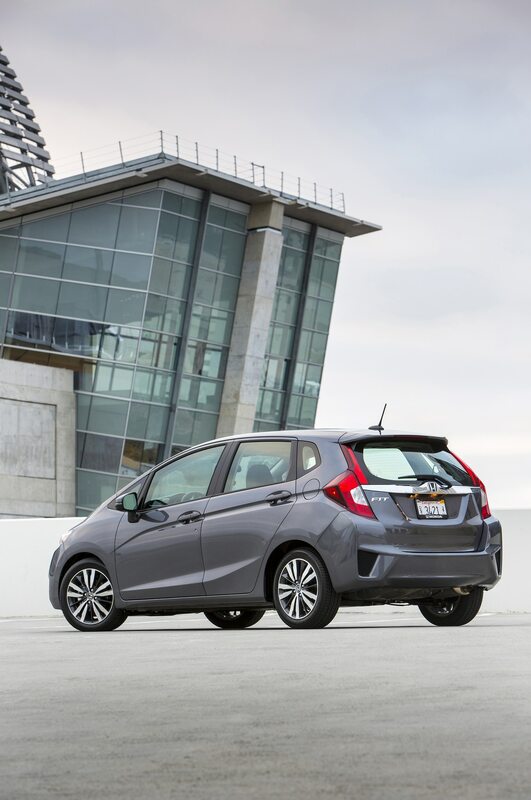 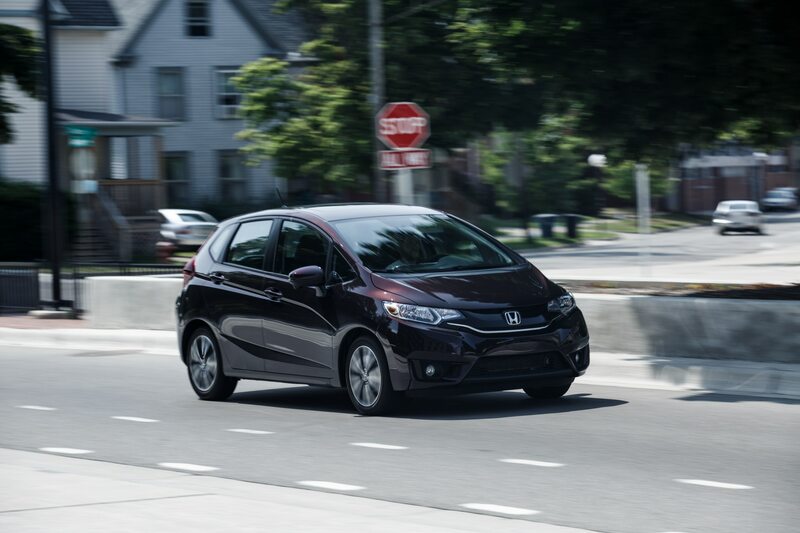 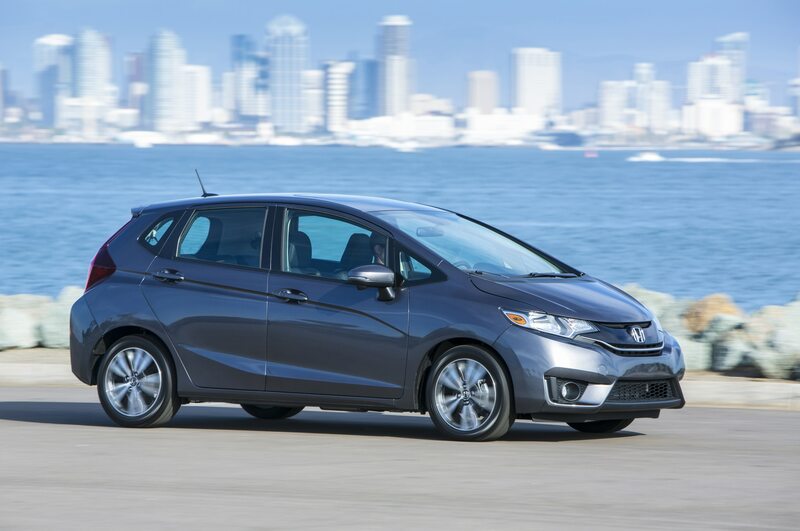 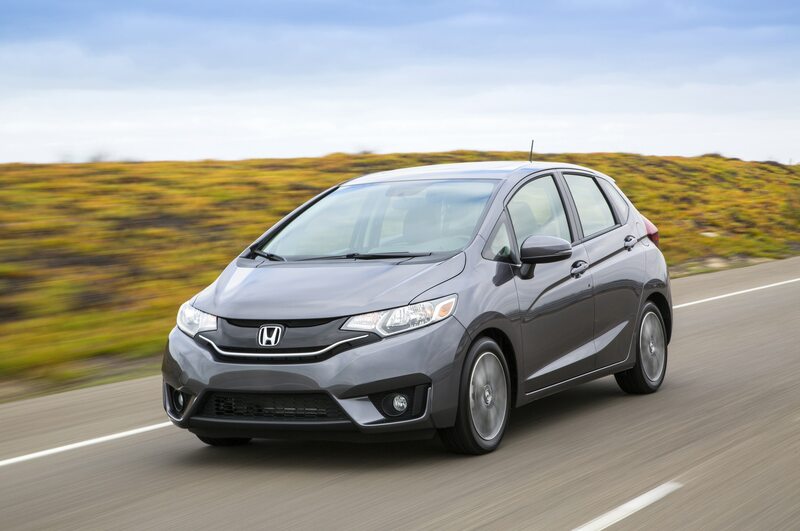 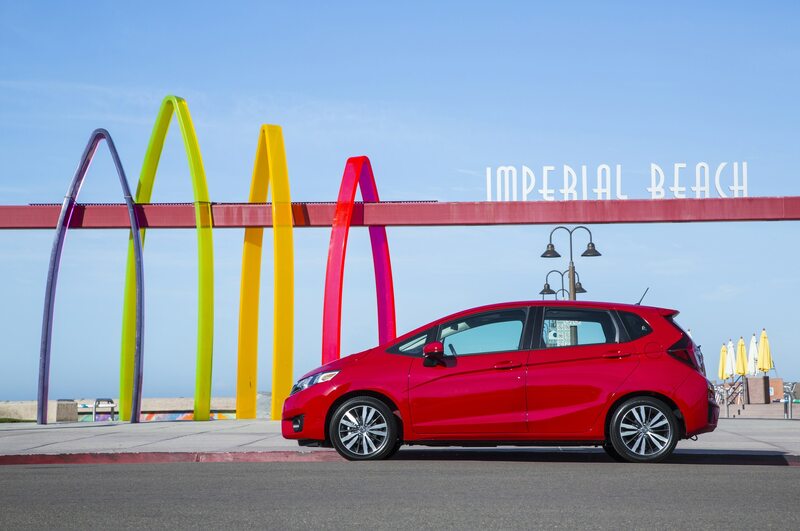 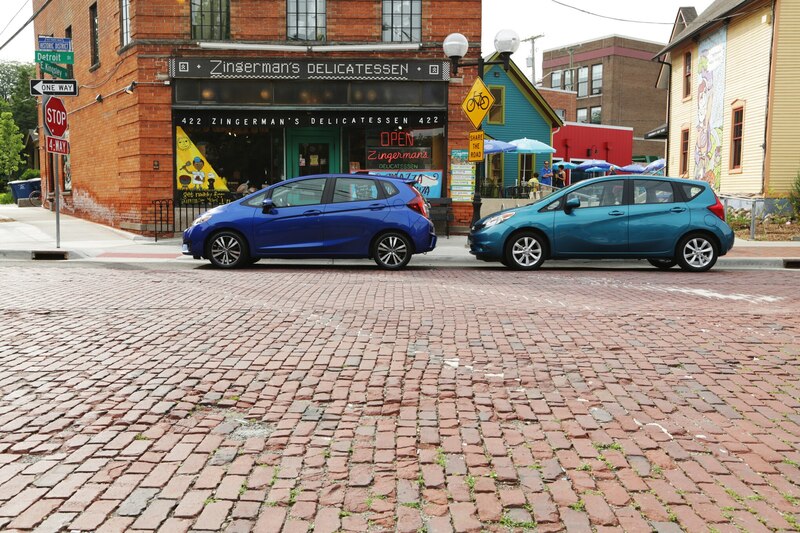 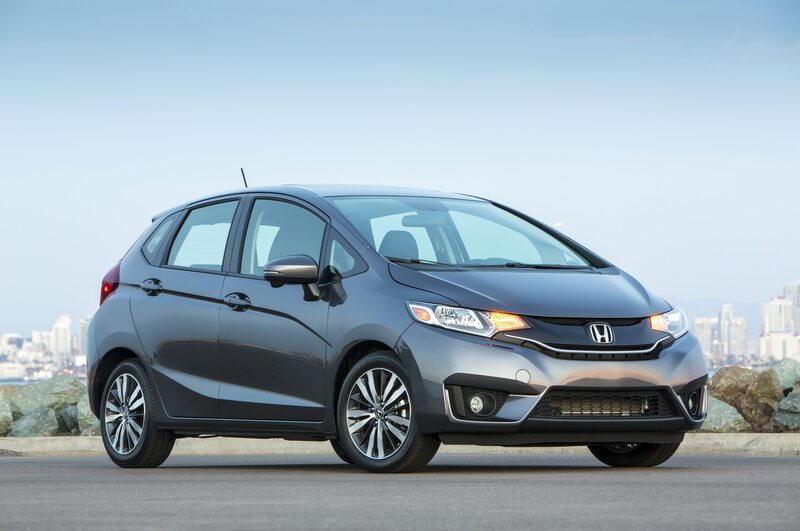 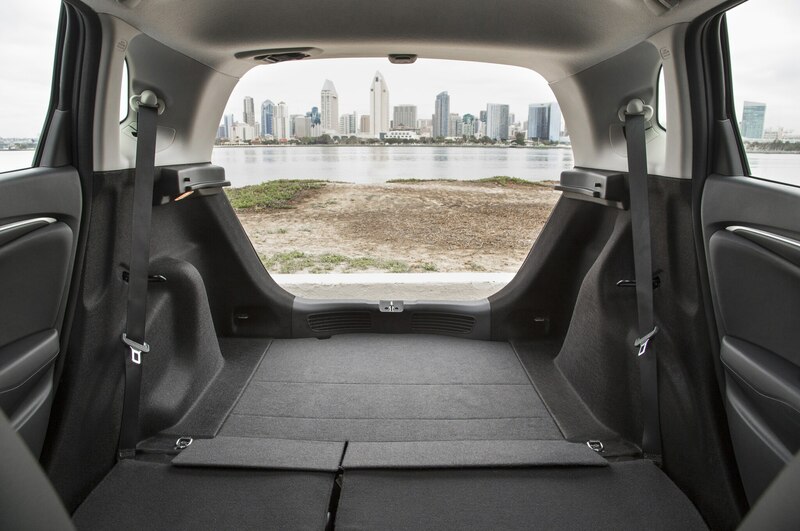 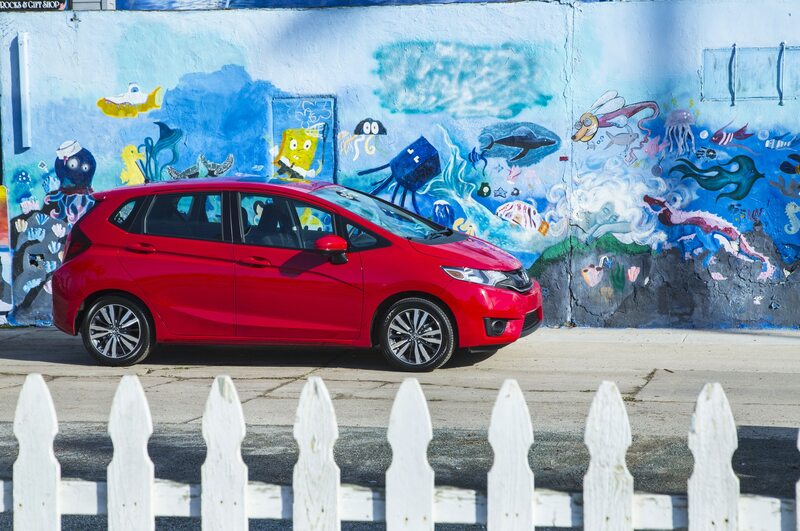 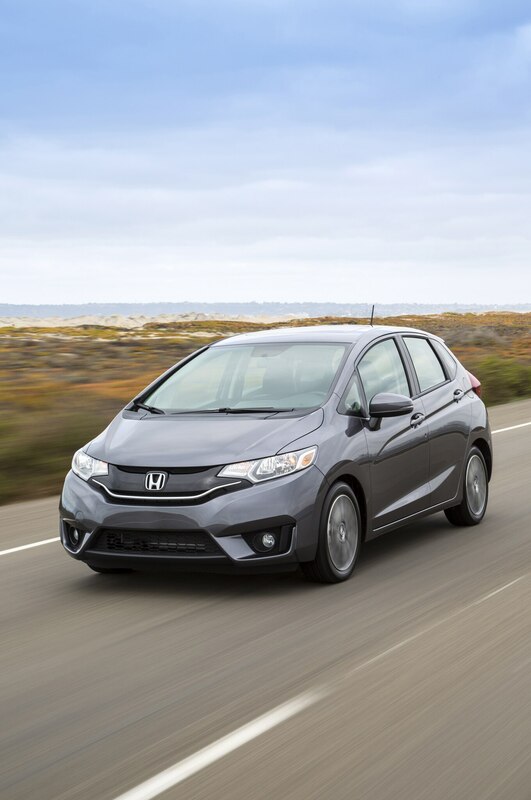 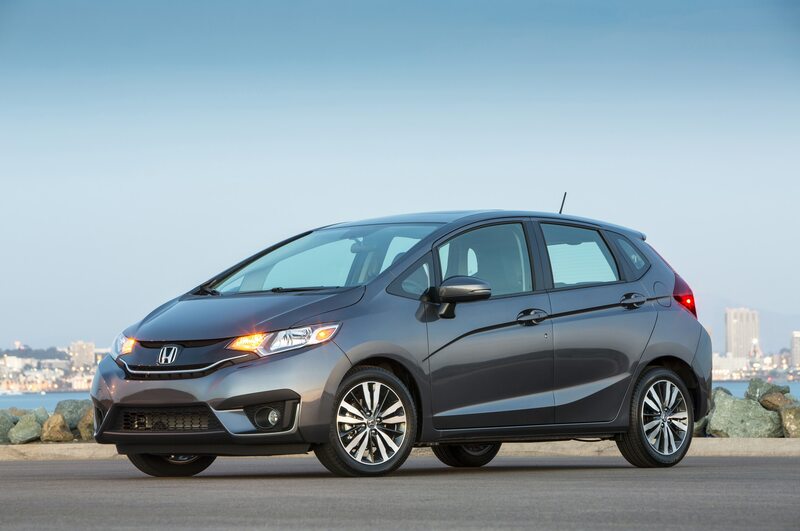 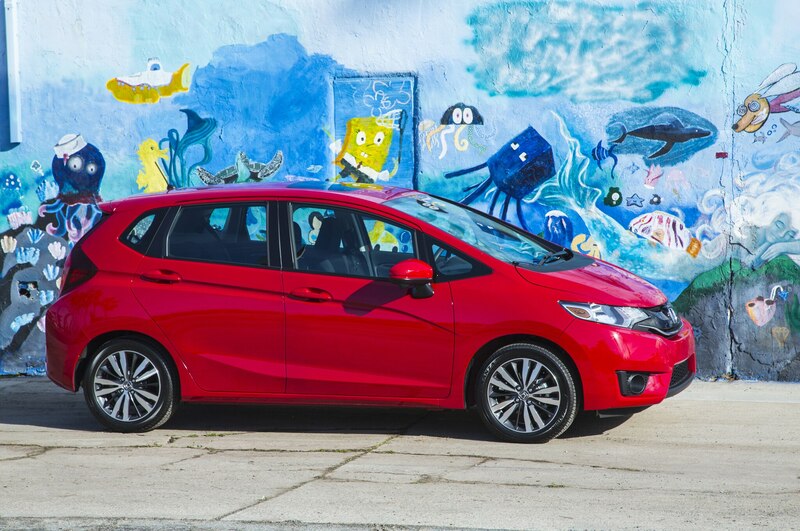 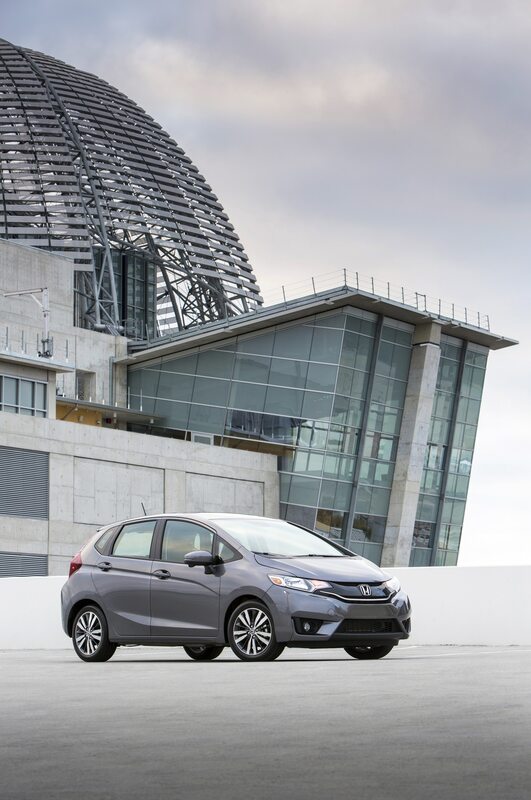 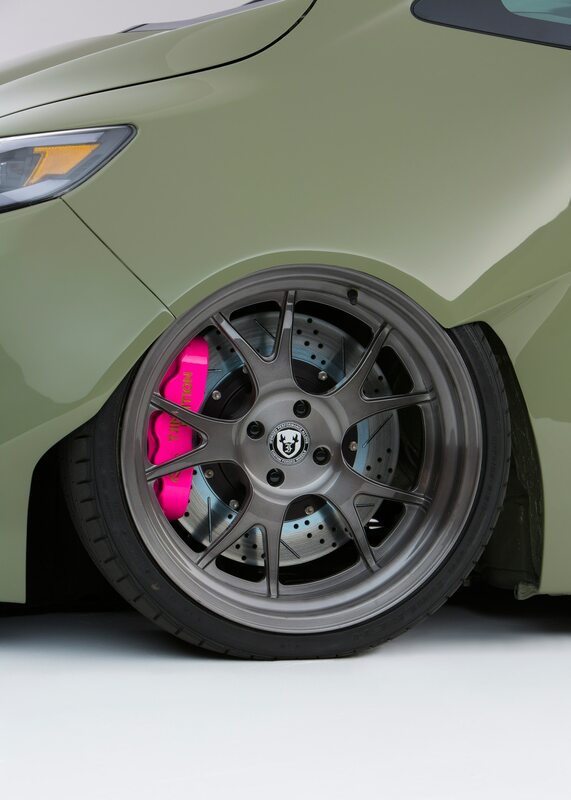 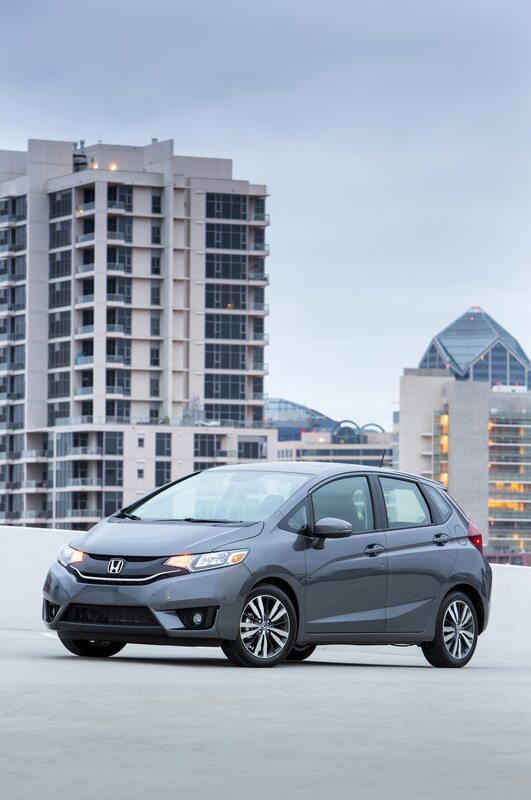 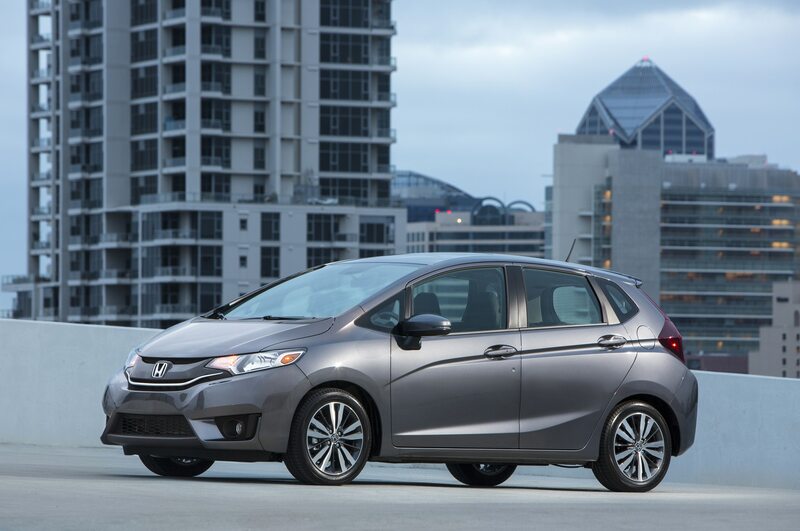 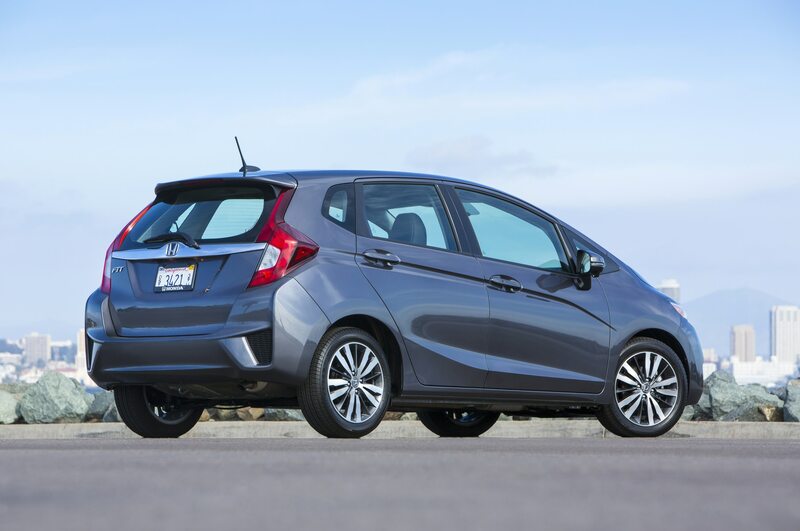 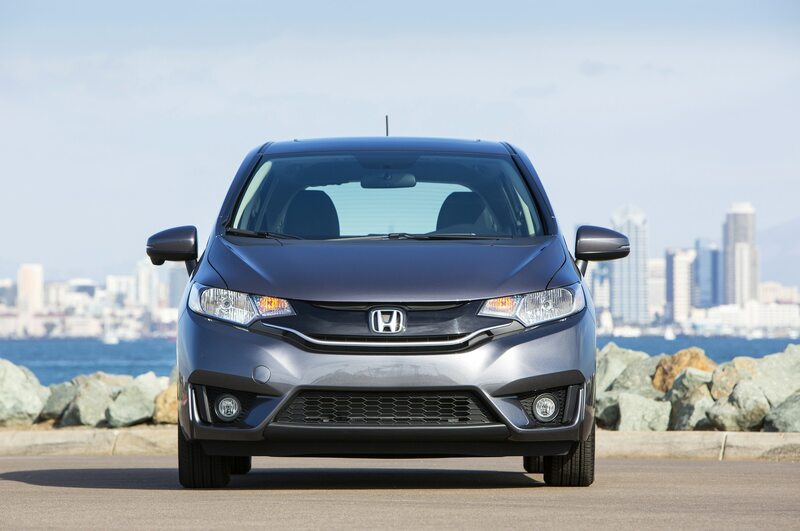 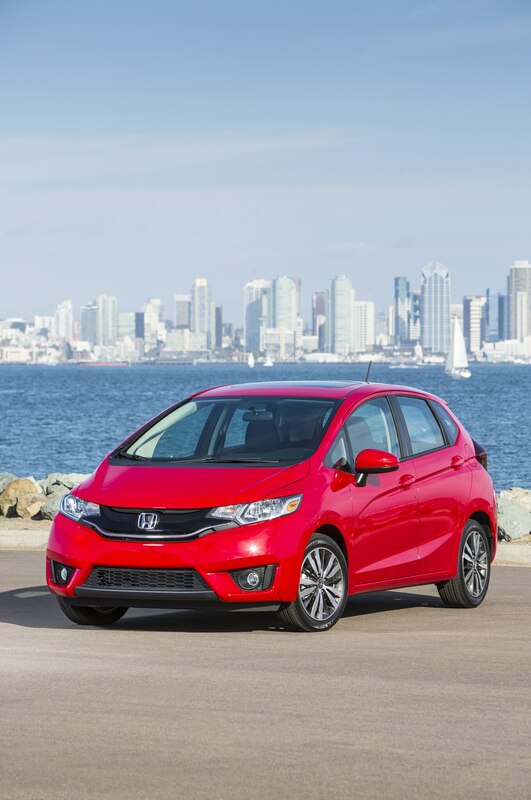 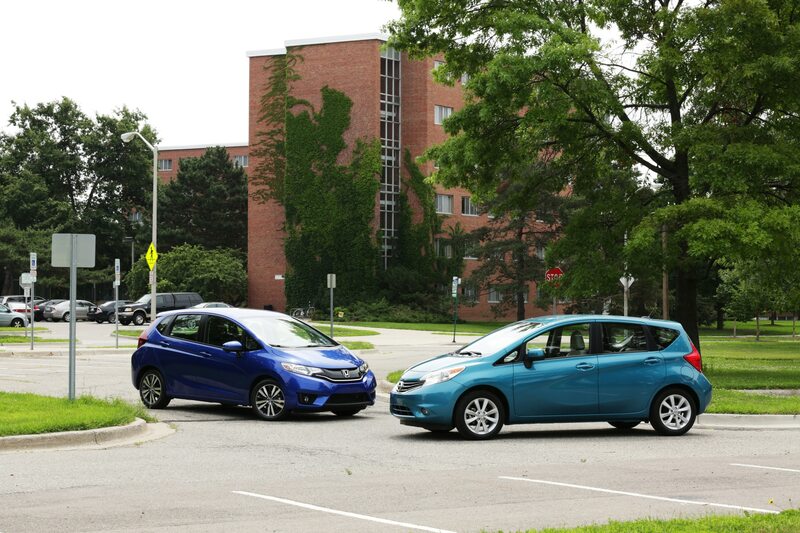 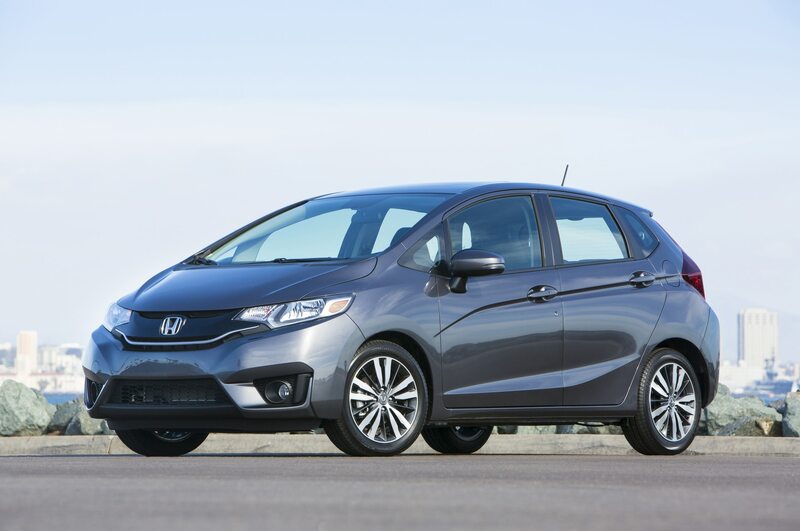 Our first drive revealed that the new 2015 Honda Fit is roomier, more efficient, and better equipped than before, but this redesigned hatchback doesn’t go up much in price compared with its predecessor. 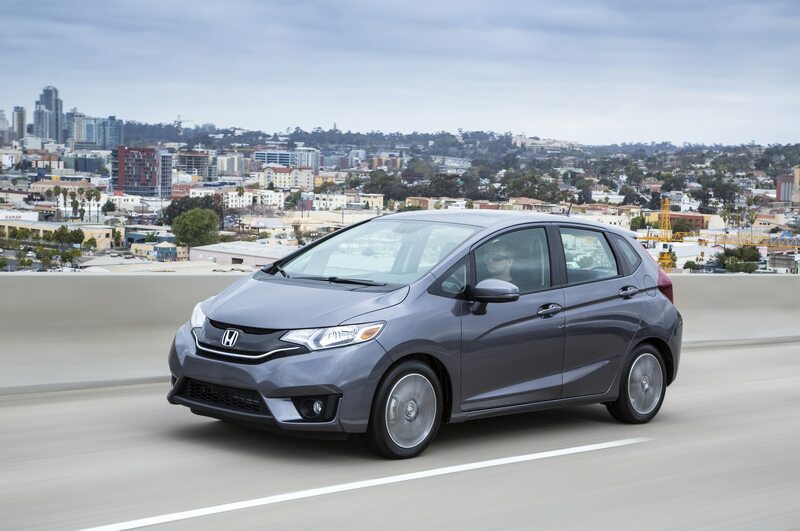 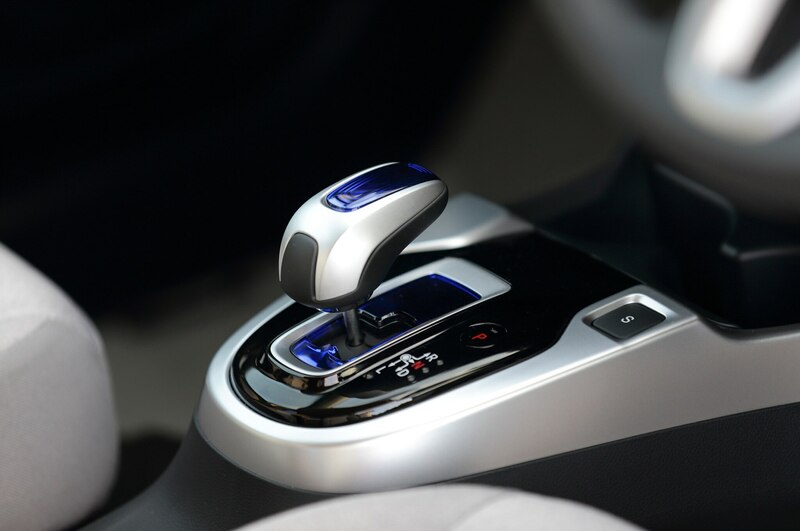 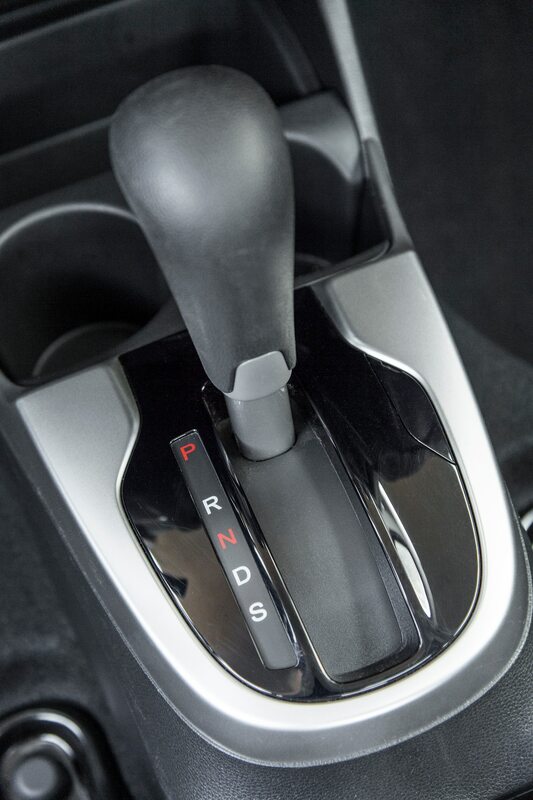 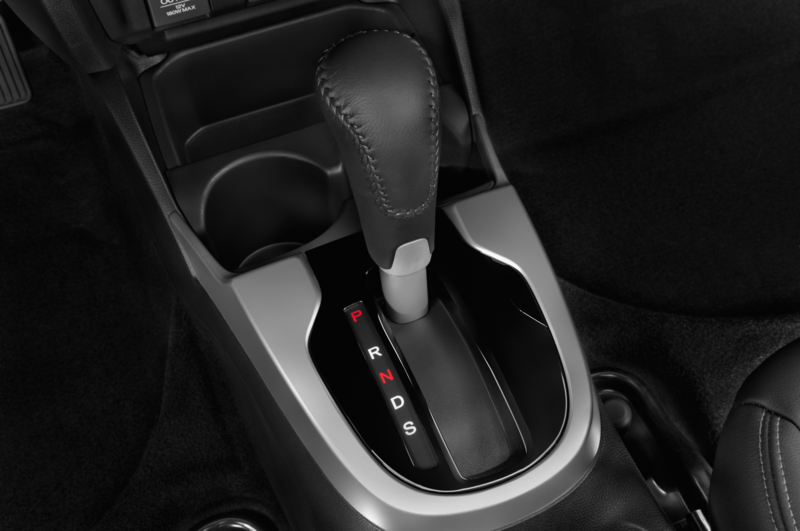 The base model Fit LX with the standard six-speed manual transmission starts at $16,315 with destination, just $100 more than a 2013 Fit base (the car skips the 2014 model year). 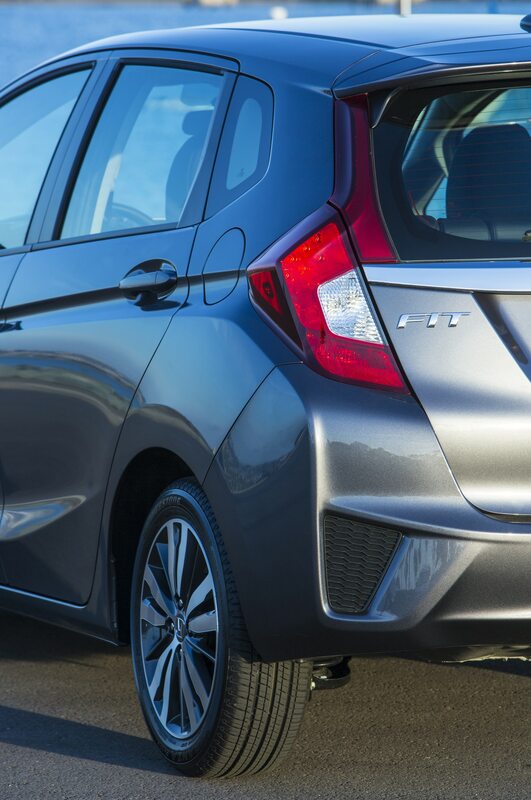 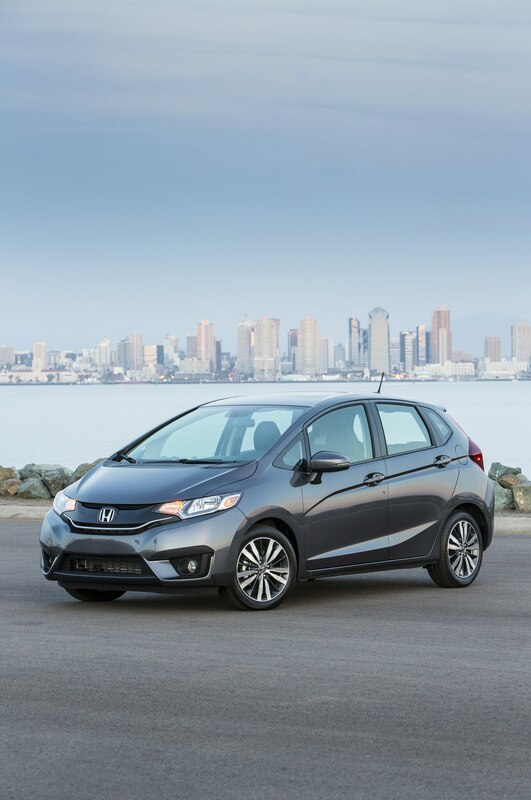 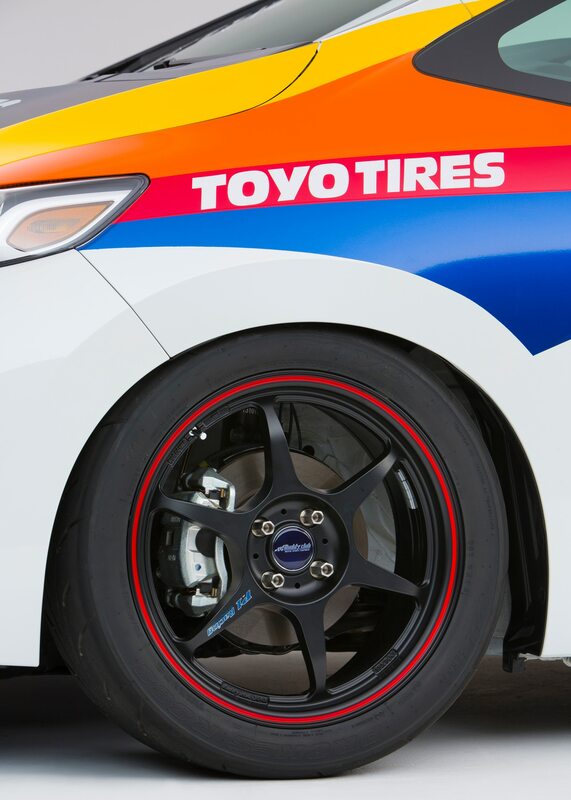 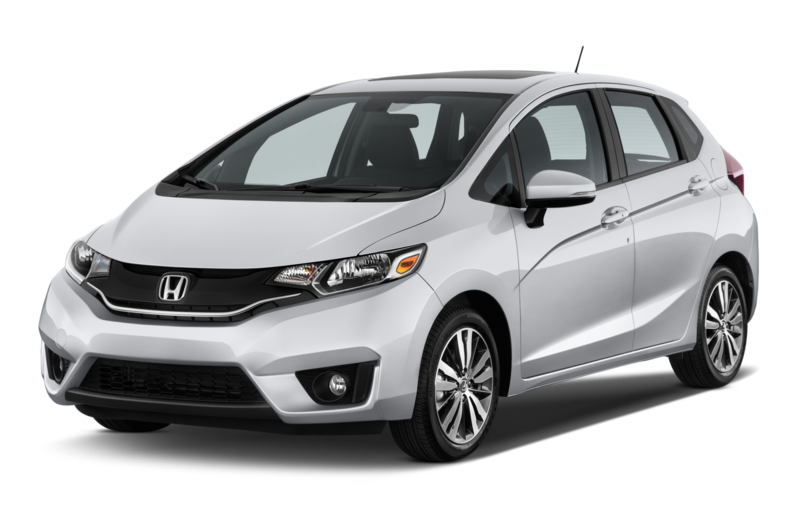 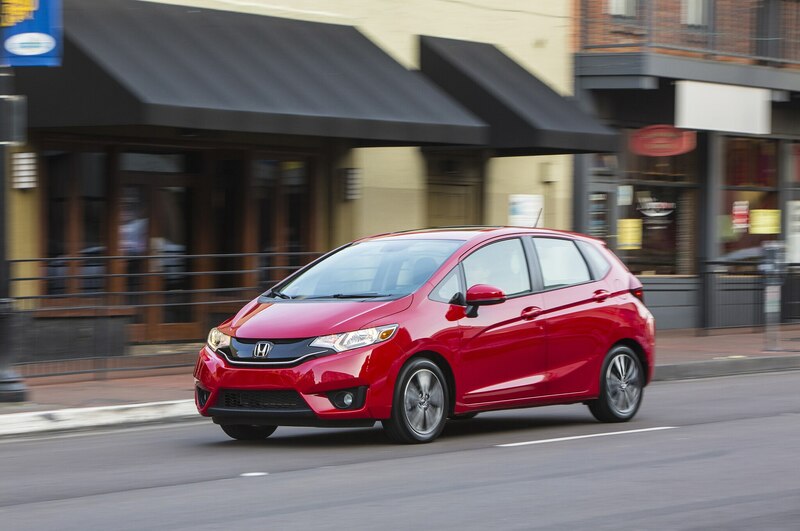 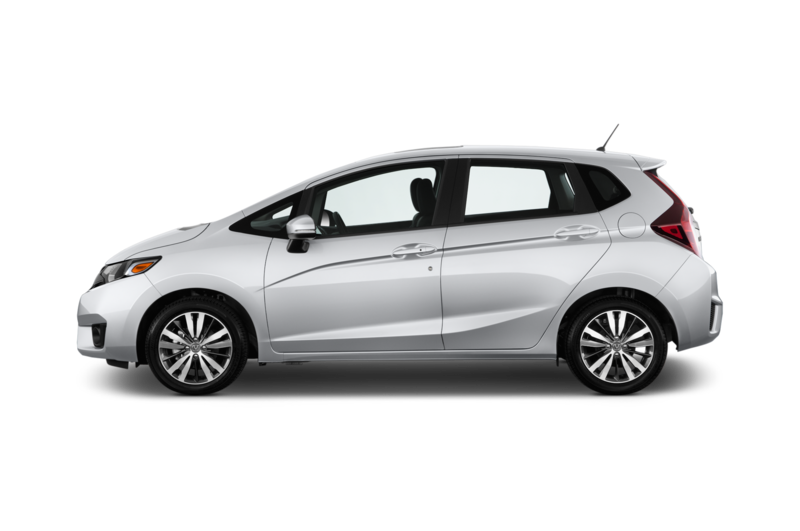 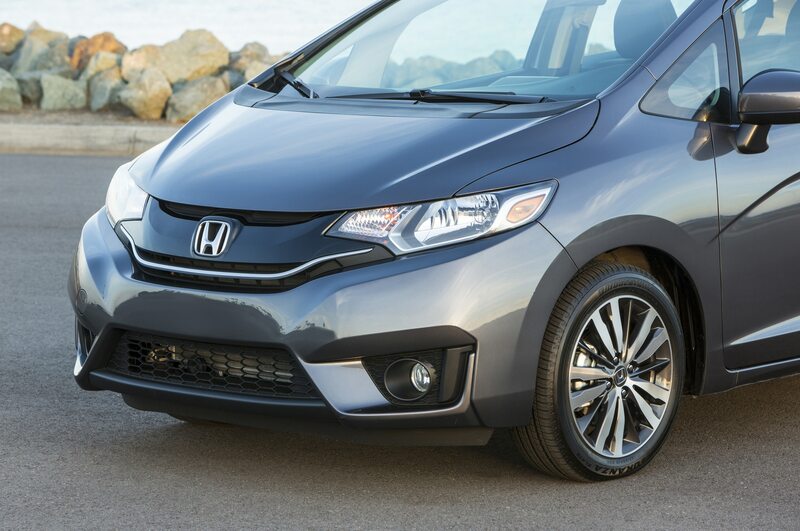 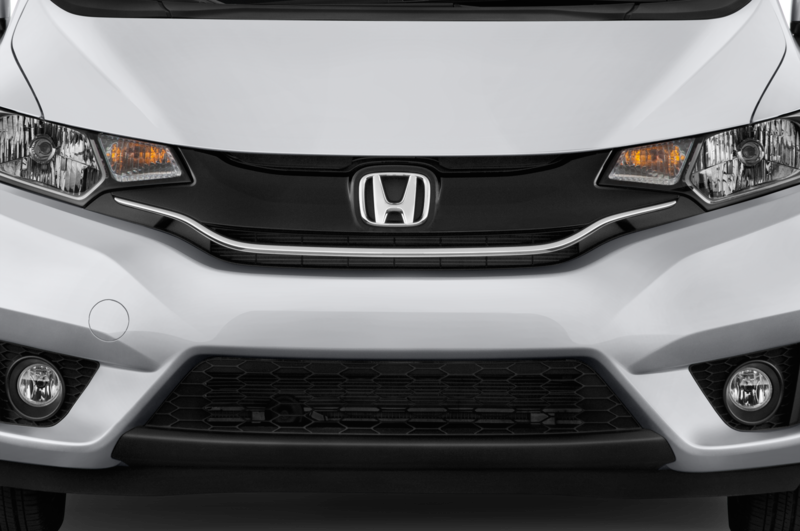 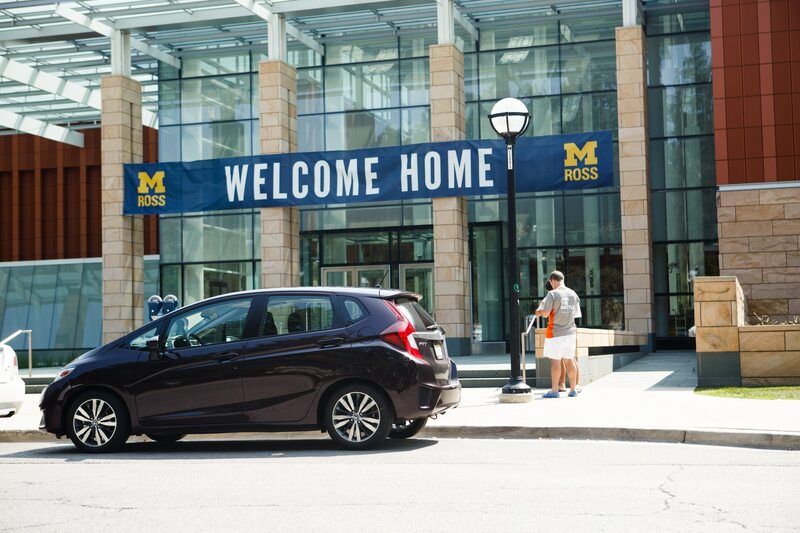 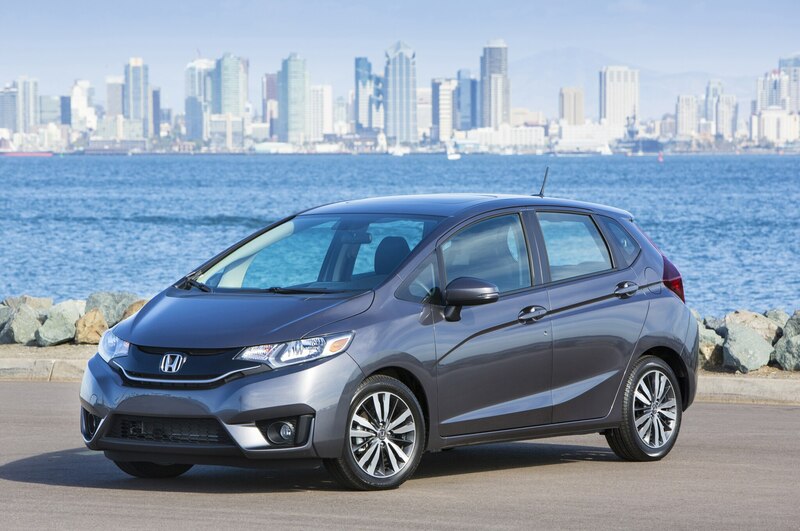 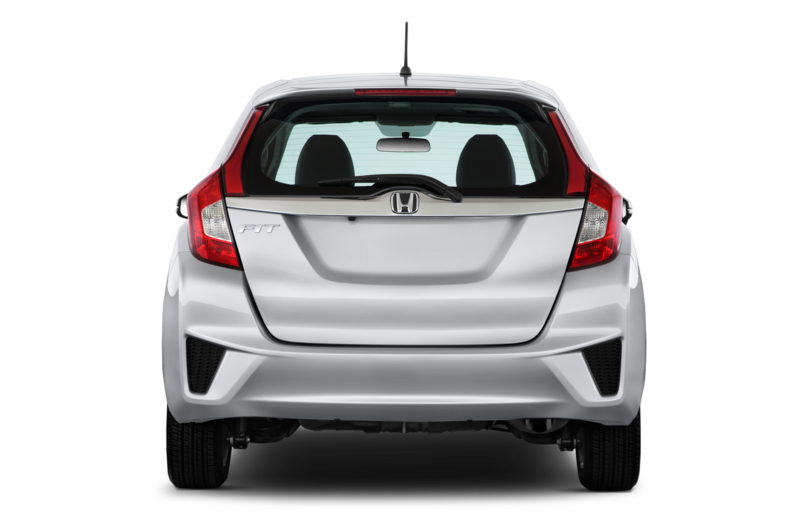 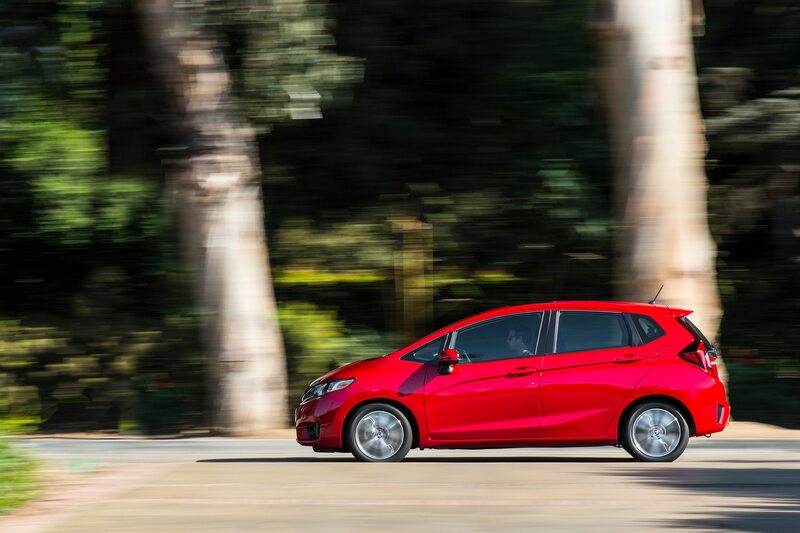 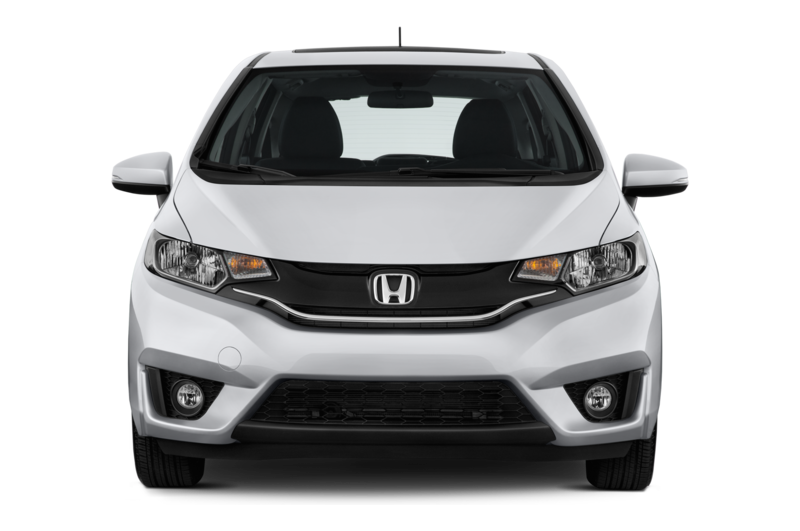 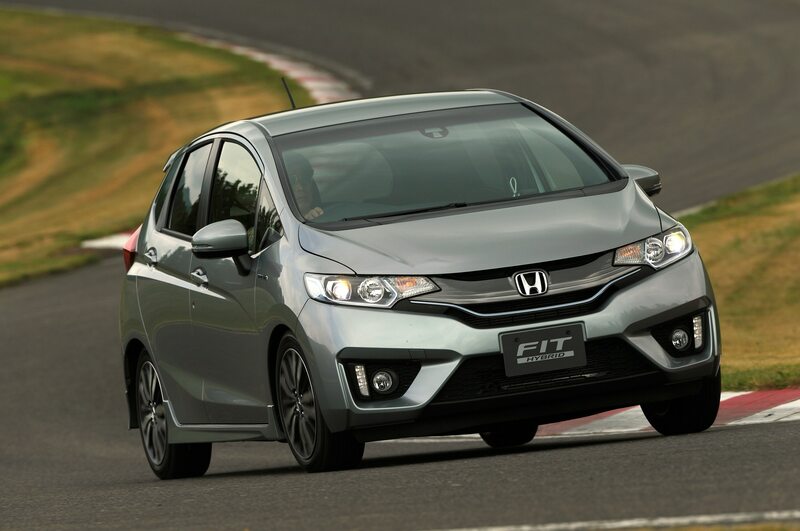 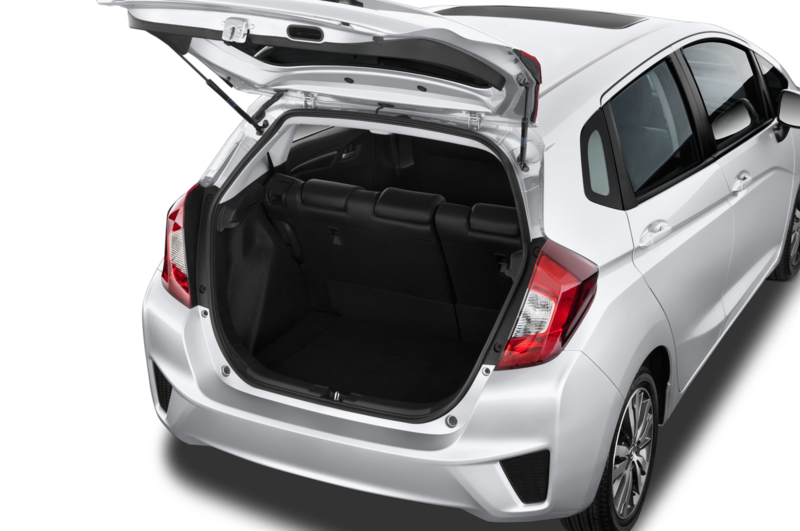 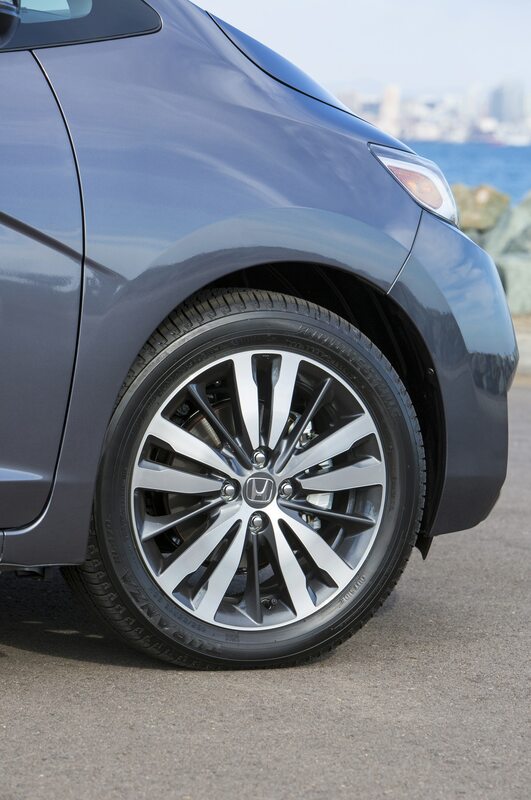 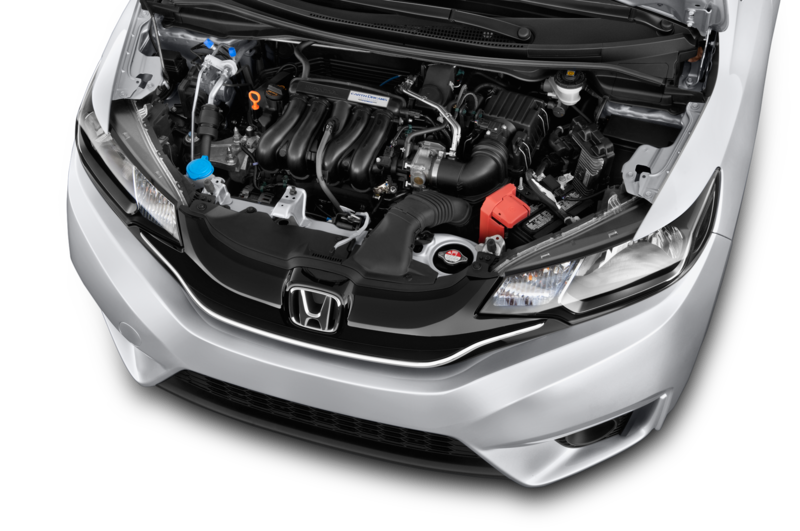 The new Honda Fit moves away from the previous Fit’s base and Sport trim levels in favor of Honda’s more traditional LX, EX, EX-L, and EX-L with Navigation pricing structure. 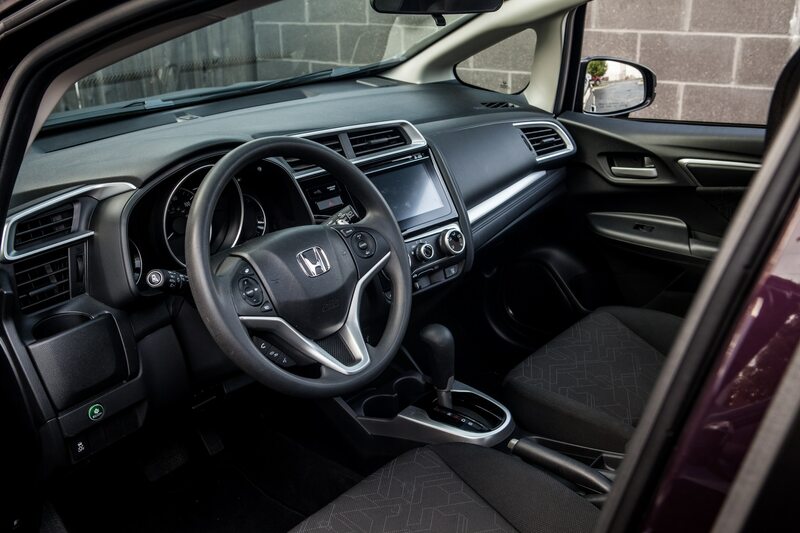 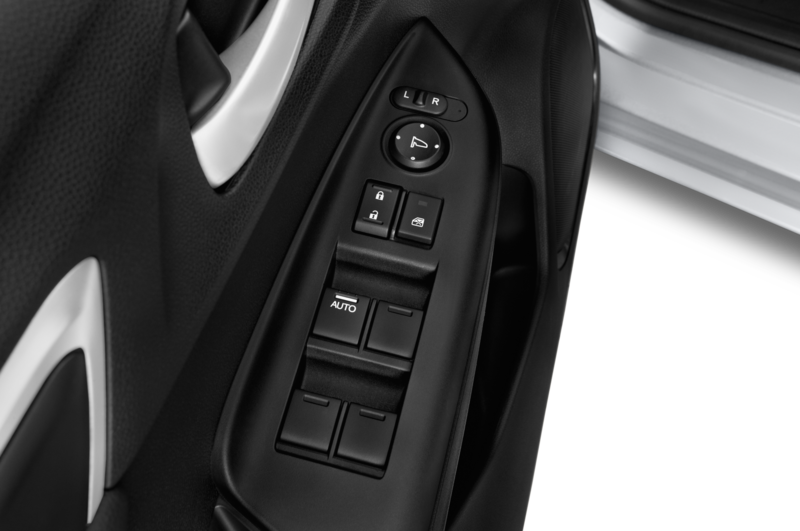 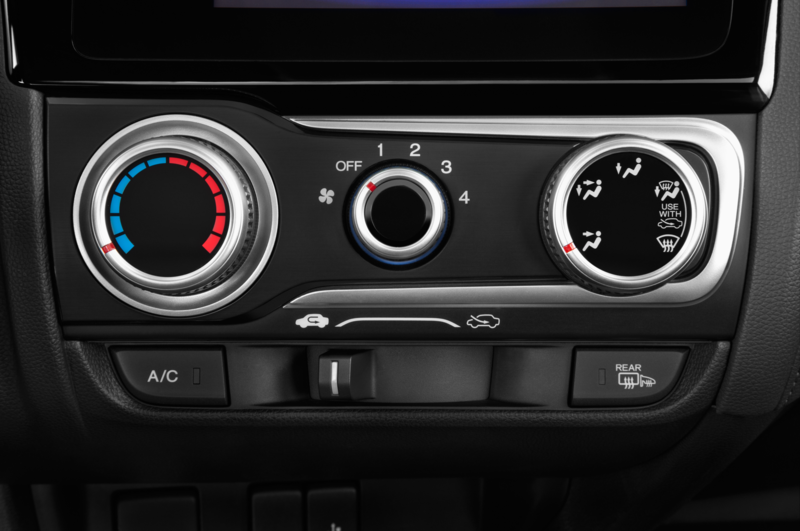 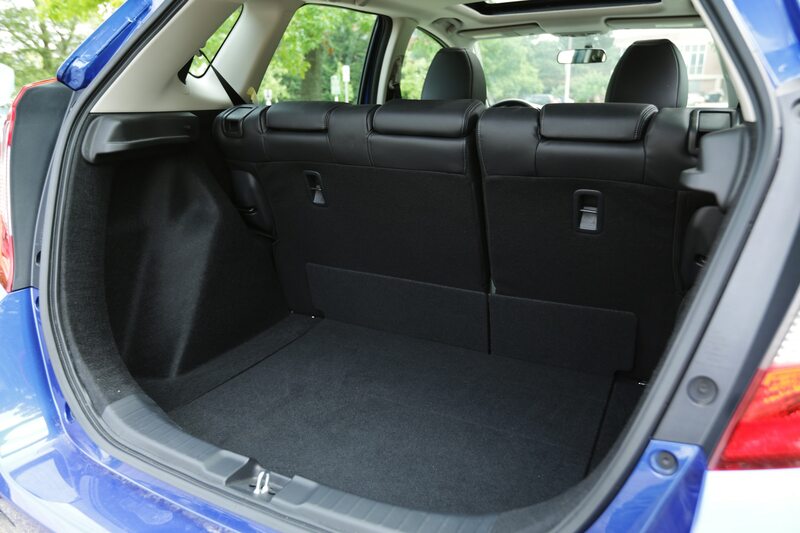 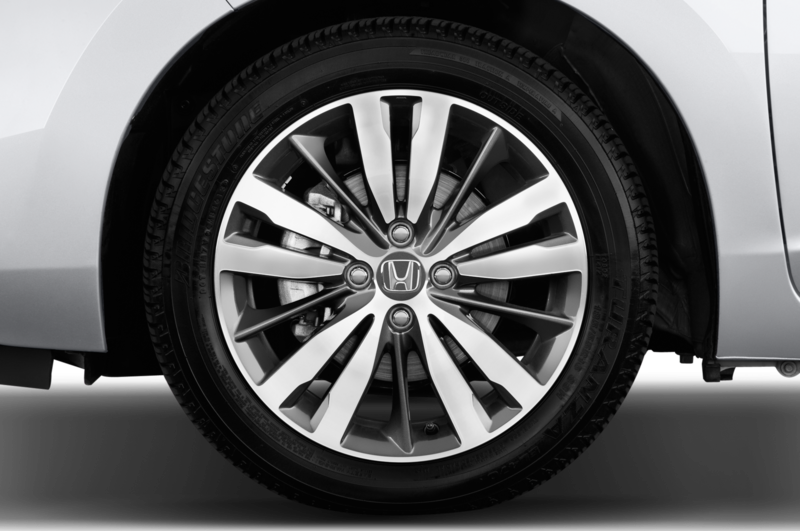 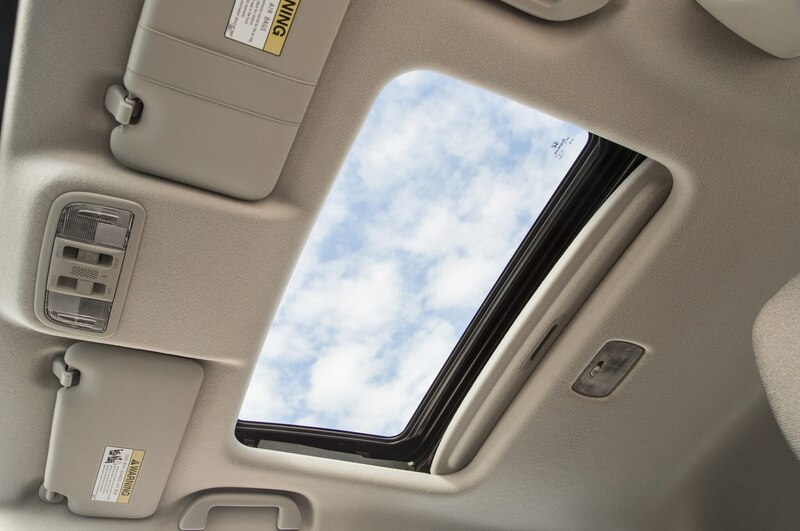 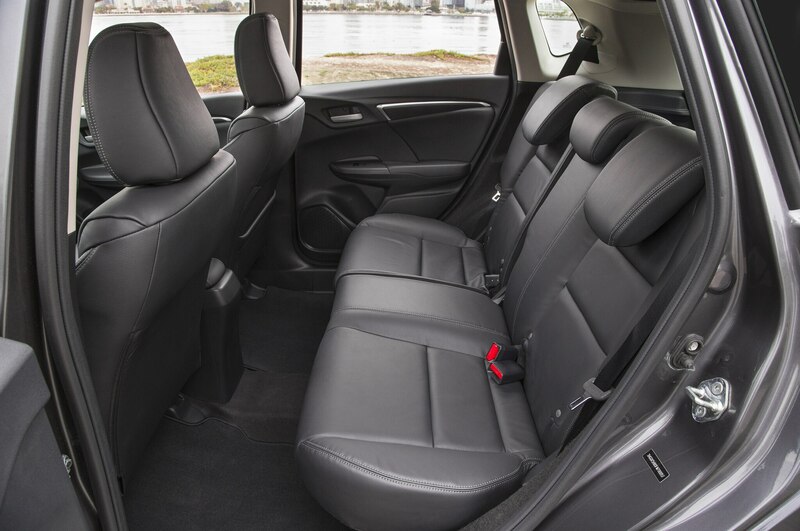 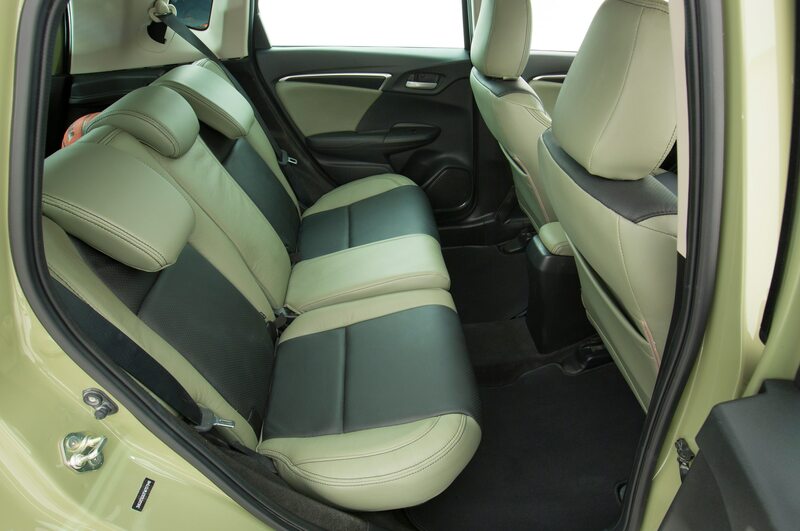 Each of these trim levels packs a longer list of standard equipment, with the LX including Bluetooth, a backup camera, automatic headlights, cruise control, remote keyless entry, and a five-inch display audio system. 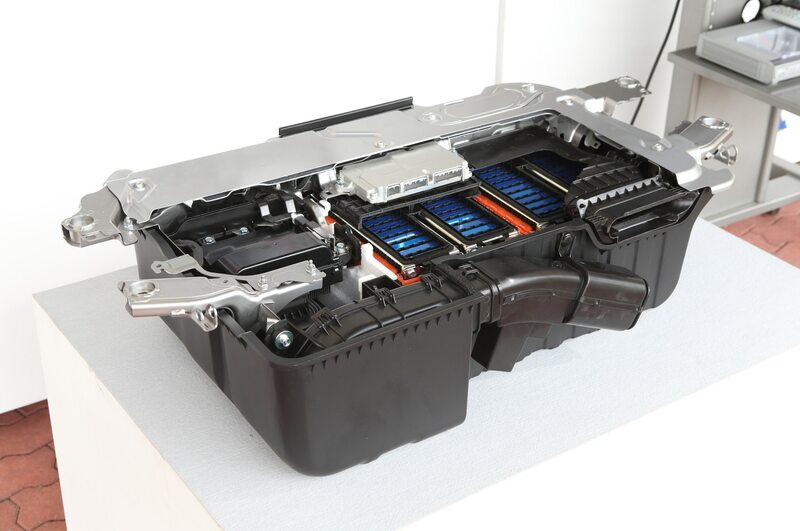 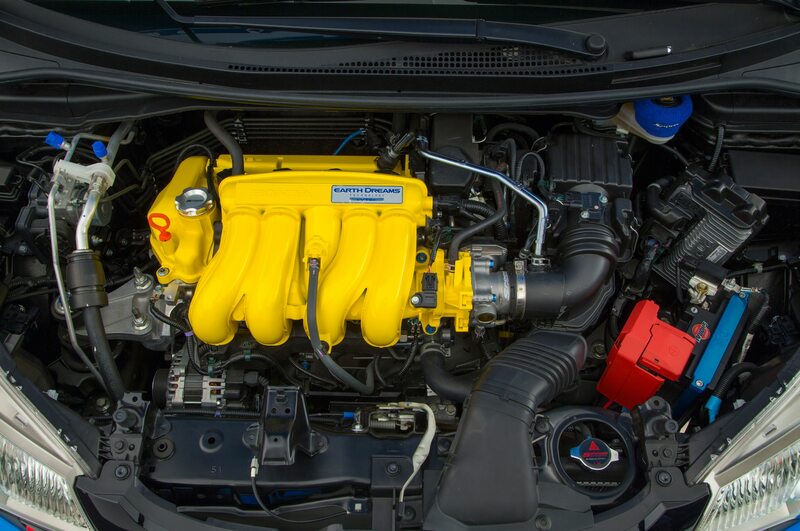 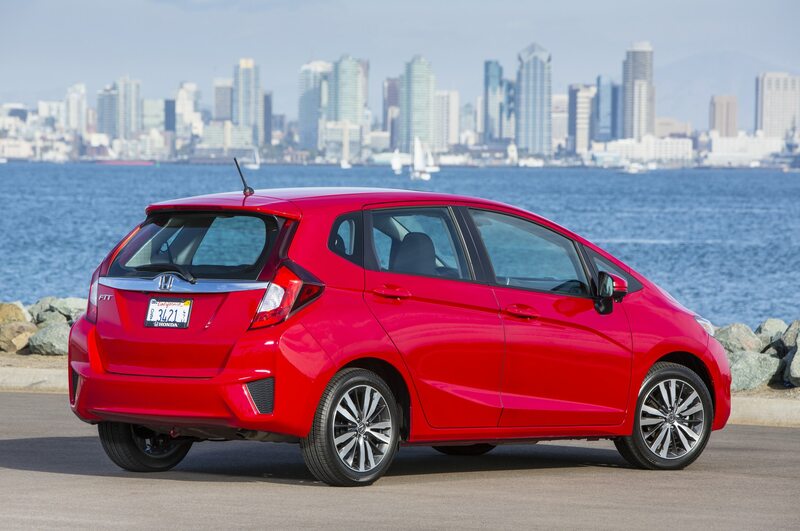 The only factory option for the LX trim level is the optional $800 continuously variable transmission, which raises the Fit’s EPA fuel economy ratings up to 33/41 mpg city/highway, compared with 29/37 mpg for the manual. 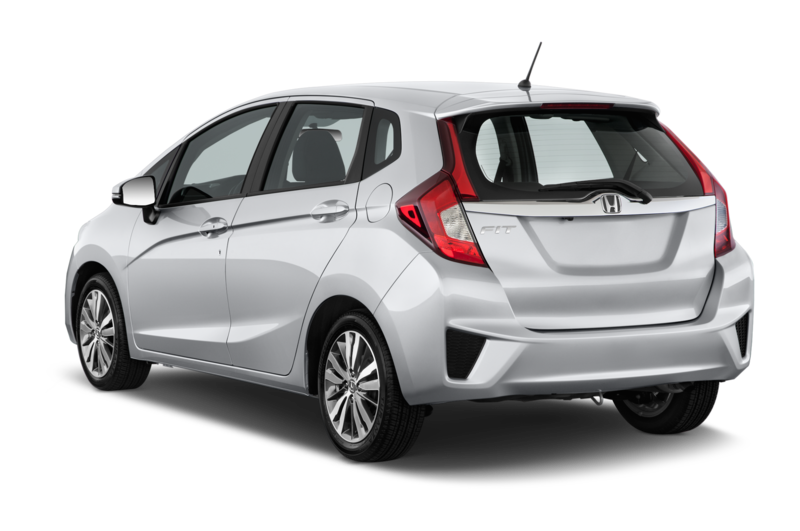 EX and EX-L CVT models have slightly lower ratings of 32/38 mpg city/highway due to larger wheels and heavier weight than LX models. 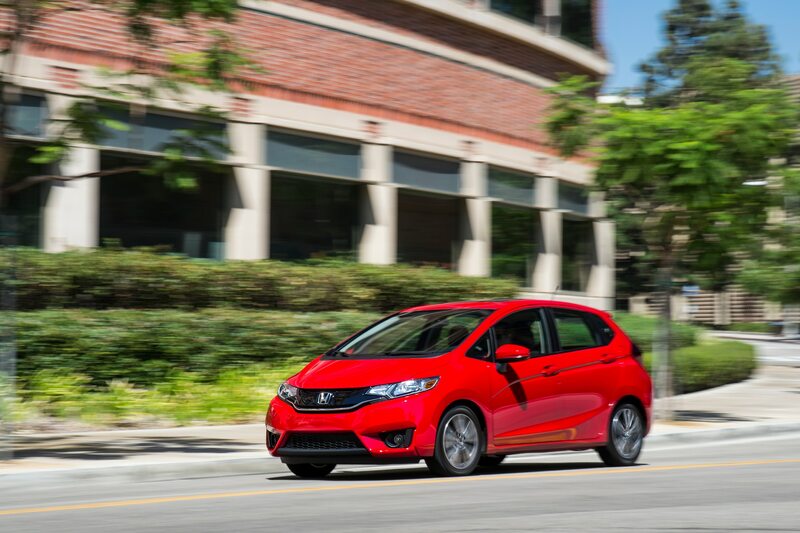 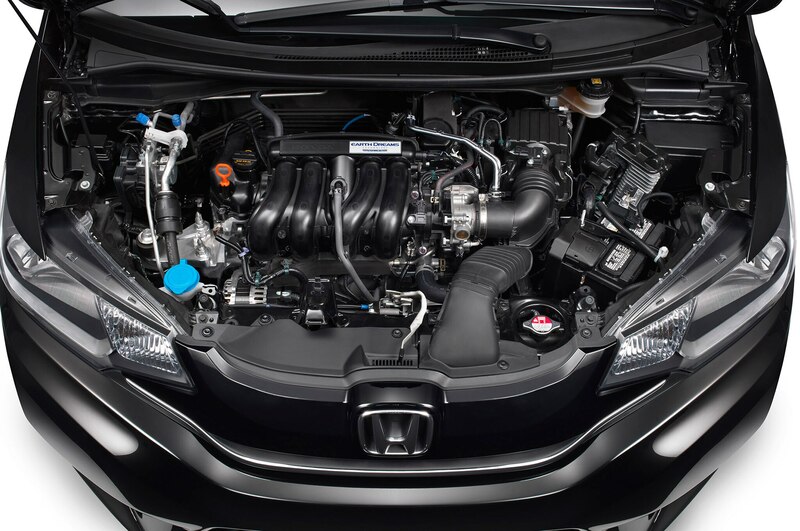 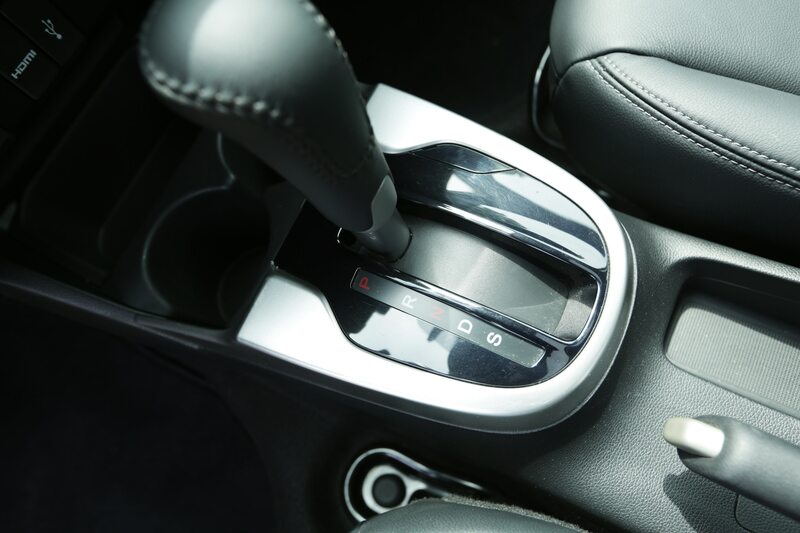 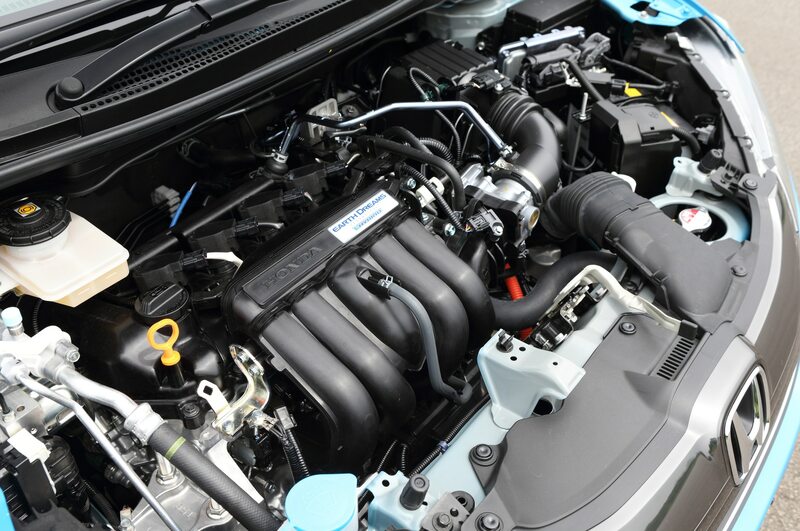 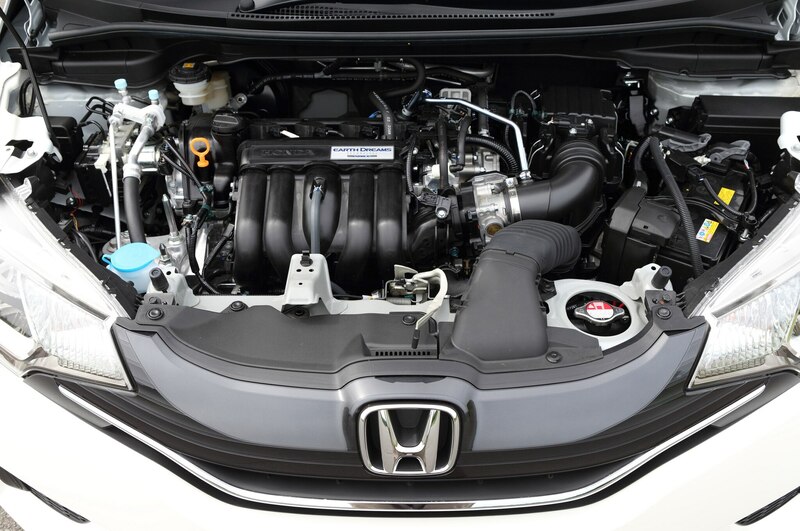 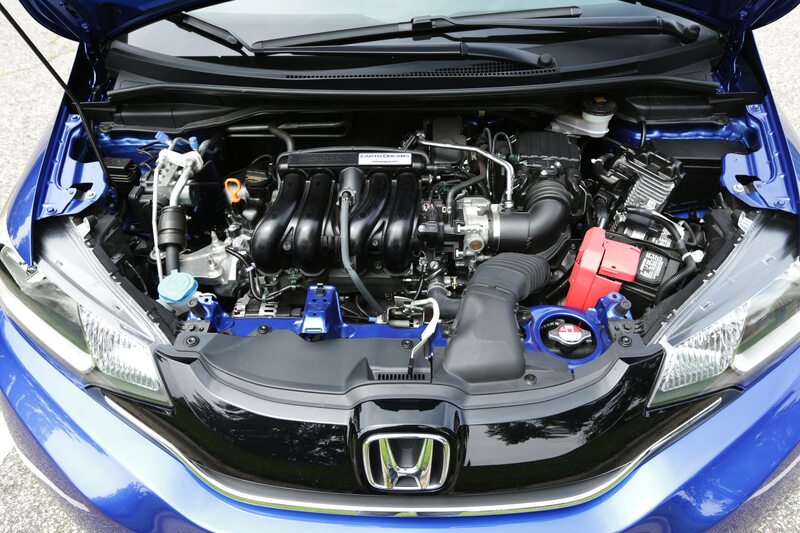 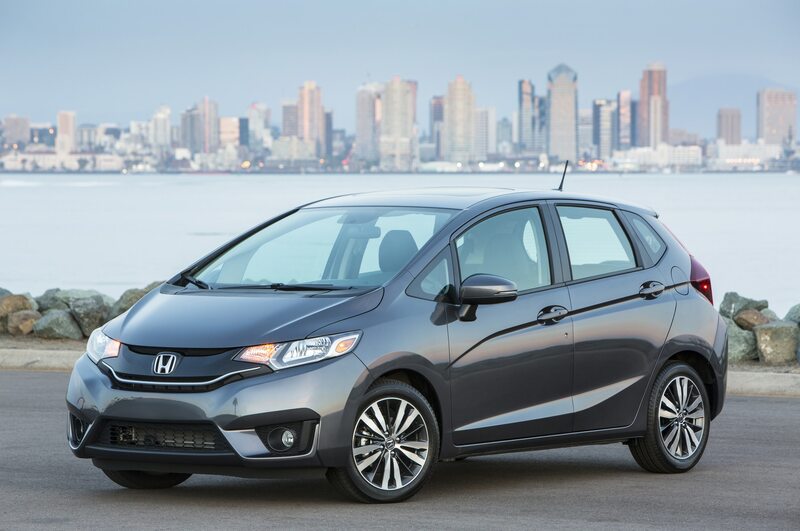 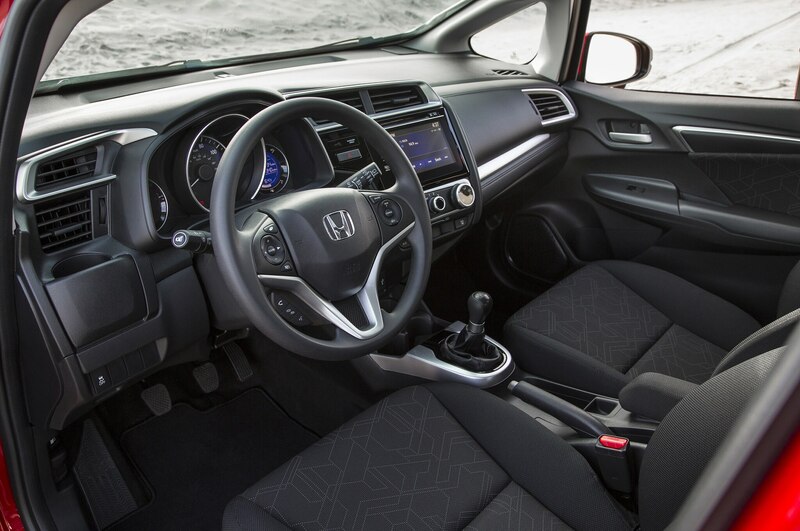 The Honda Fit EX—which Honda expects to be the volume seller—is also available with either the standard six-speed manual ($18,225) or the CVT ($19,025). 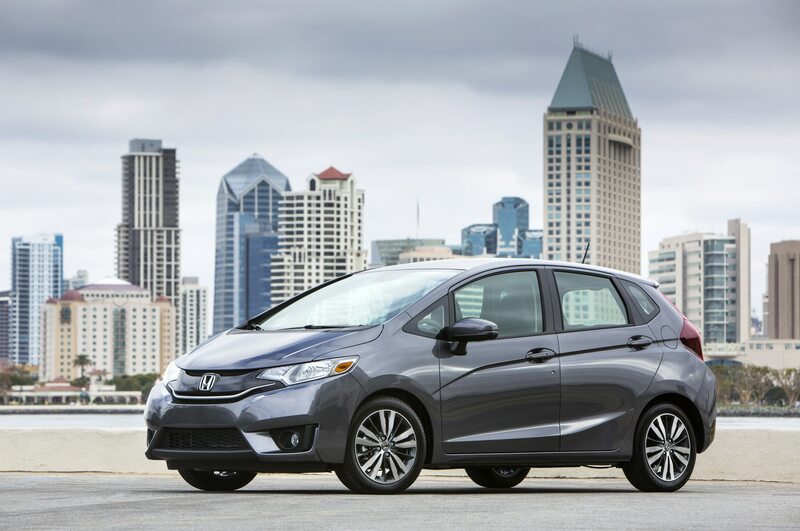 These prices are $225 higher than the roughly equivalent 2013 Fit Sport model, which did not include new standard features like the 2015 Fit EX’s sunroof, pushbutton start, and new seven-inch HondaLink touchscreen infotainment system. 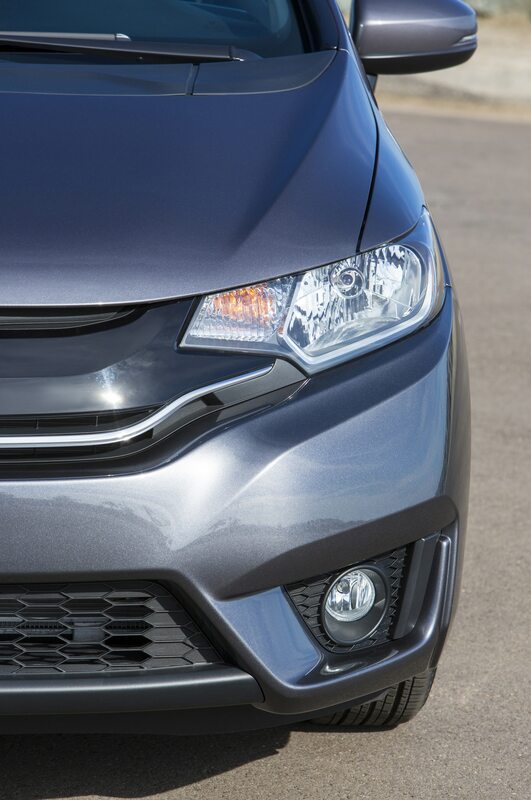 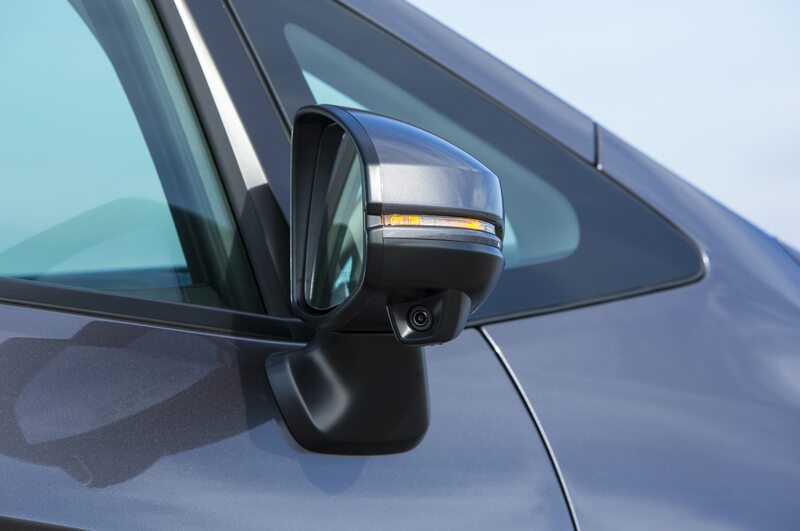 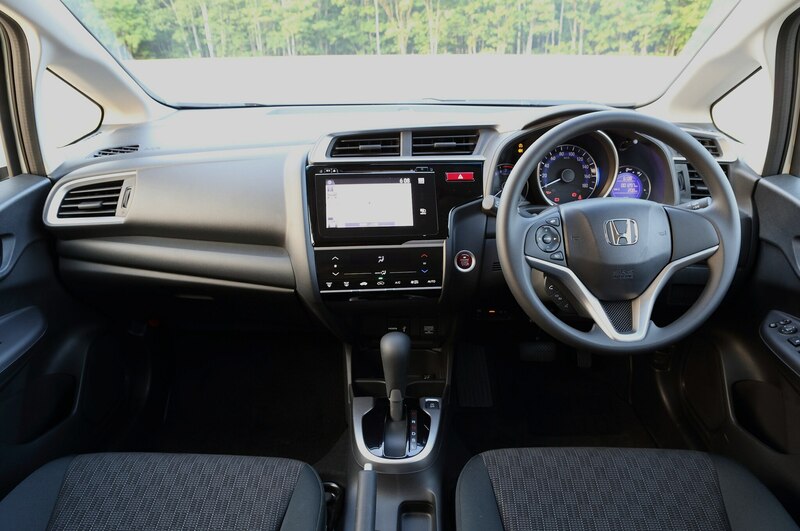 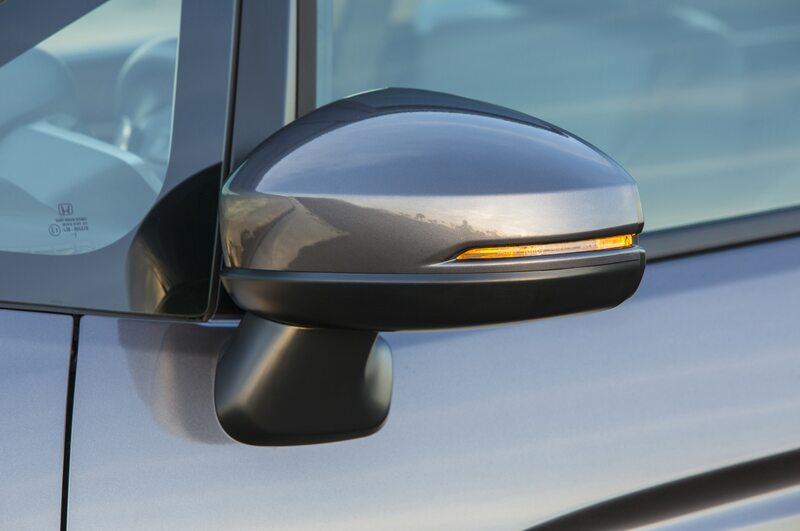 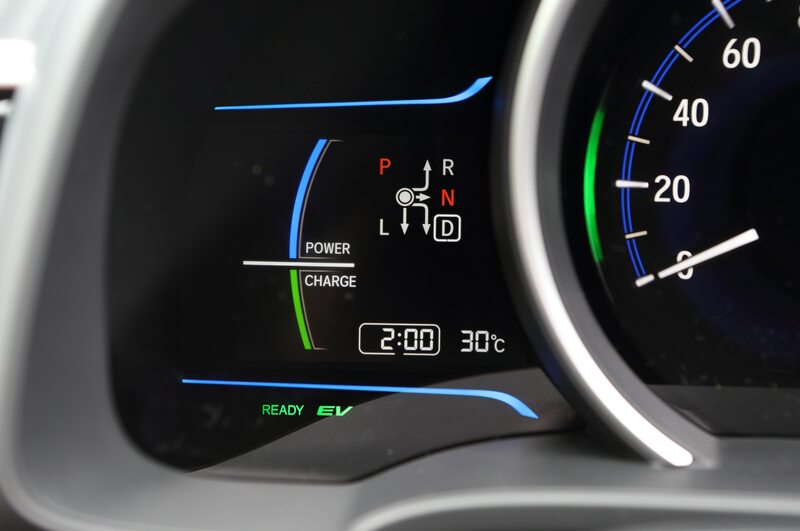 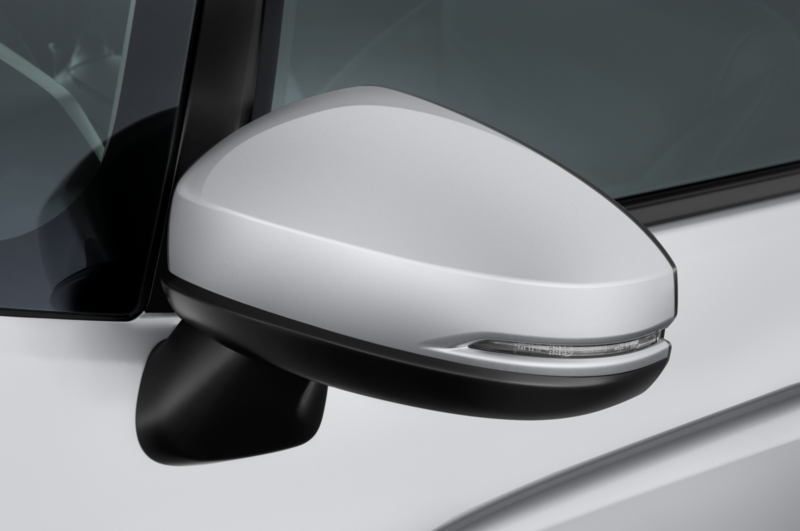 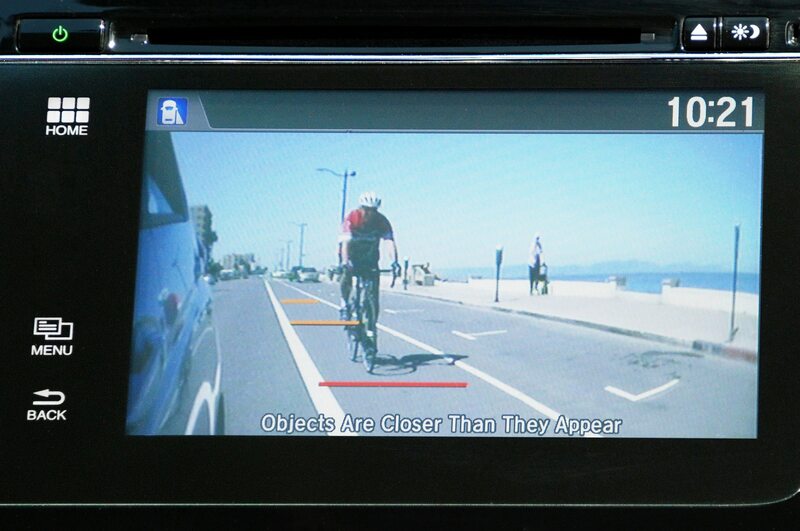 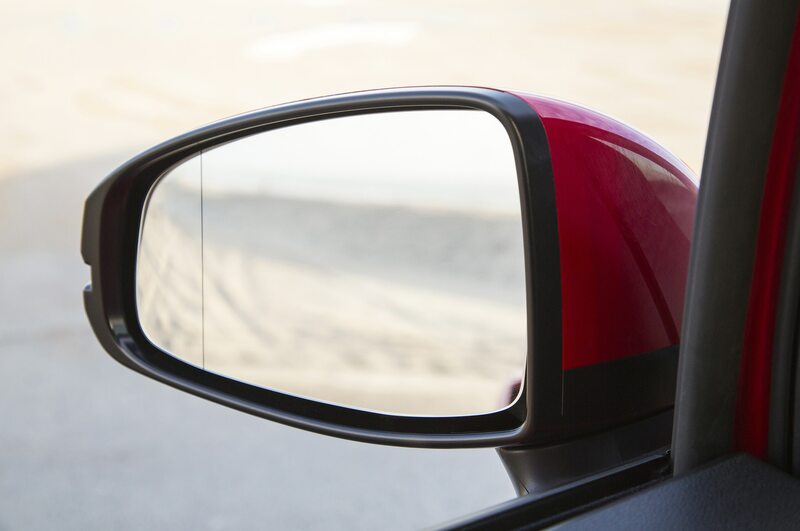 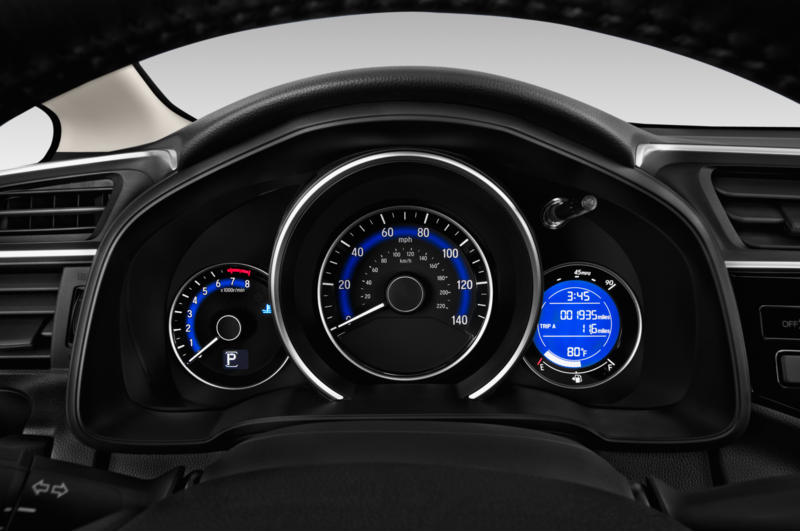 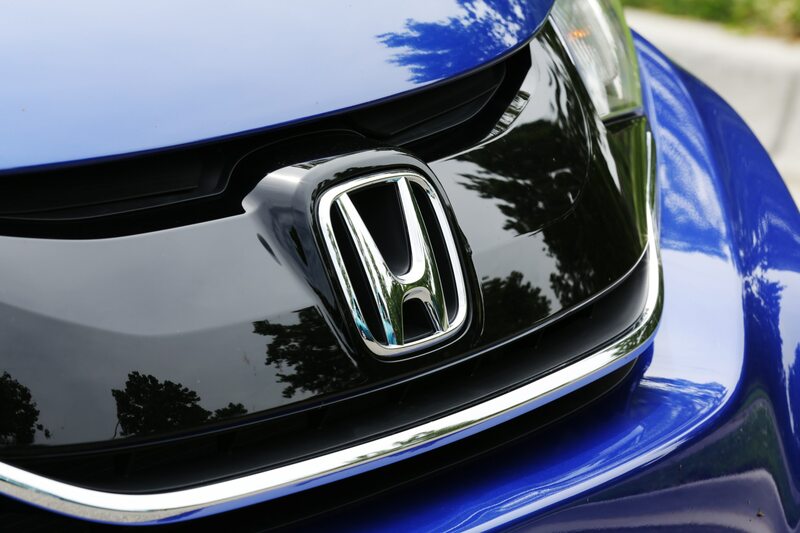 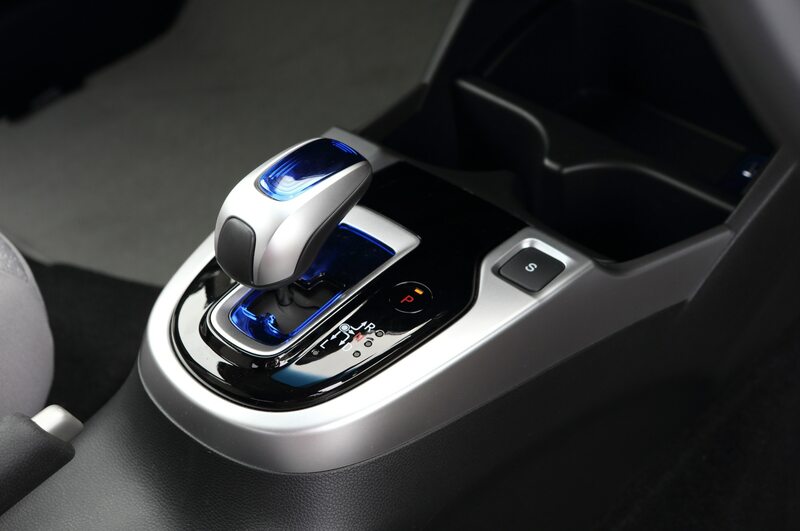 The EX also features Honda’s LaneWatch camera system that projects a video feed to the central display screen showing an expanded view of the car’s right side, expanding the driver’s field of vision. 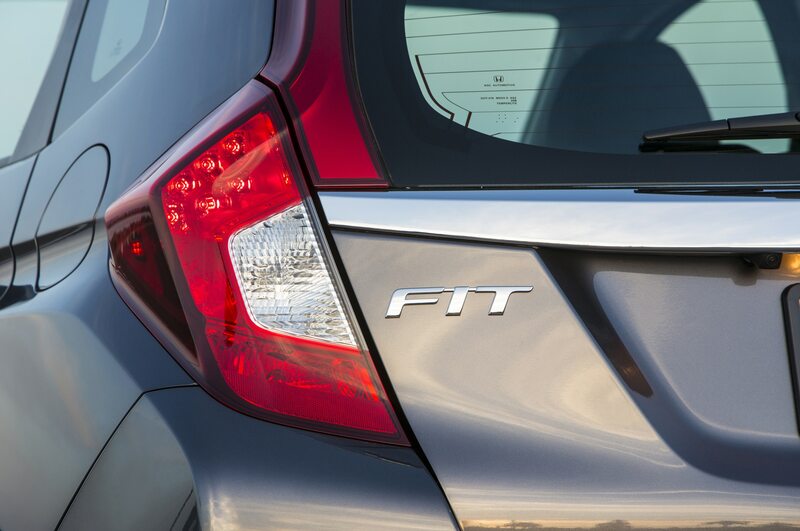 Next up is the Fit EX-L, which comes standard with the CVT and costs $20,590. 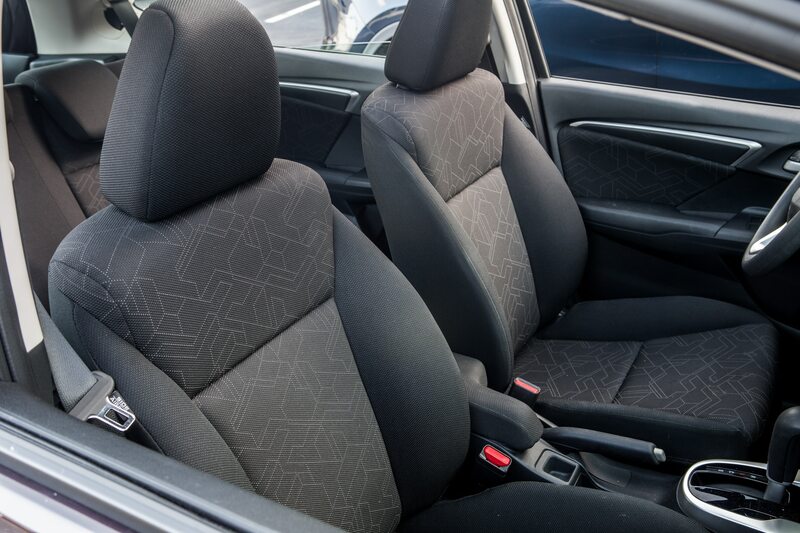 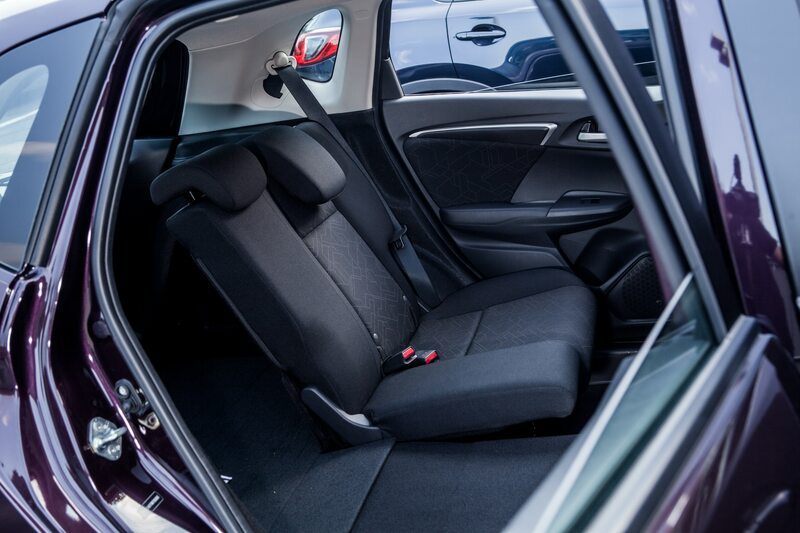 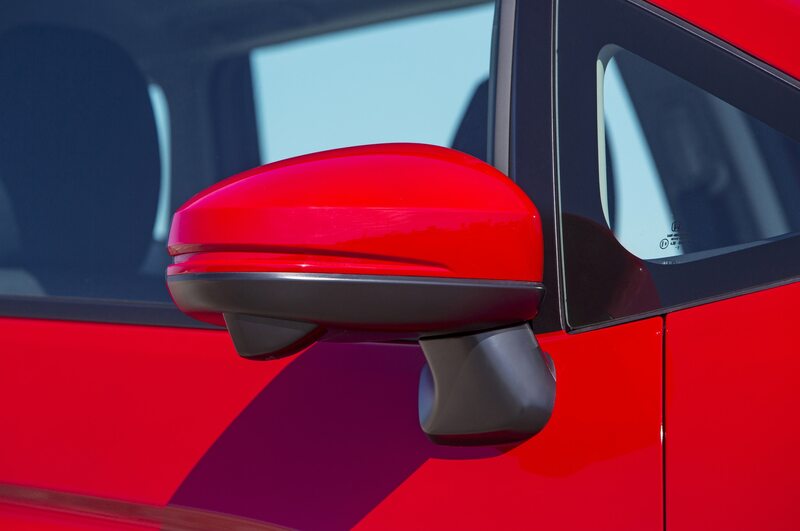 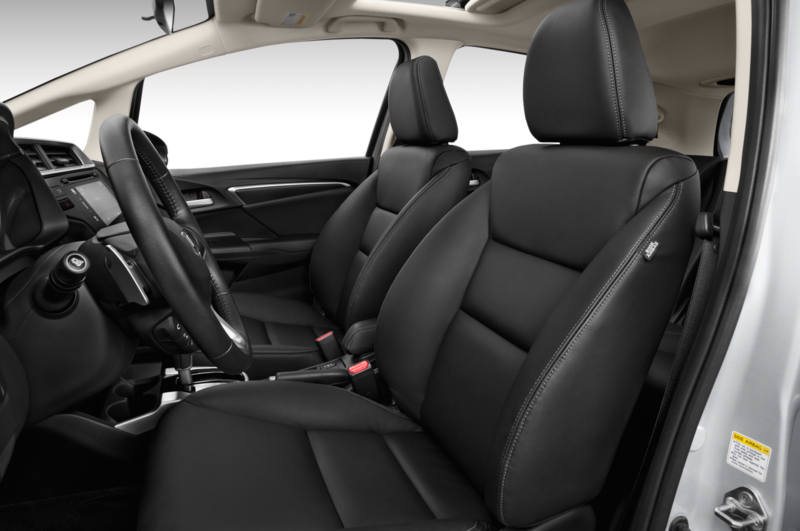 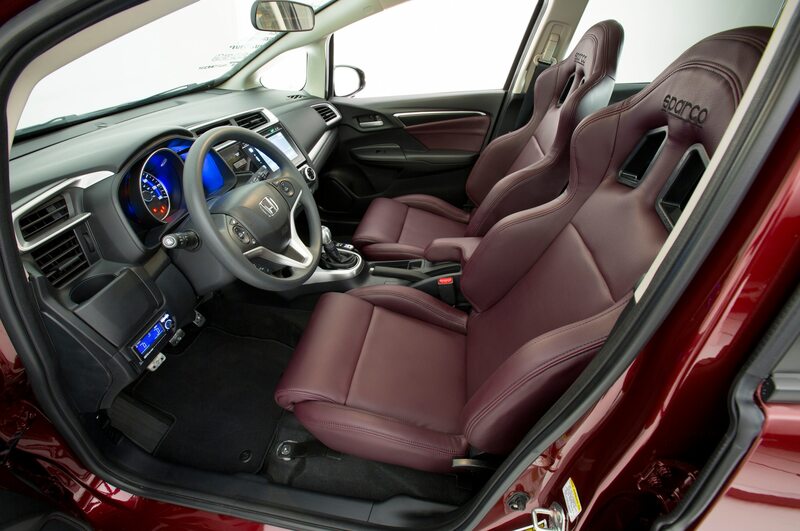 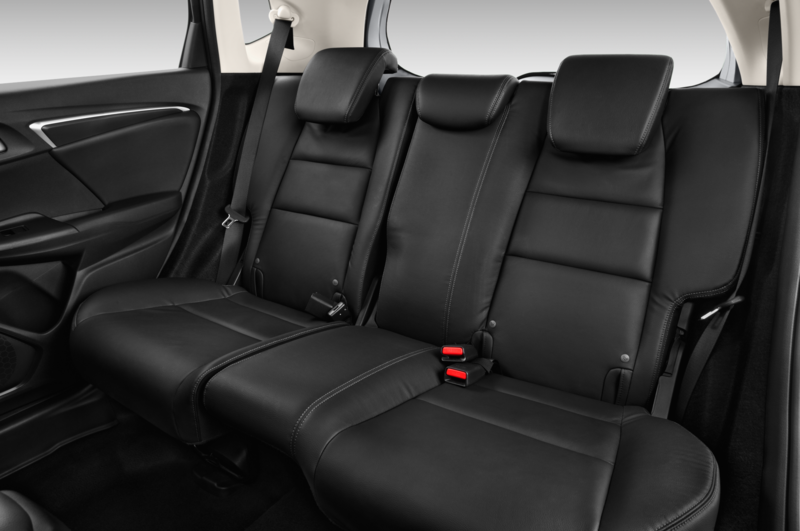 The L stands for leather—a first for the Fit—and this trim level also gains heated front seats, heated mirrors, and a leather-wrapped shift knob and steering wheel. 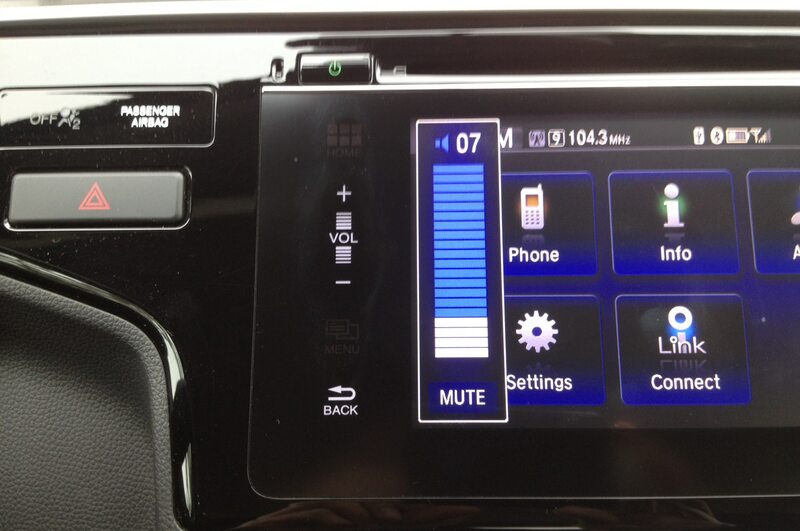 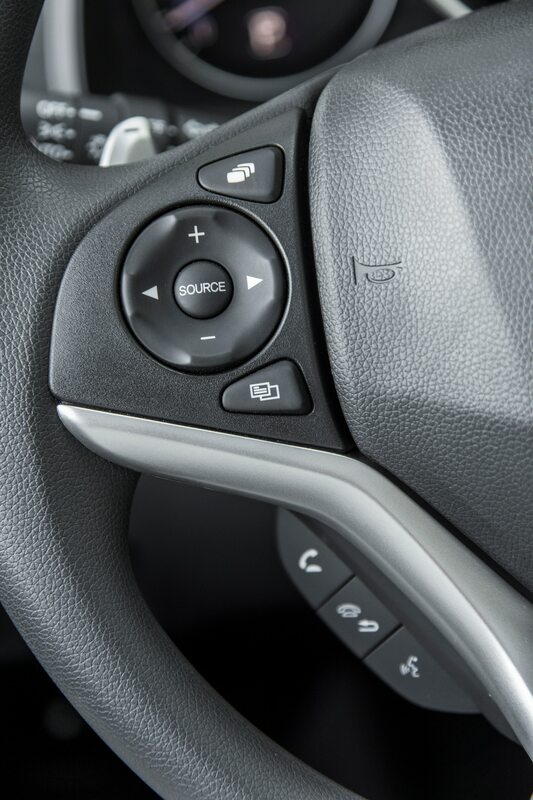 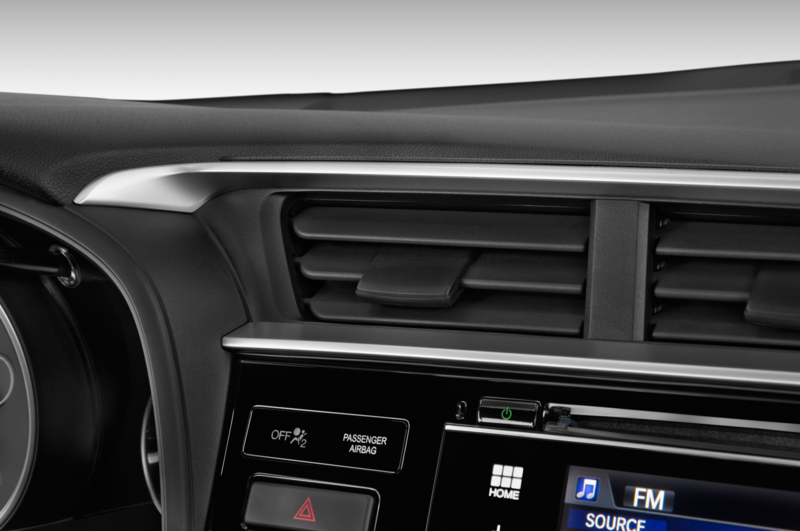 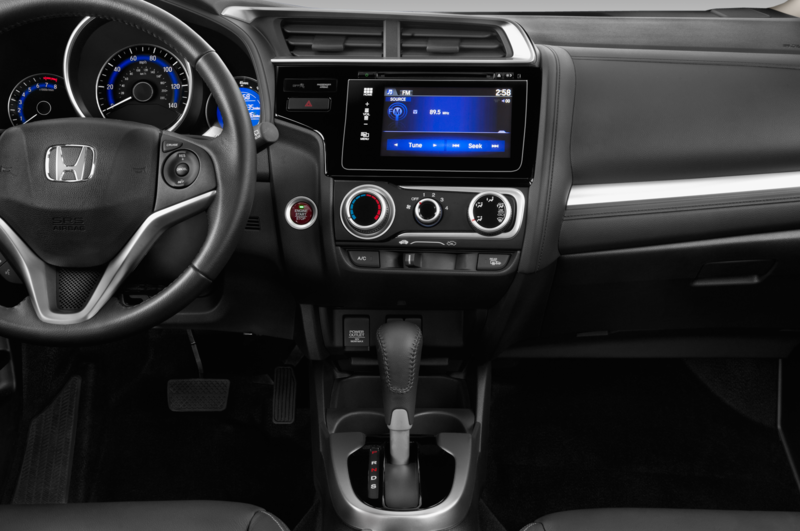 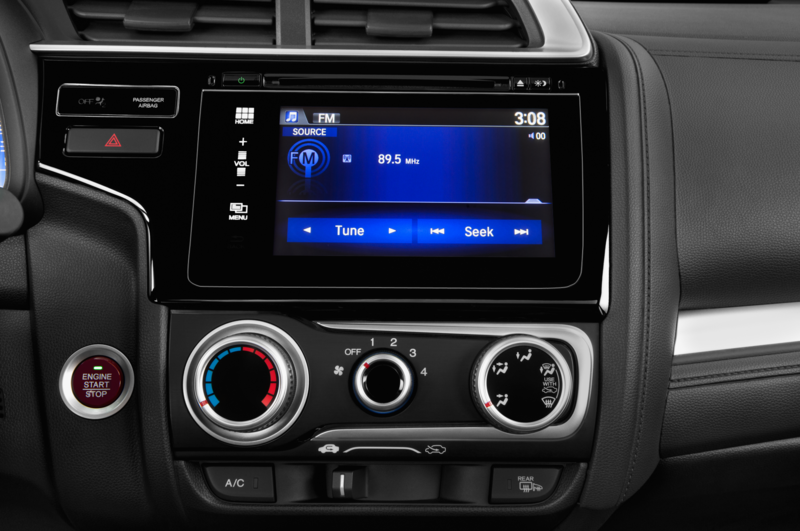 Predictably, the EX-L with Navigation costs $1000 more and adds a navigation function to the HondaLink touchscreen system along with XM satellite radio. 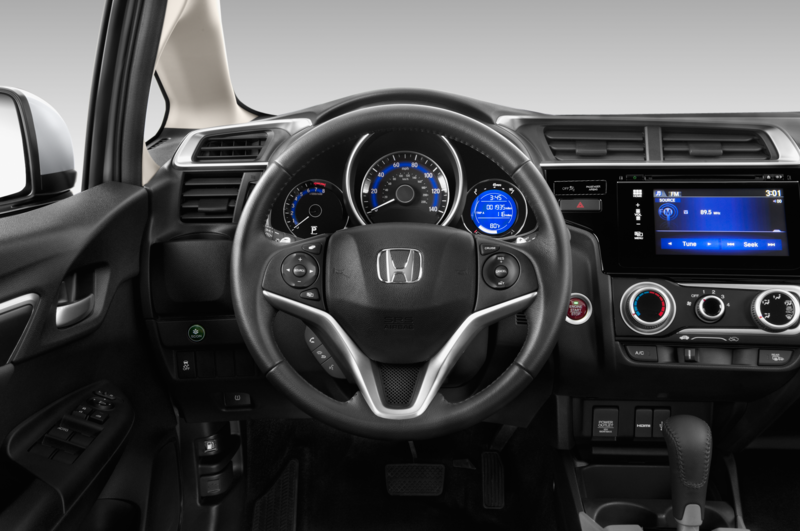 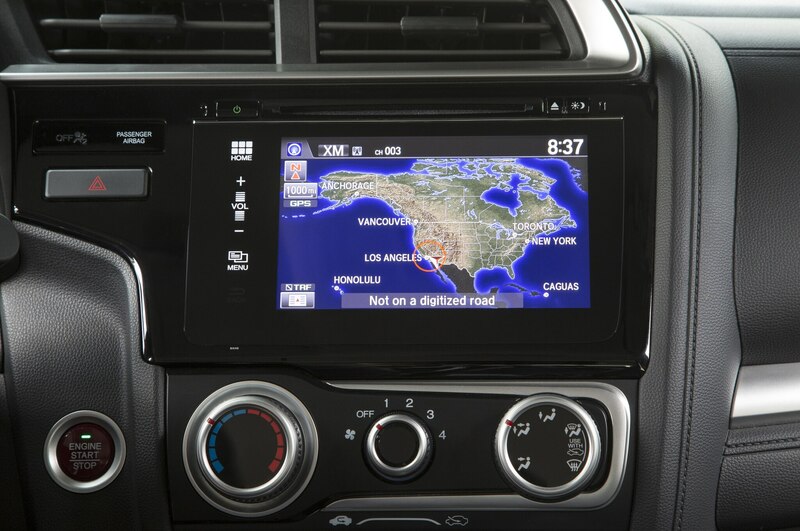 If you don’t want to pony up that much cash for GPS capability, Honda is also offering a specialized smartphone navigation app for $59.99 that can be displayed on the HondaLink touchscreen. 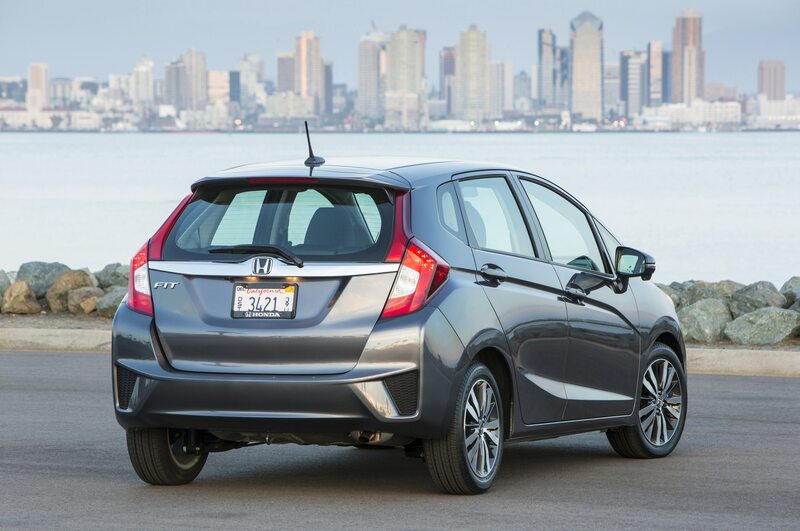 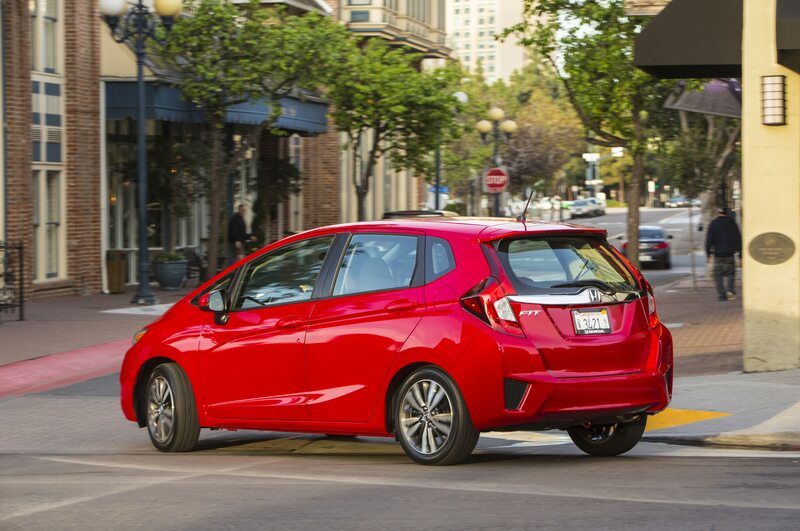 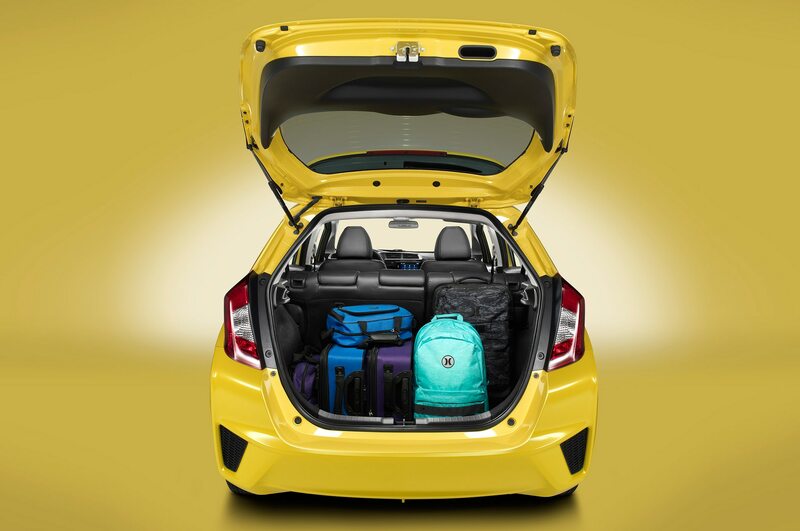 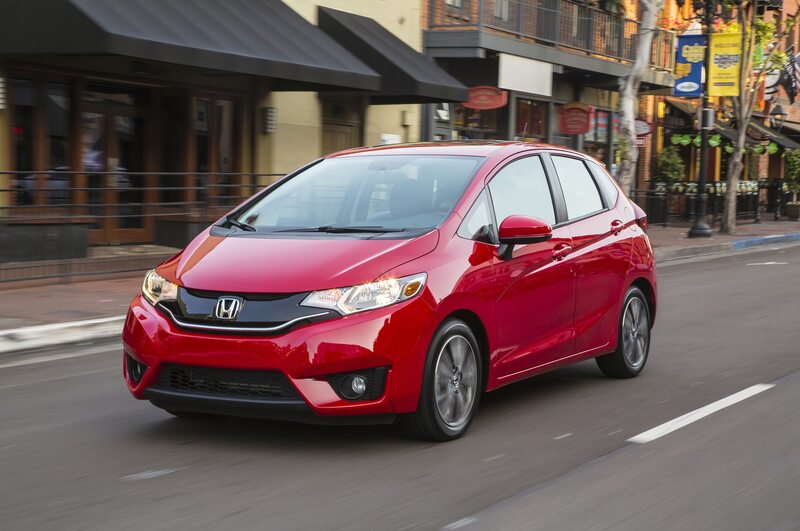 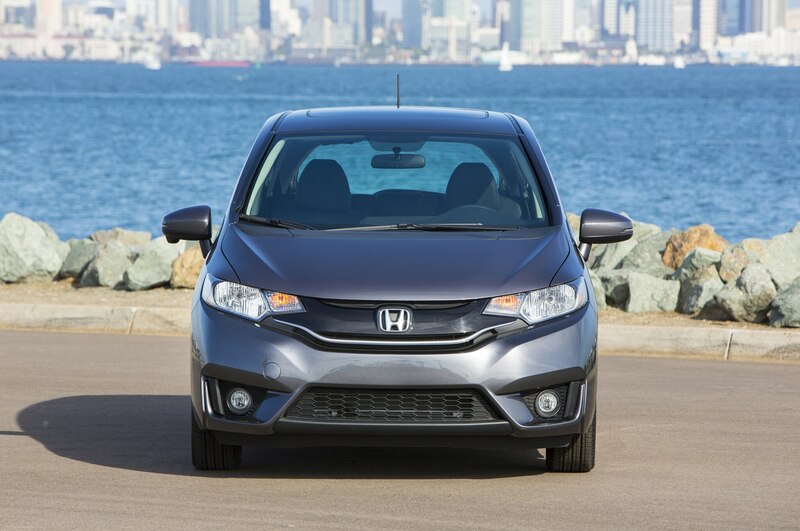 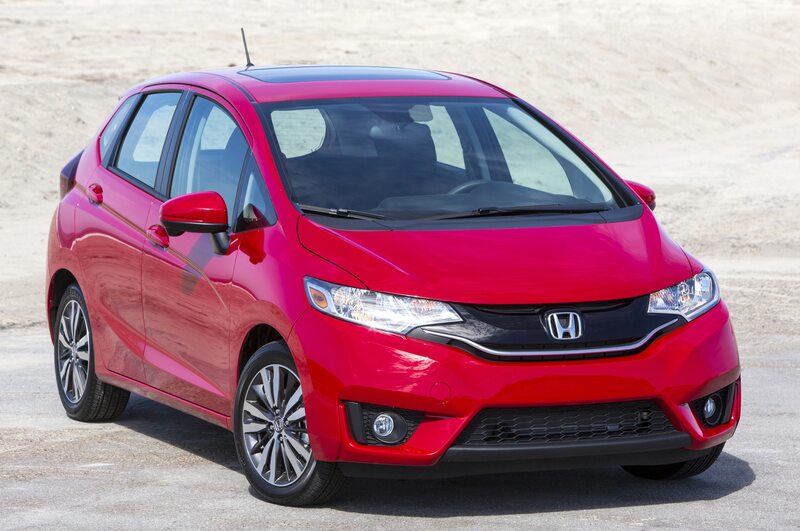 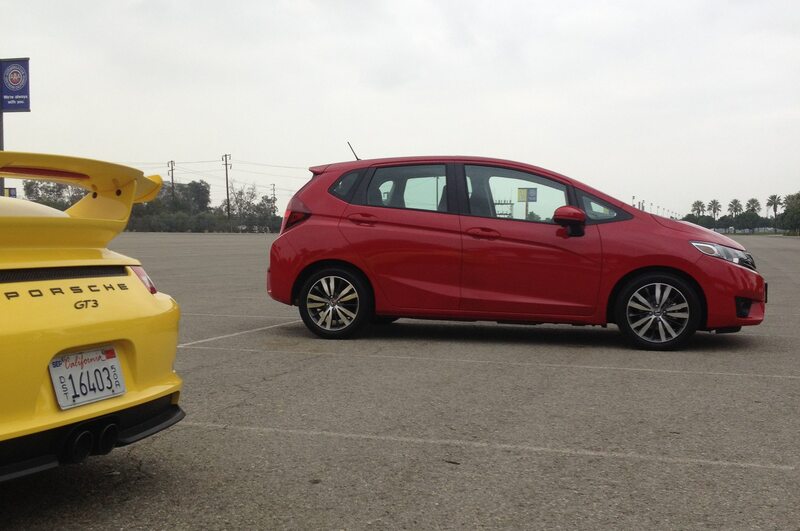 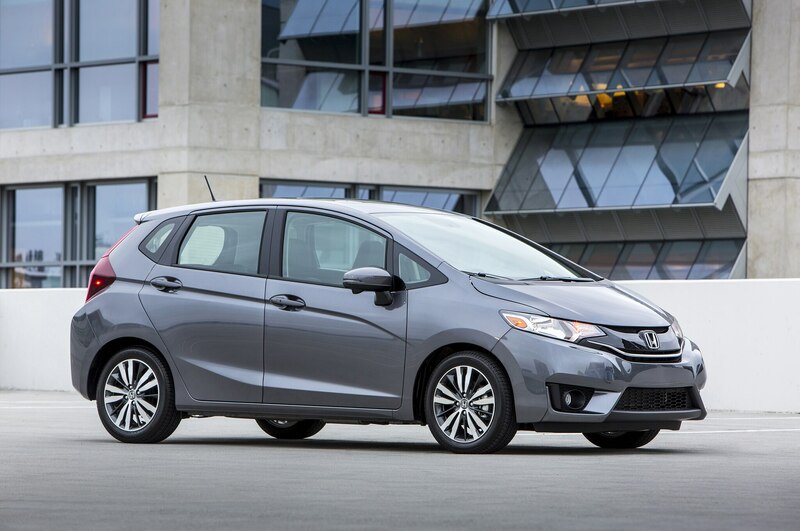 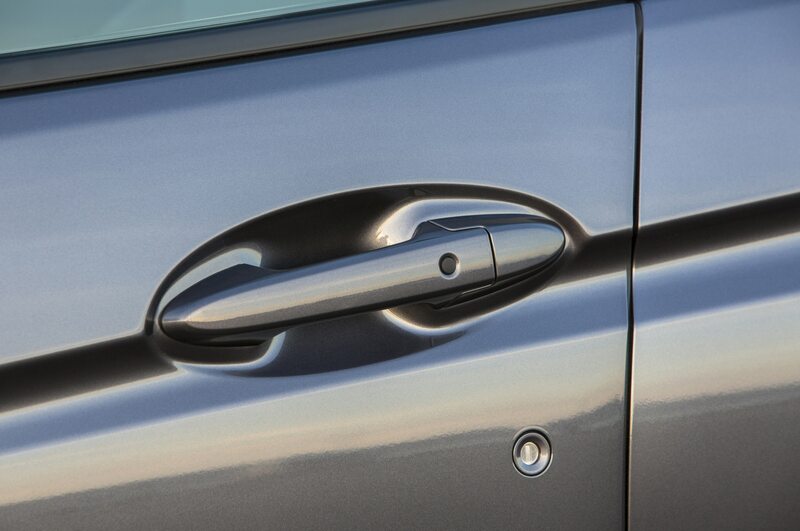 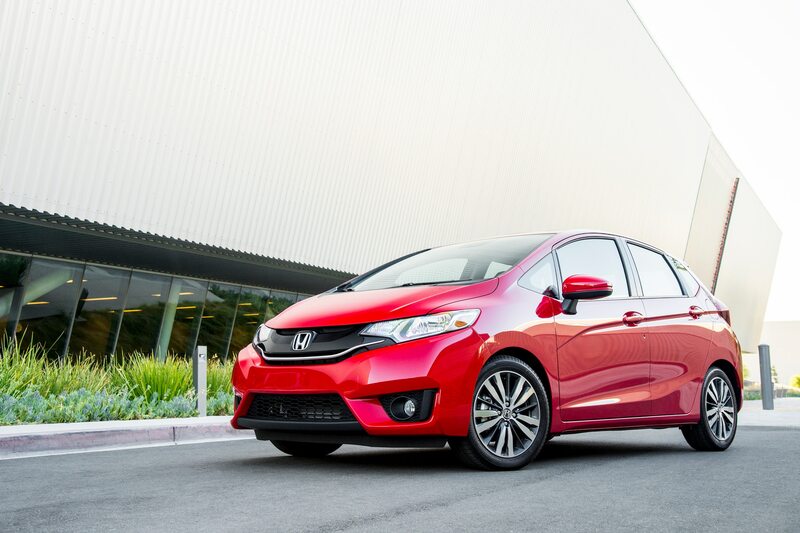 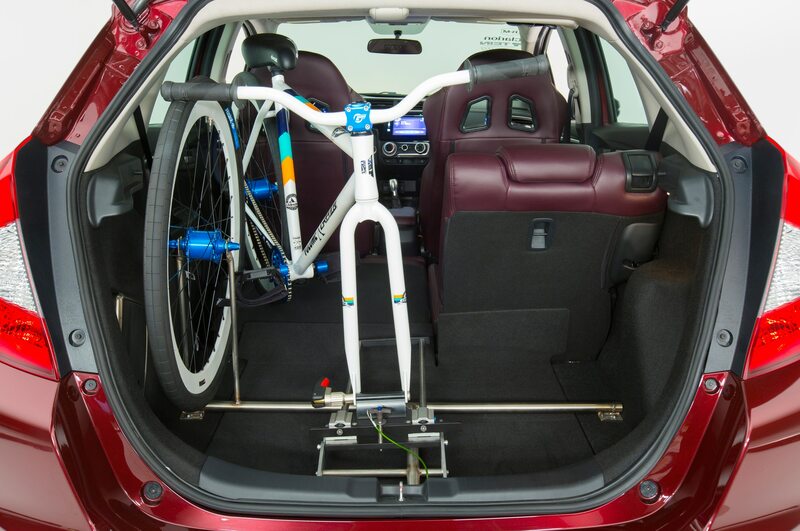 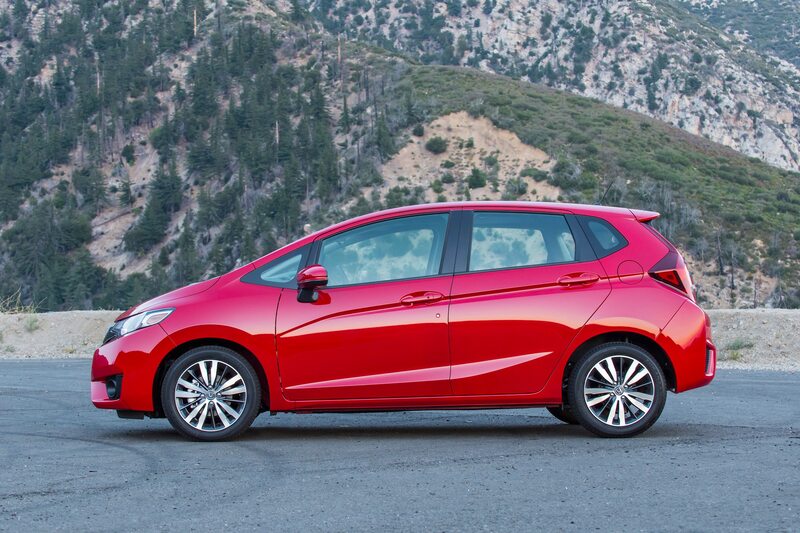 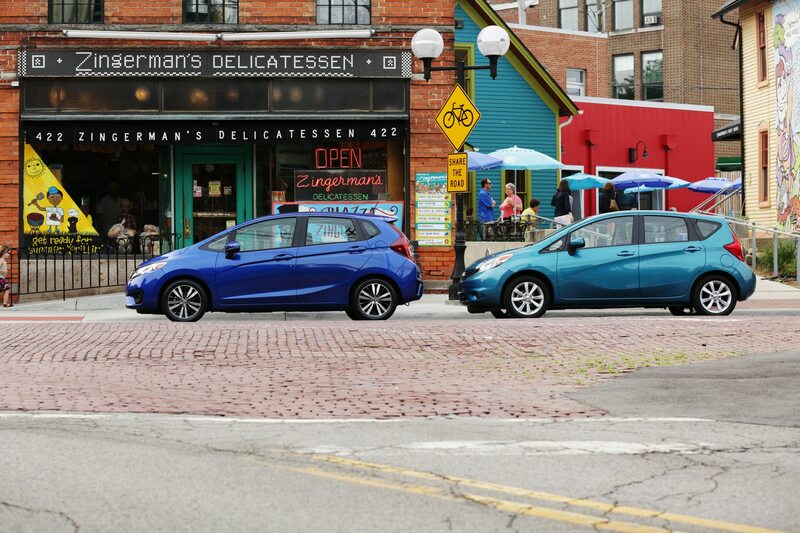 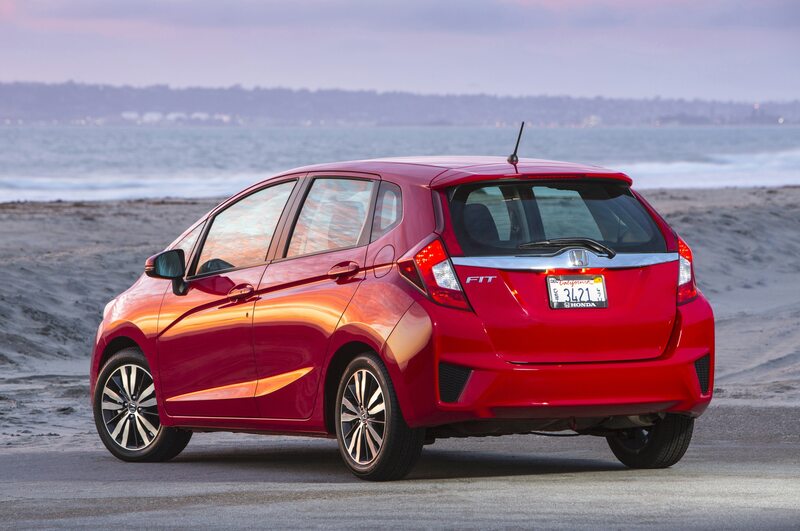 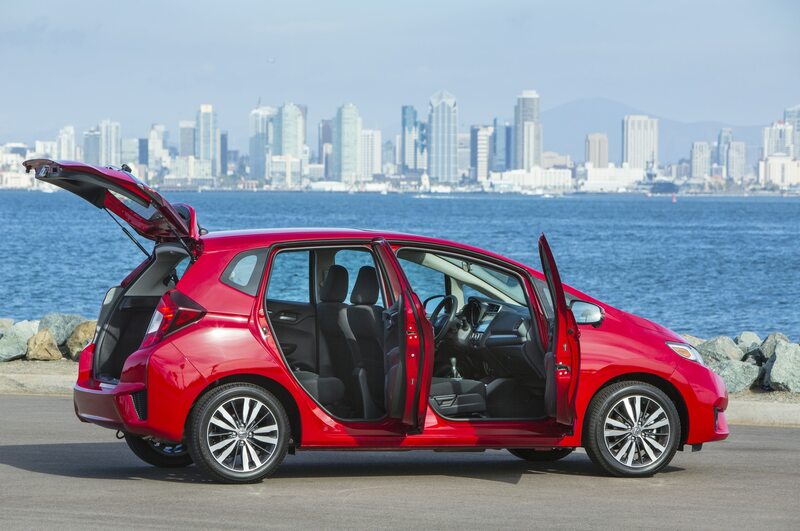 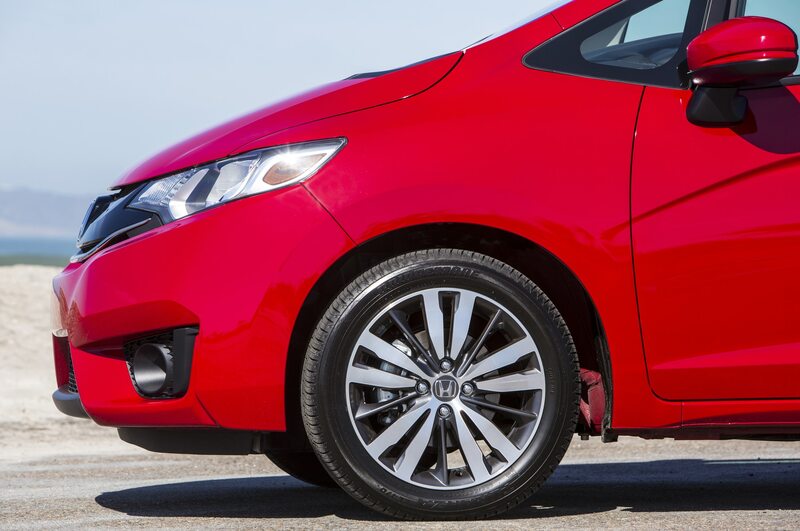 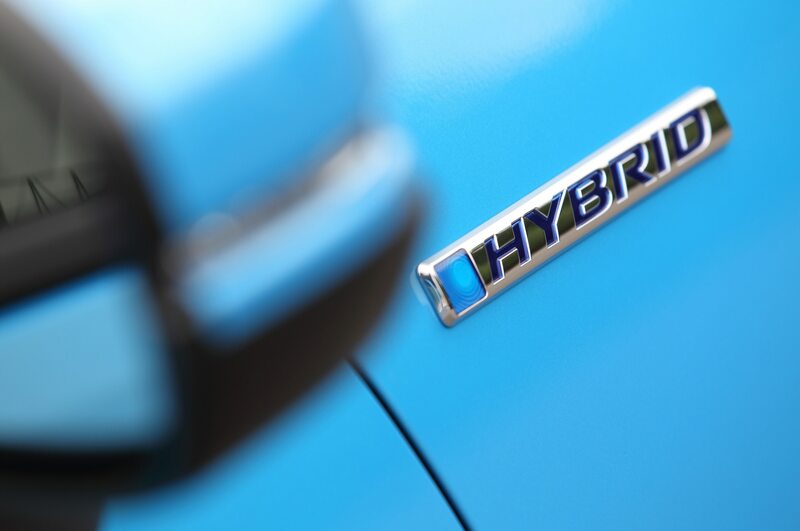 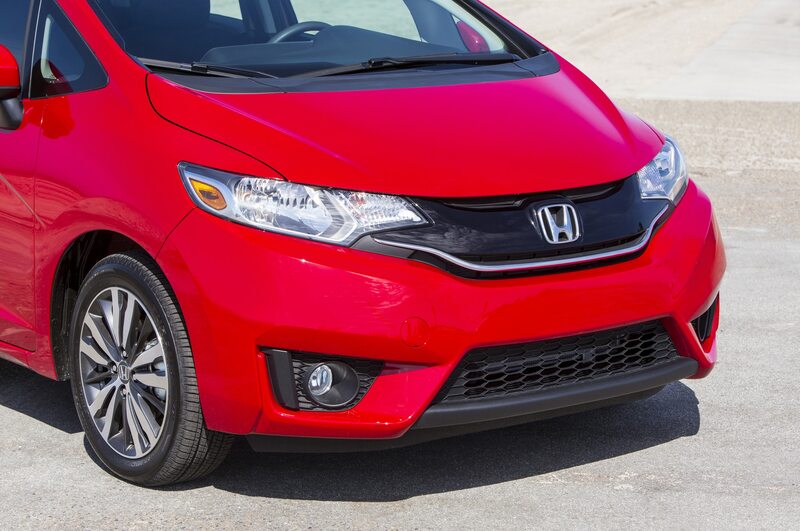 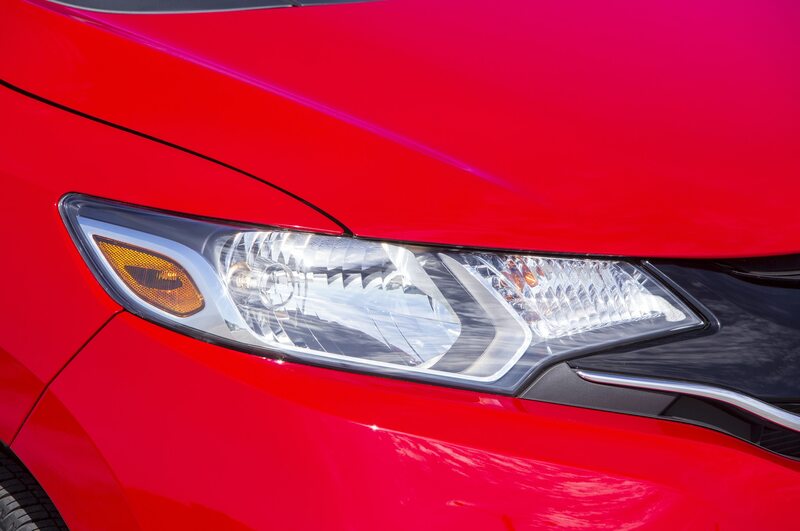 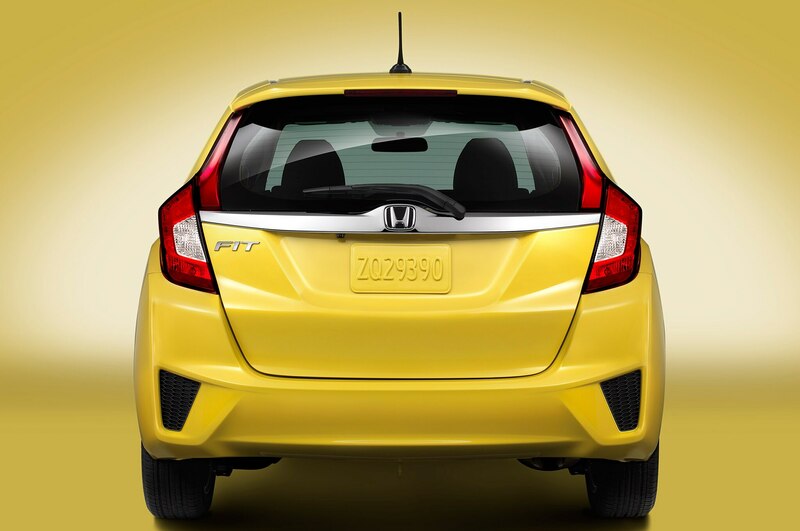 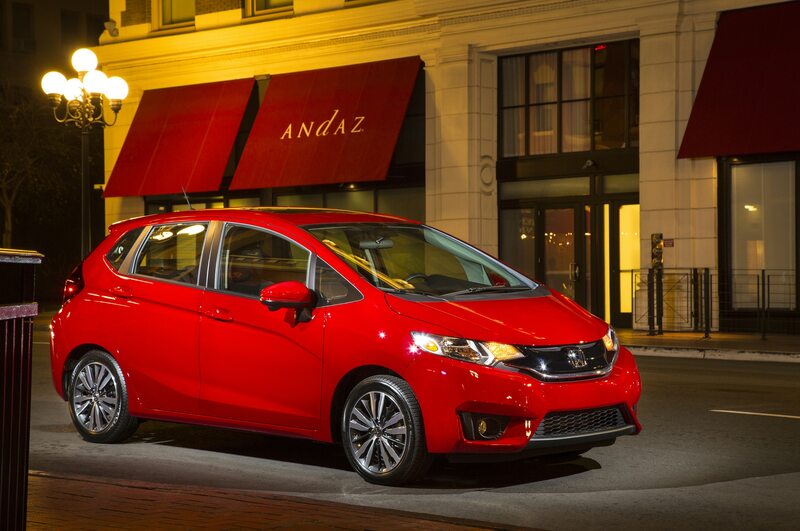 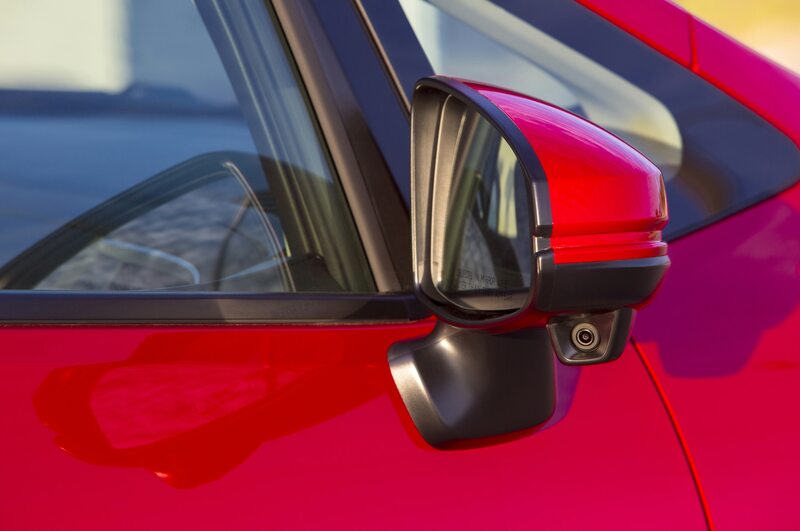 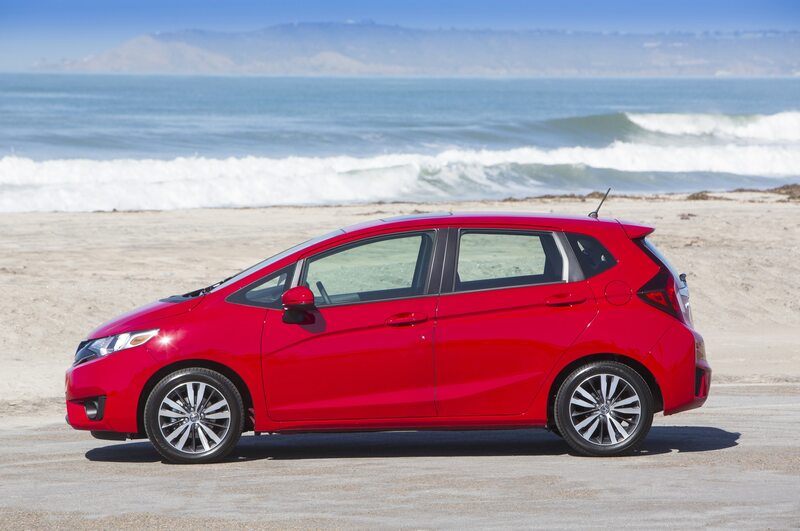 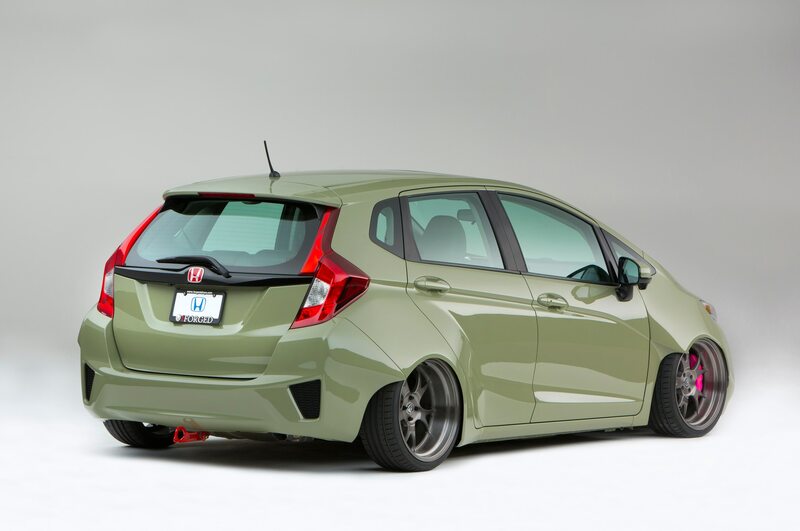 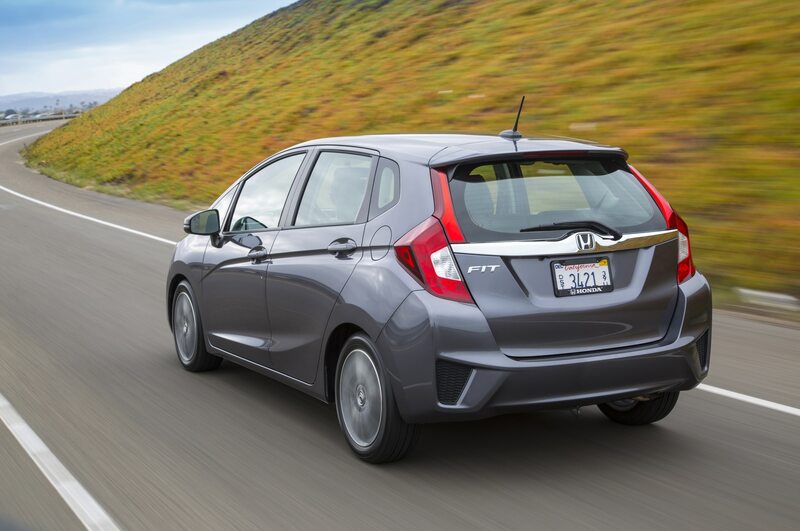 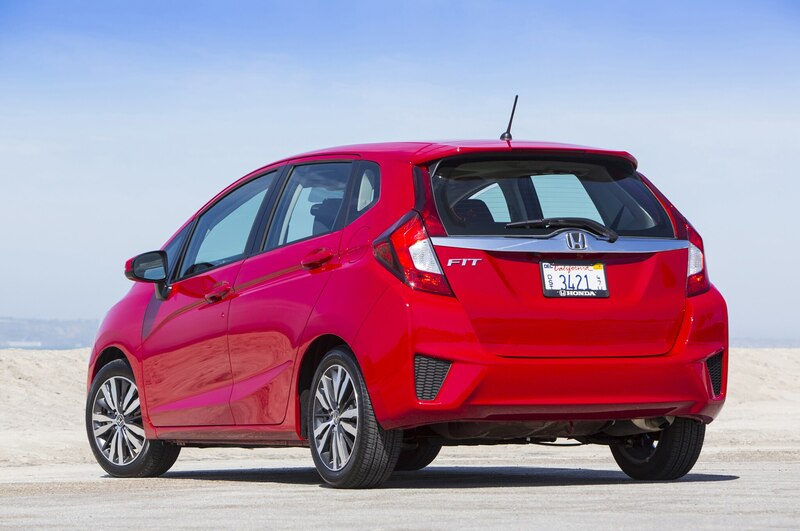 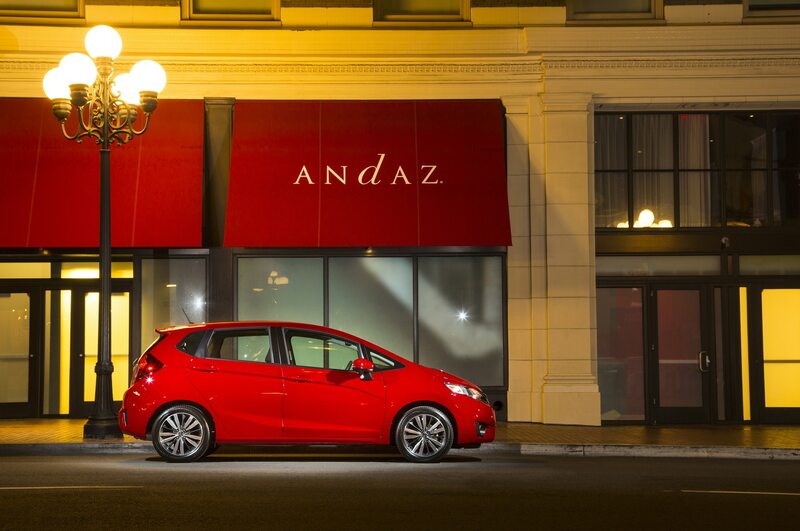 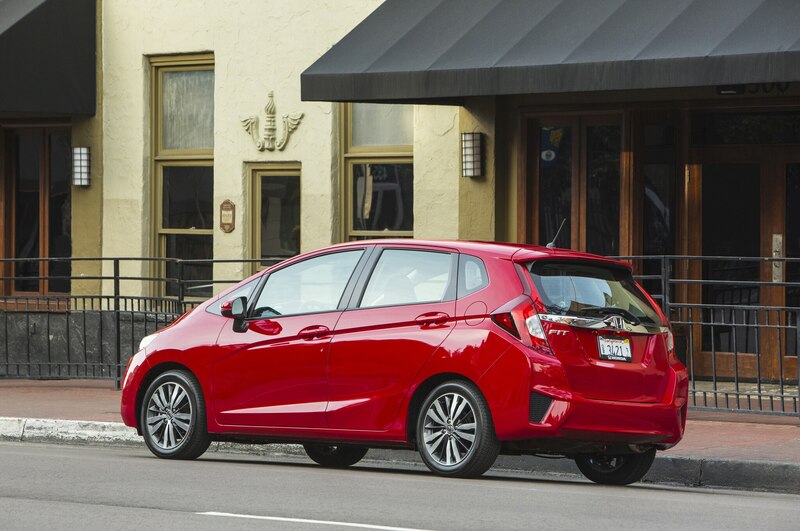 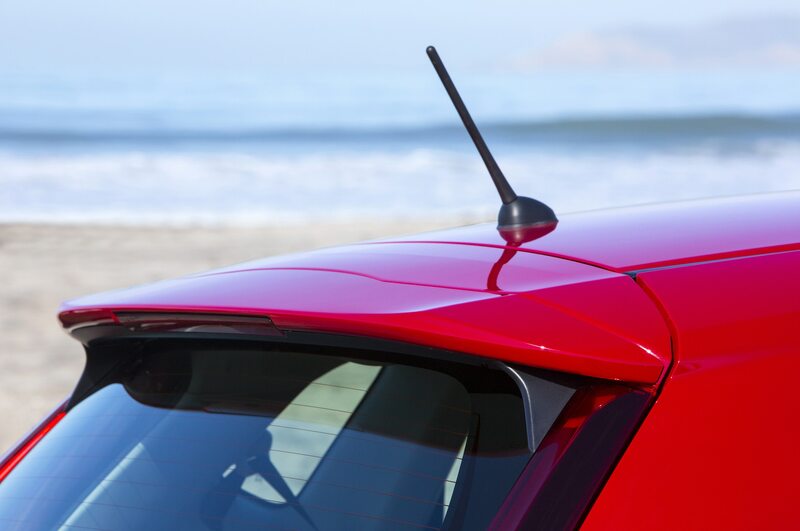 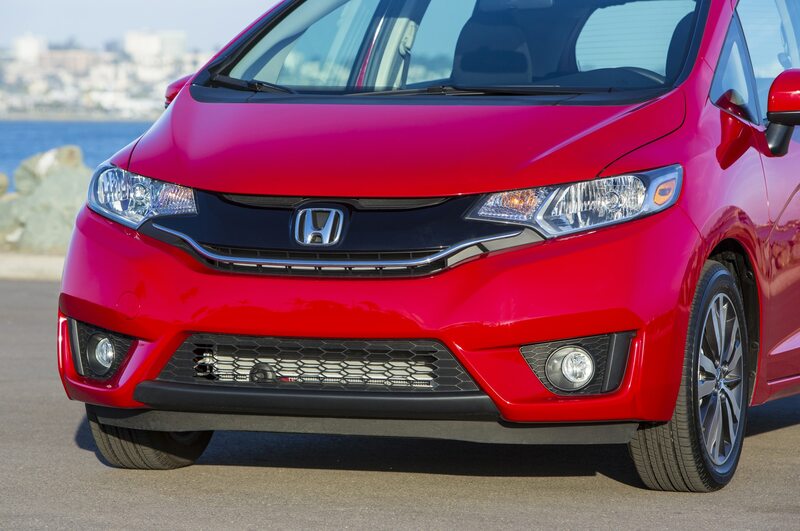 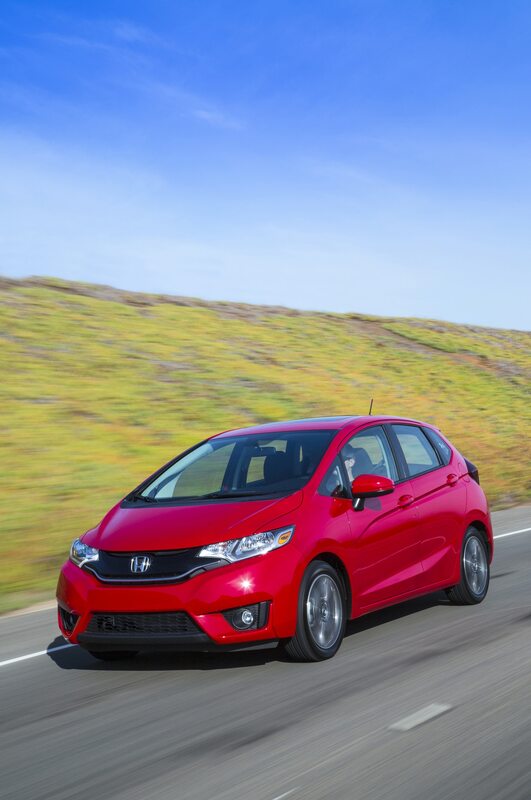 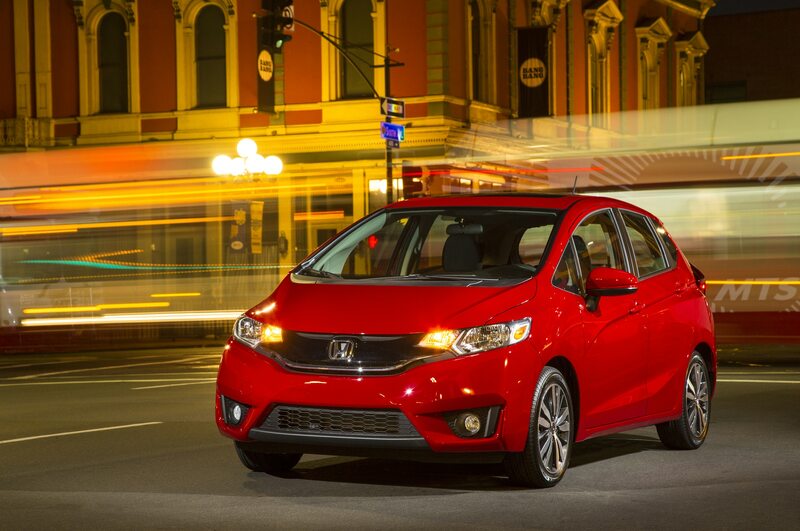 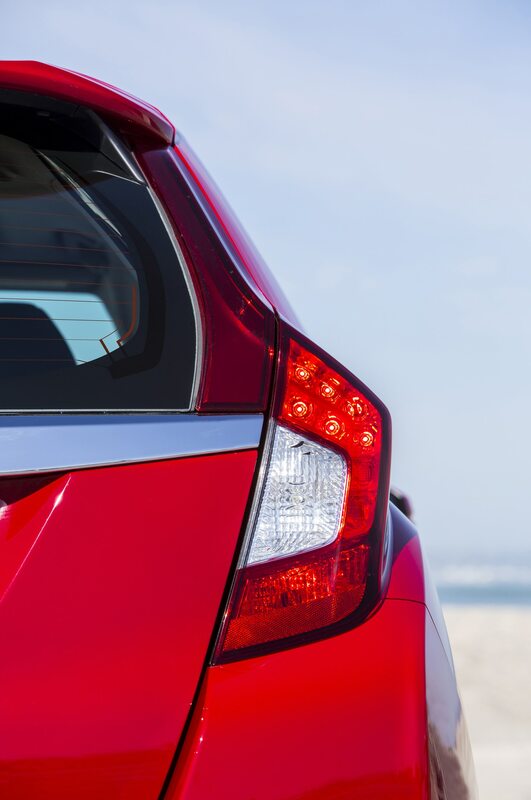 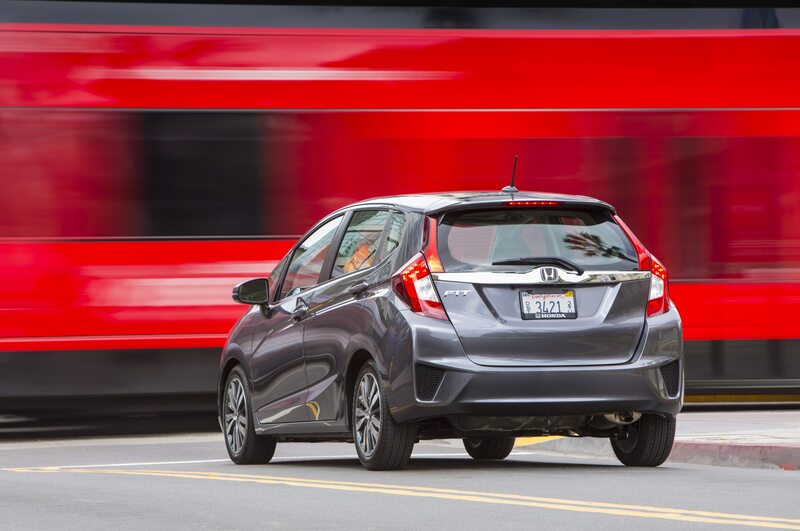 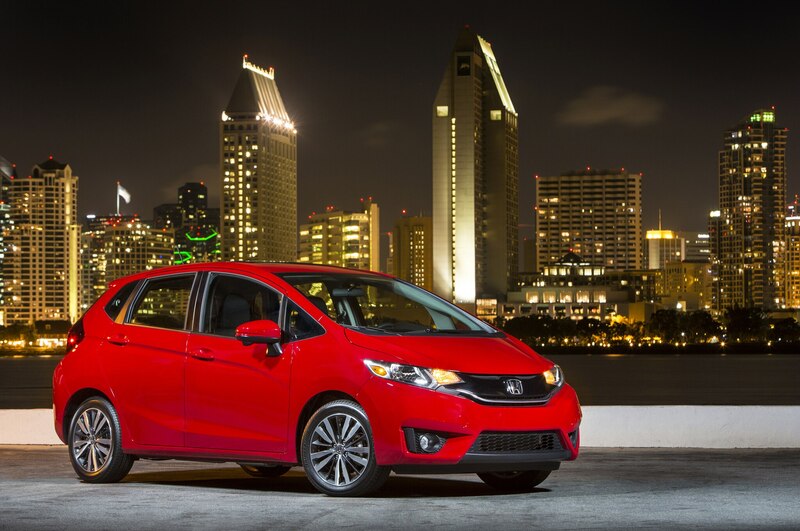 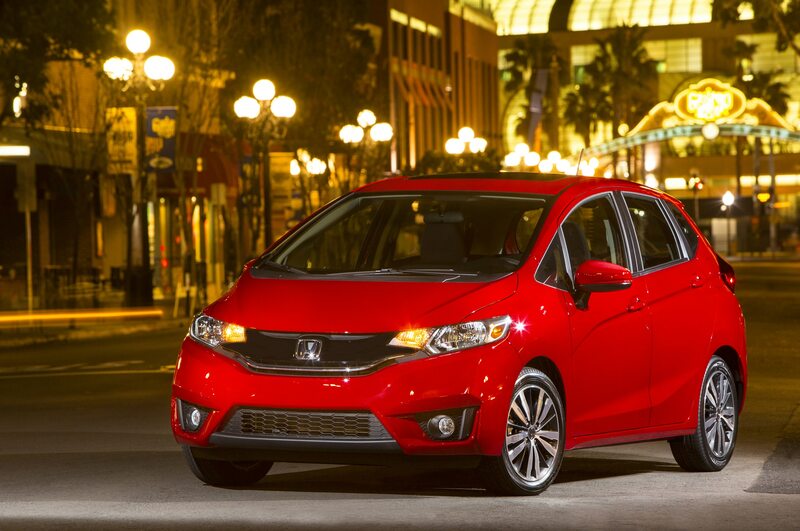 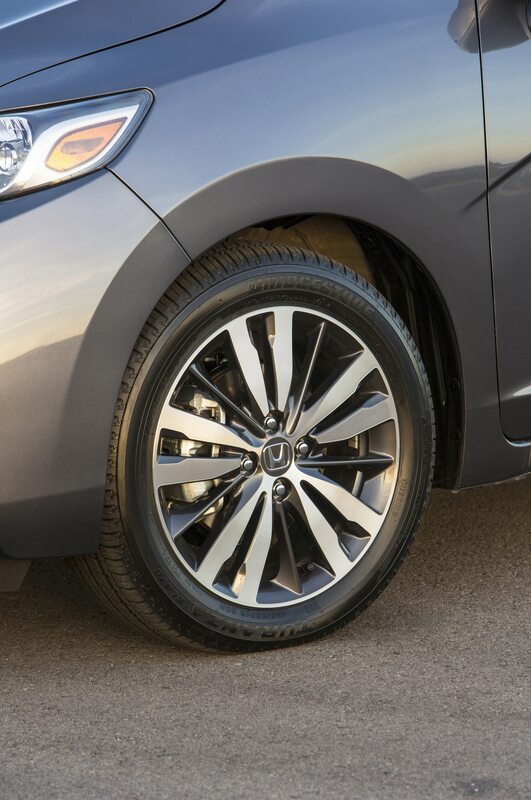 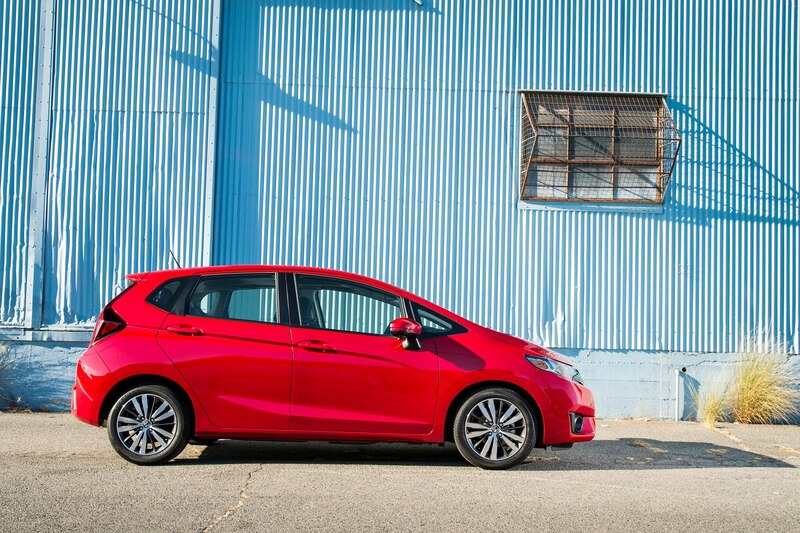 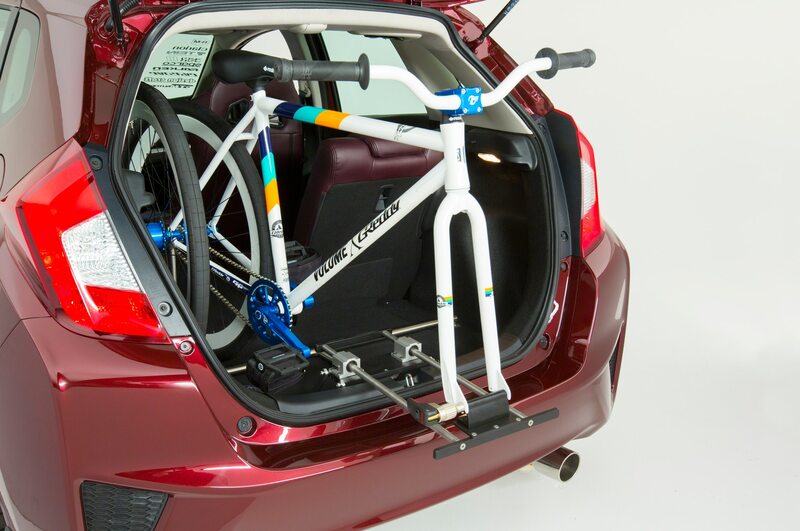 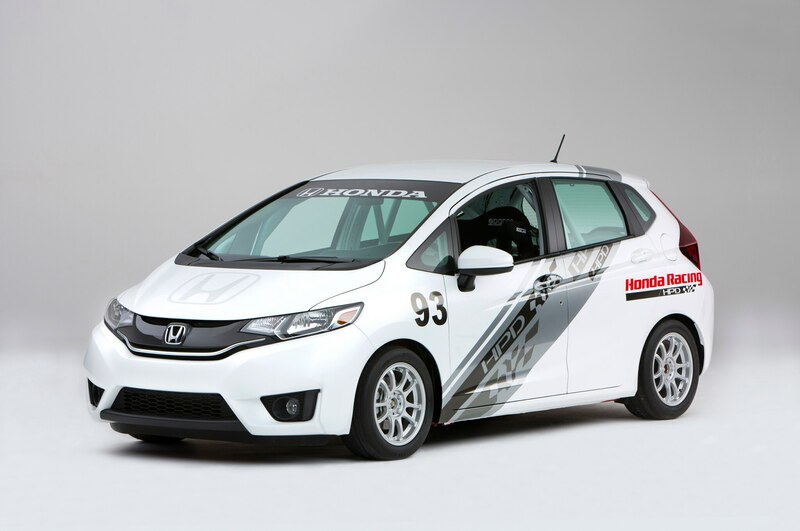 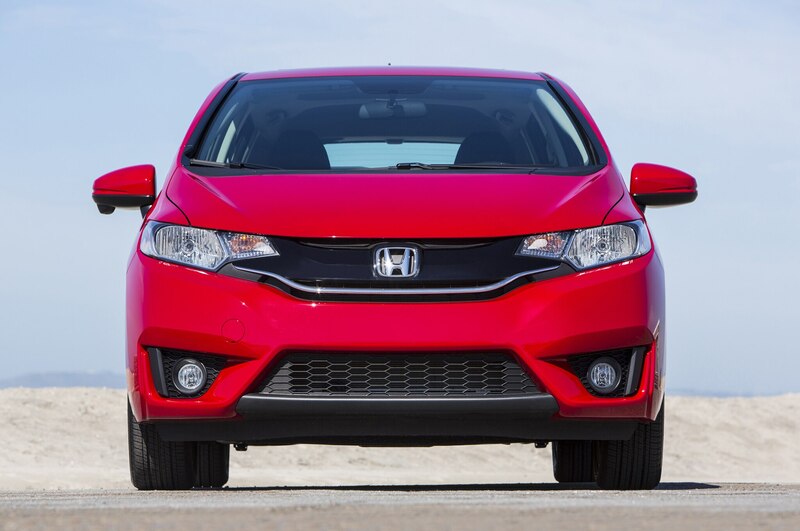 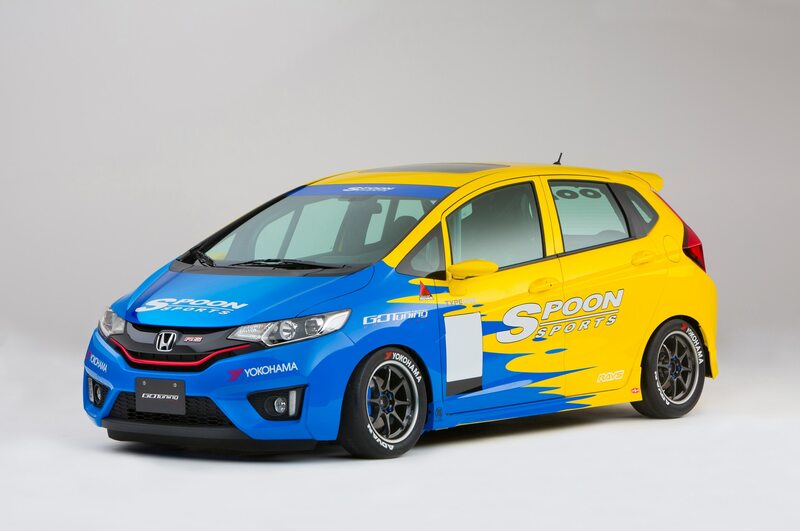 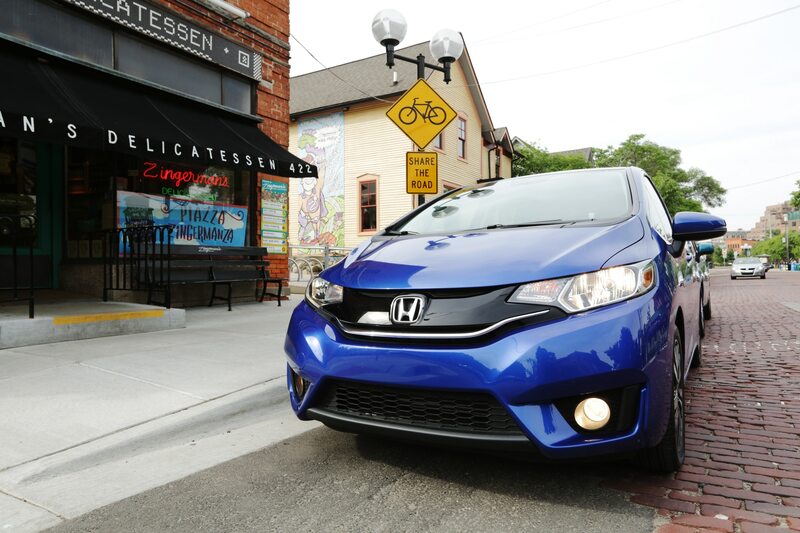 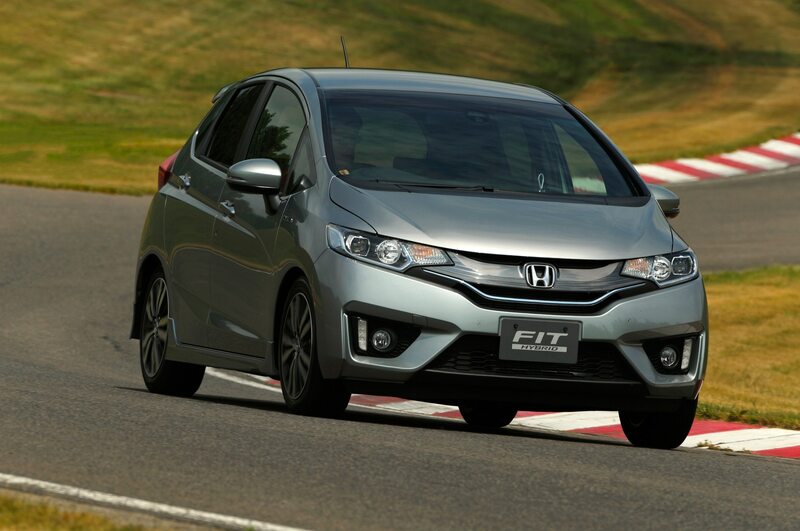 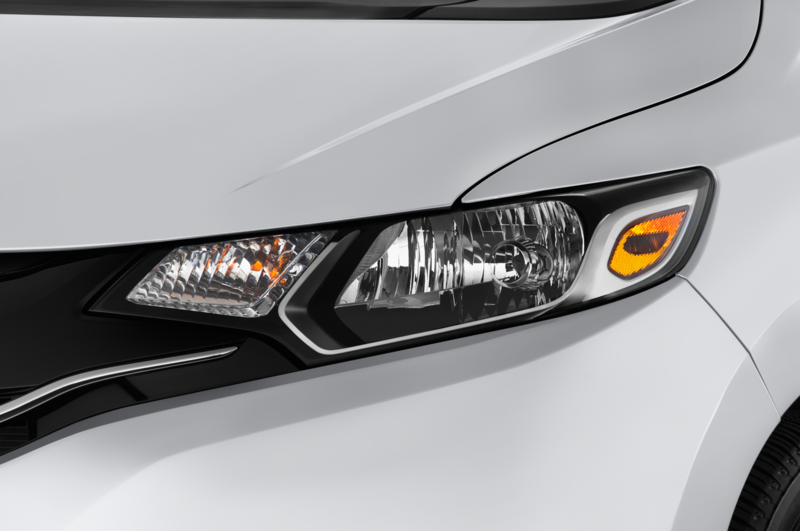 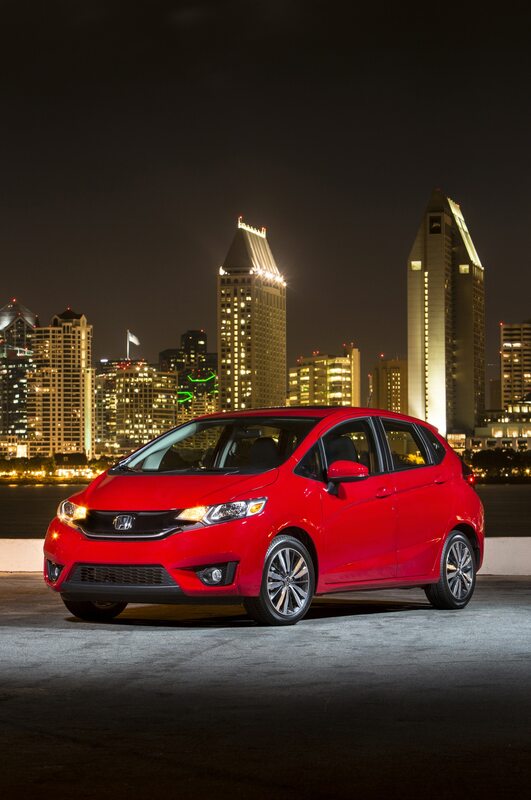 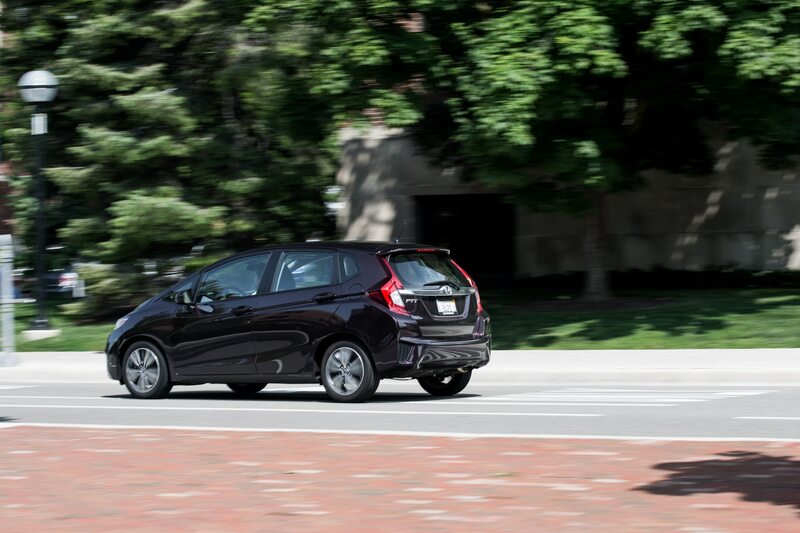 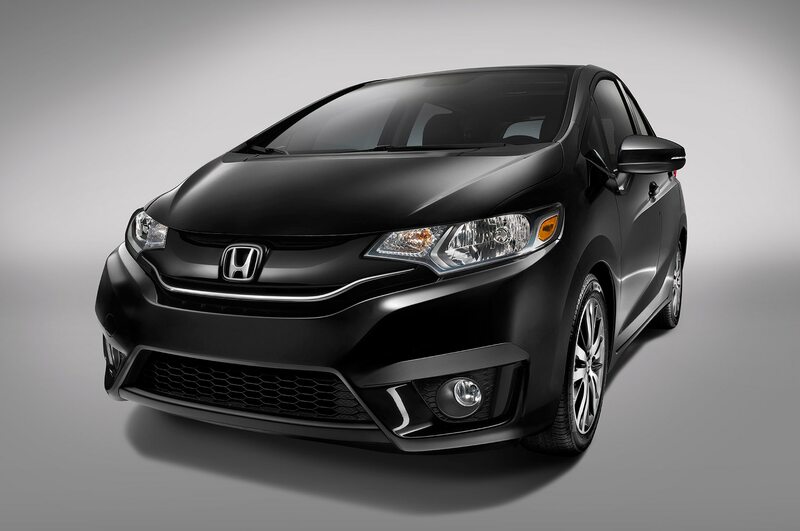 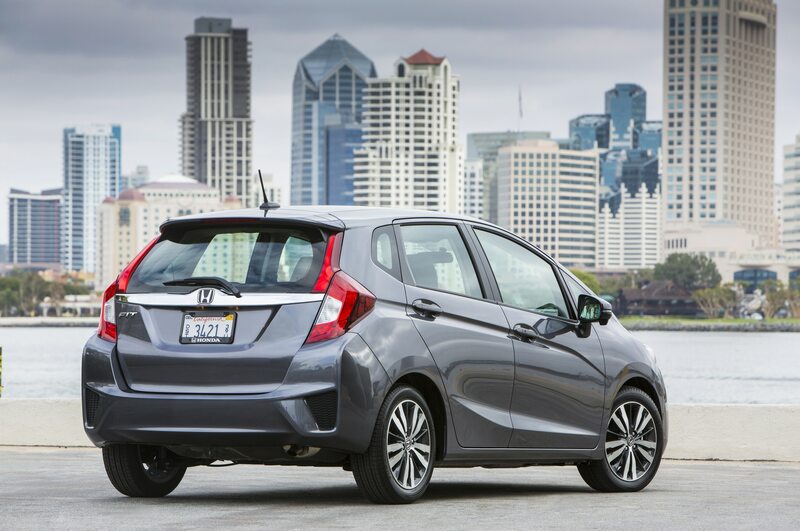 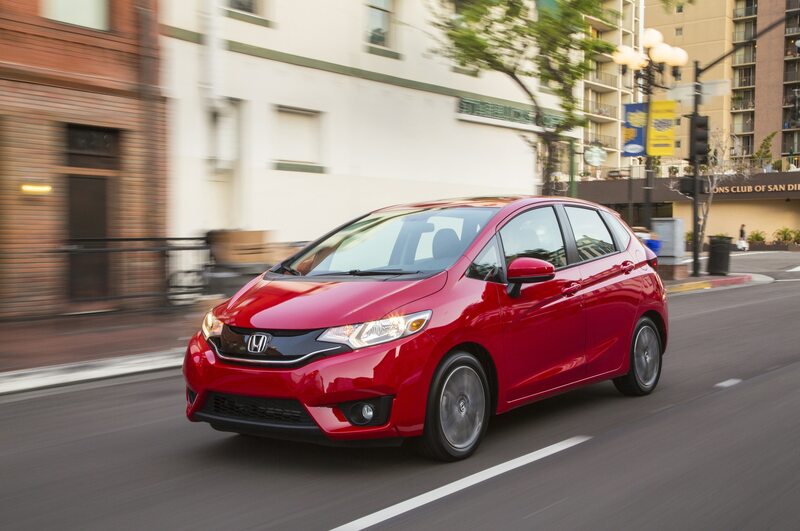 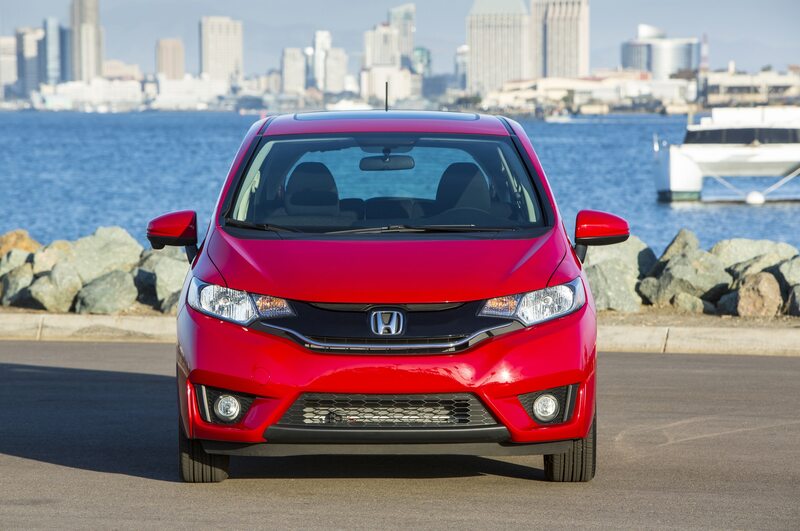 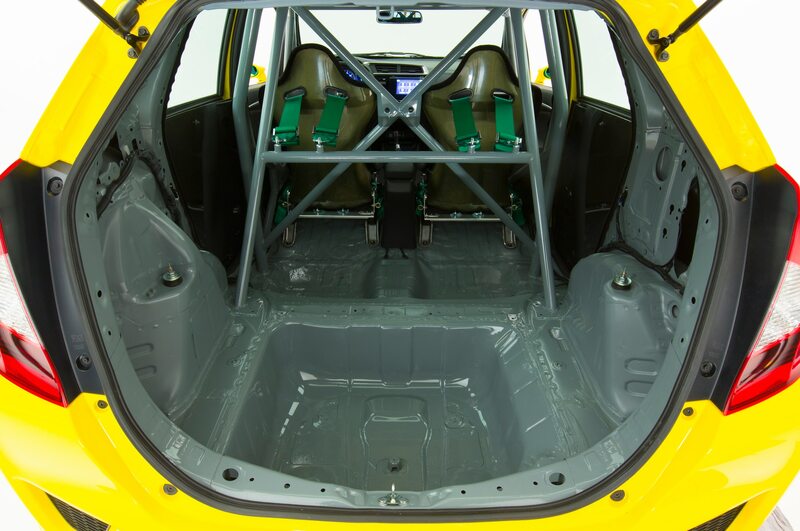 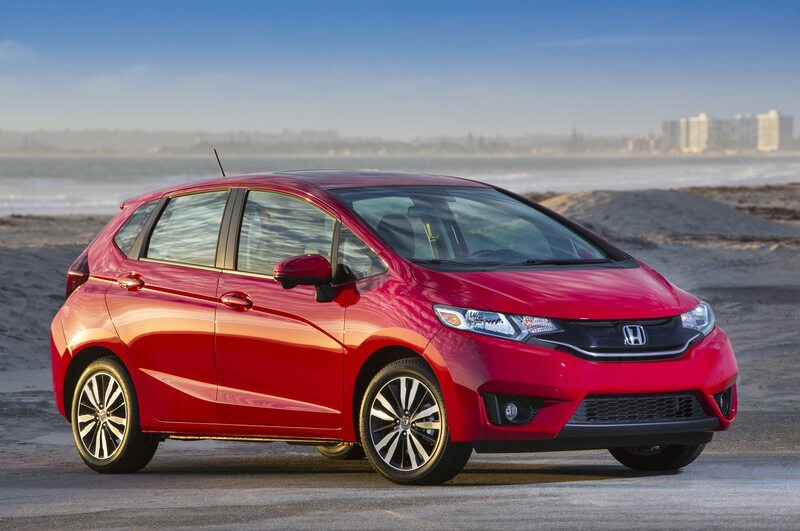 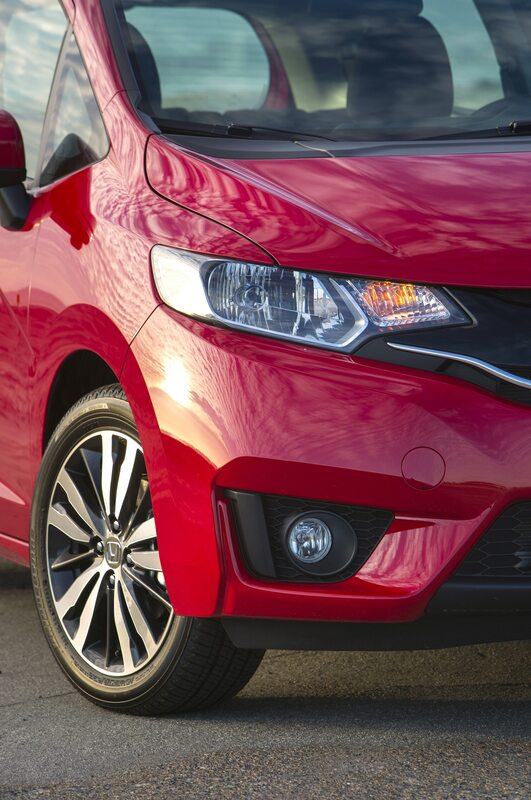 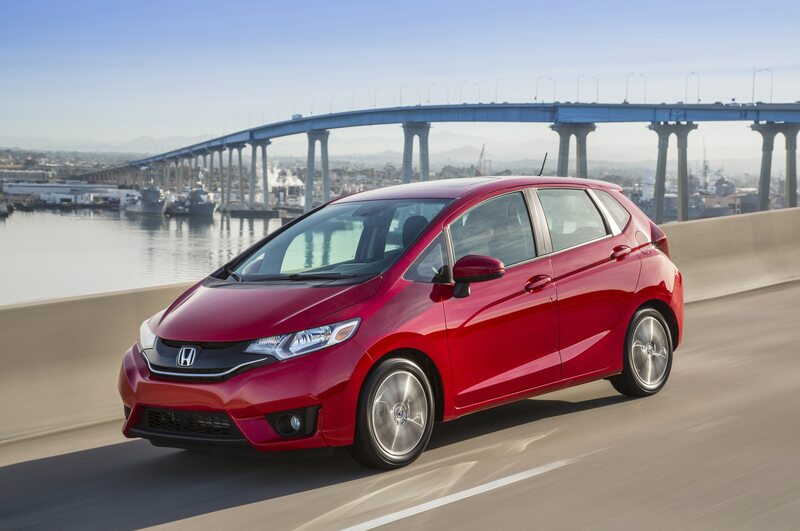 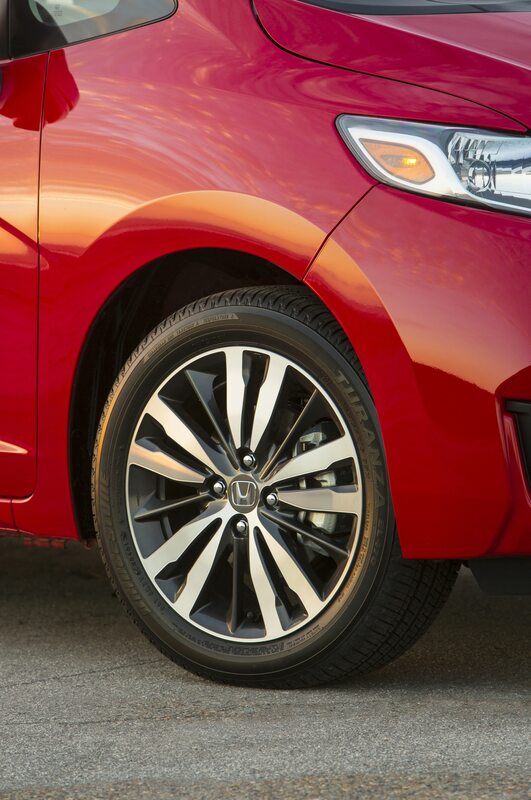 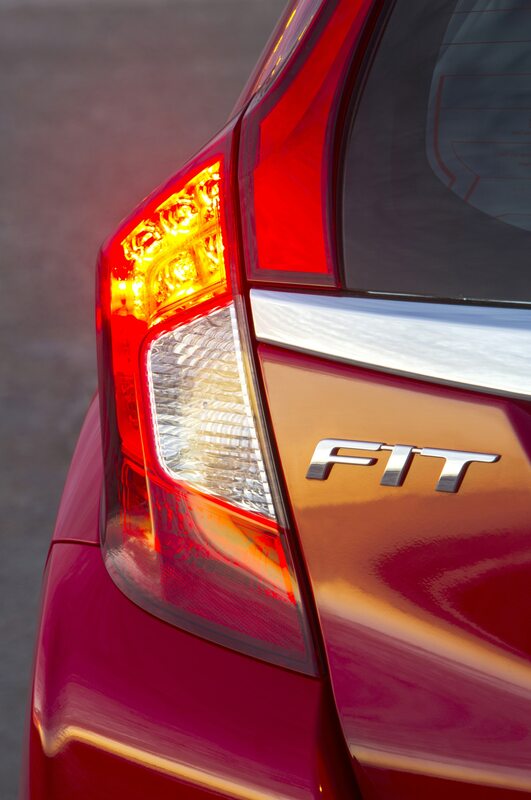 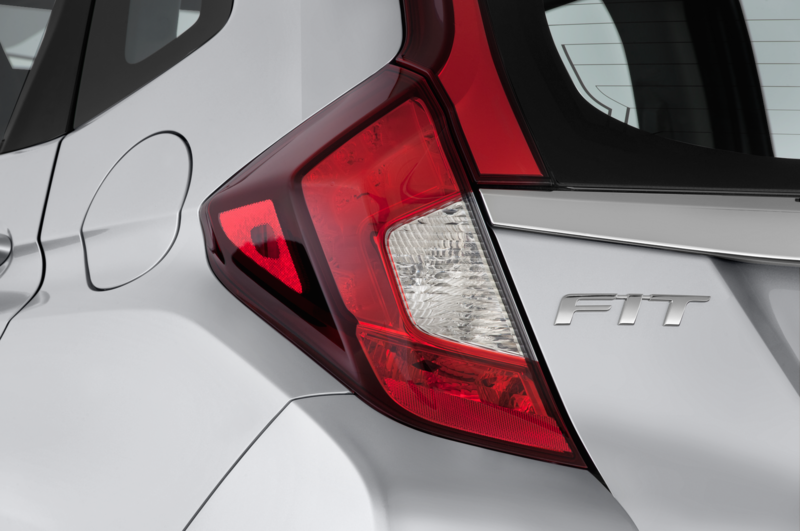 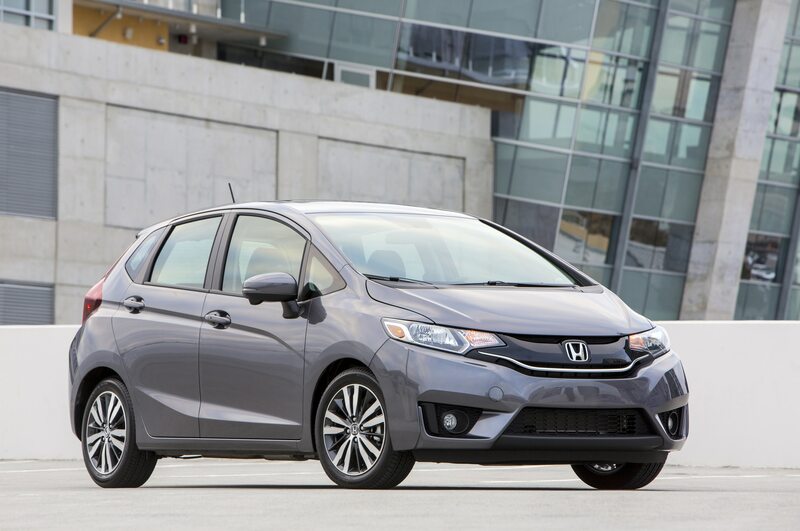 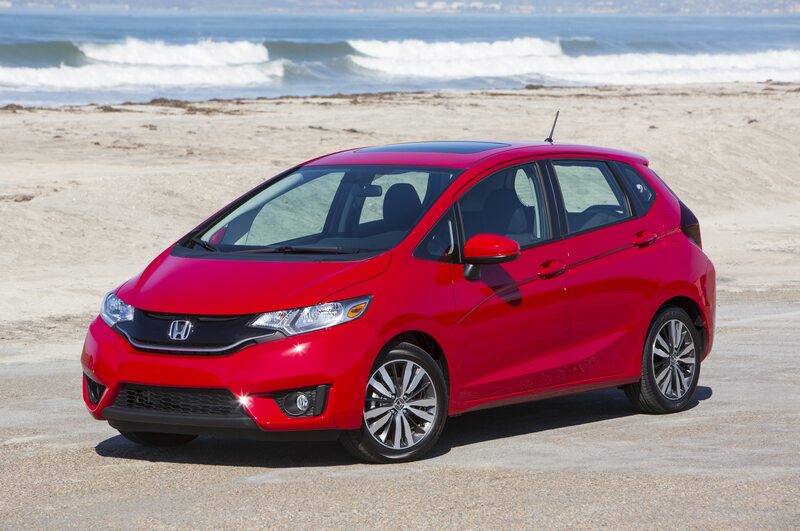 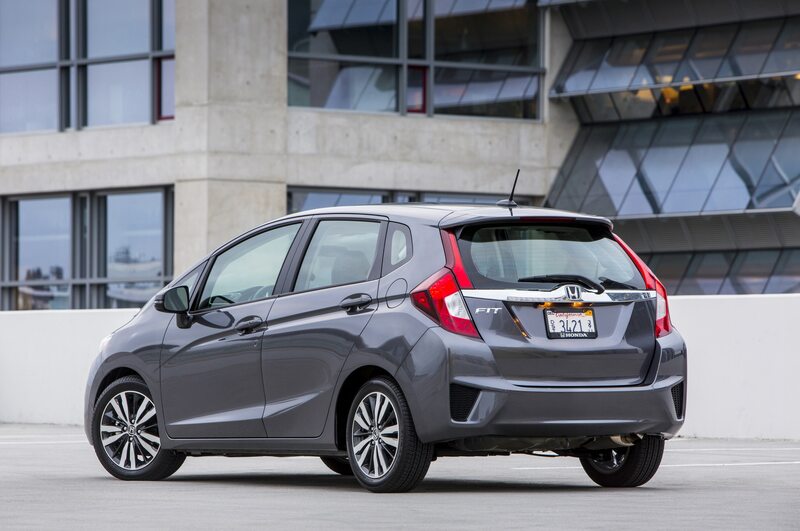 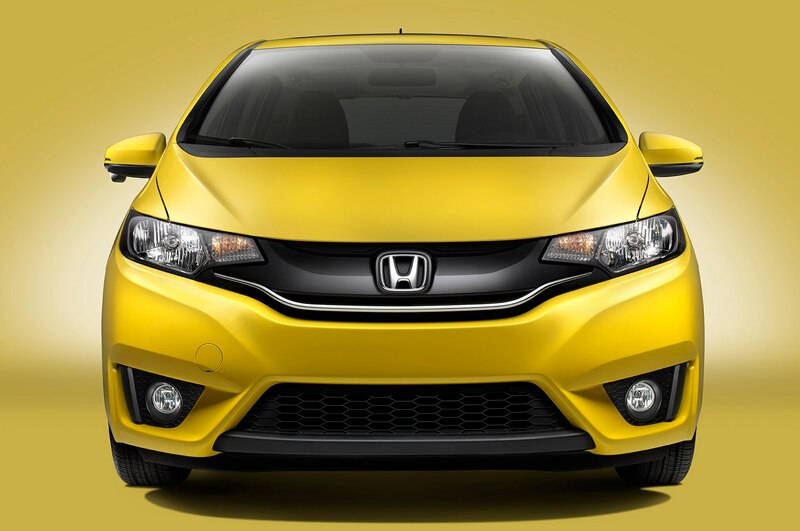 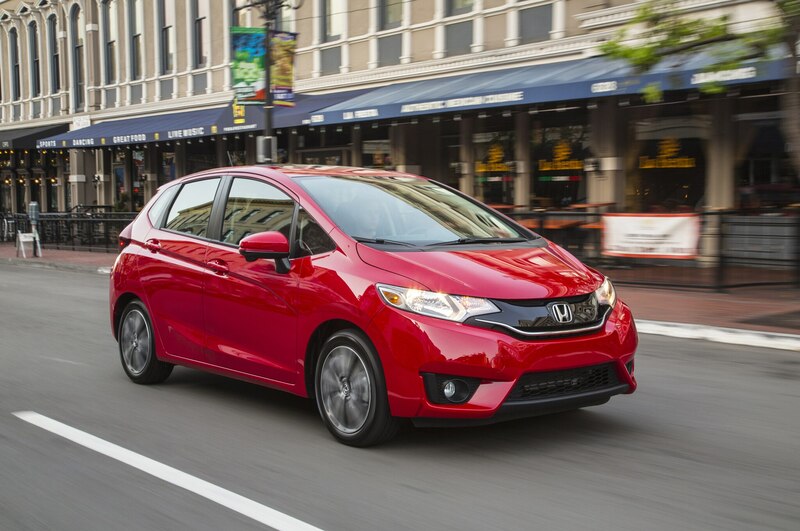 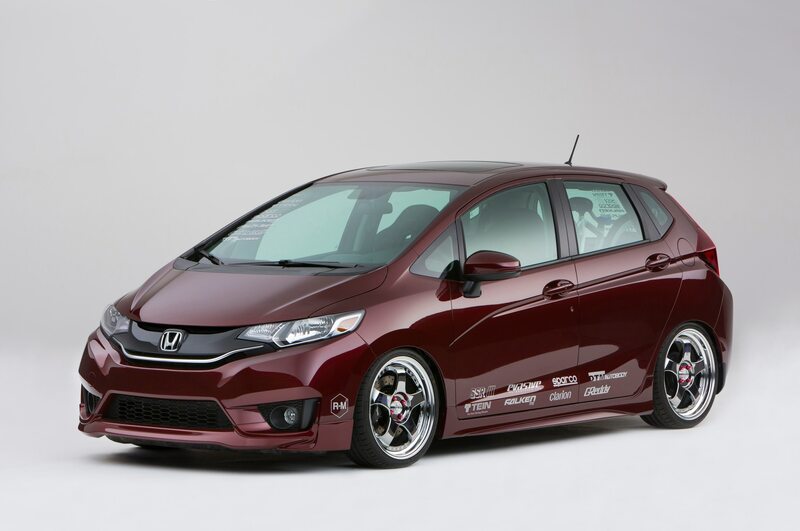 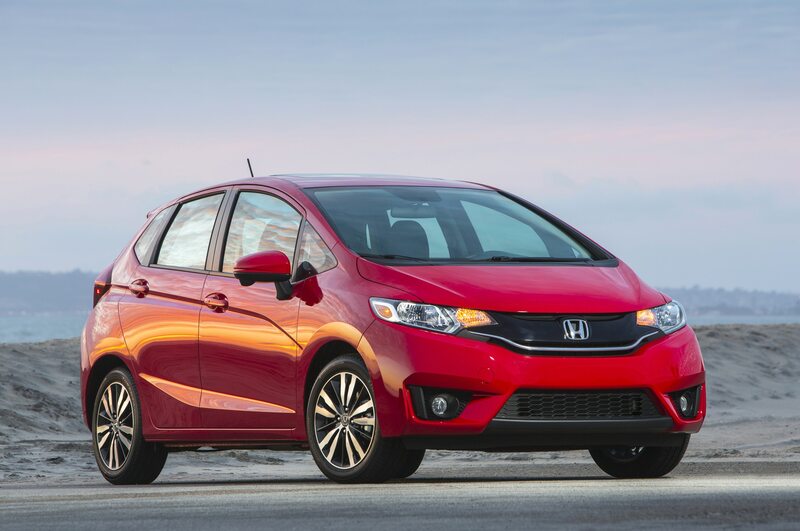 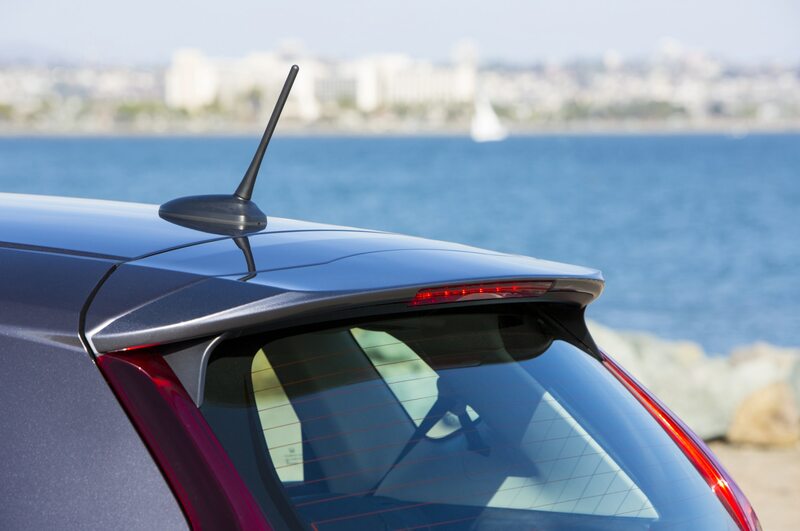 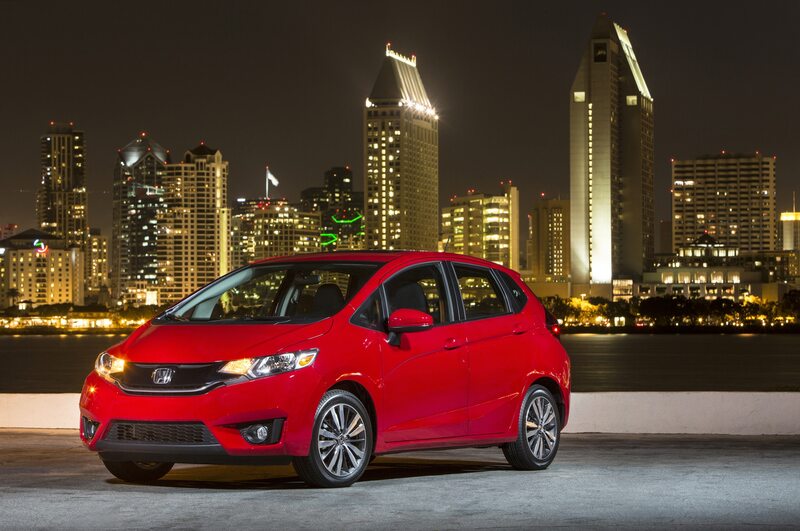 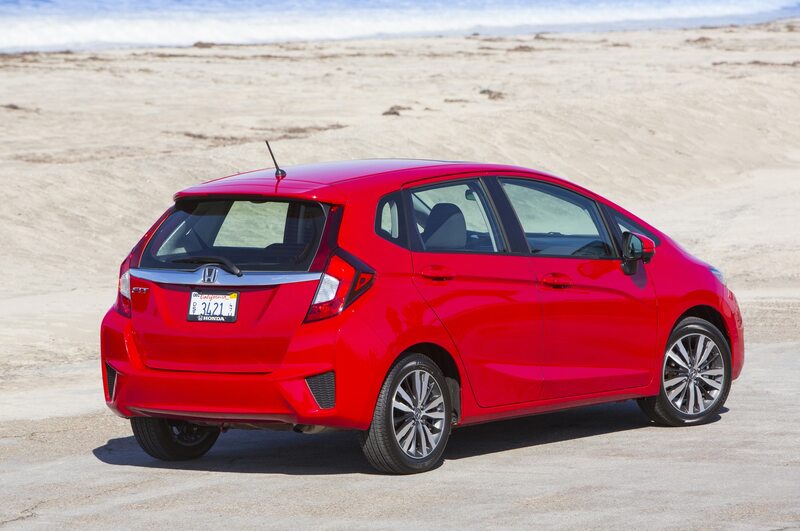 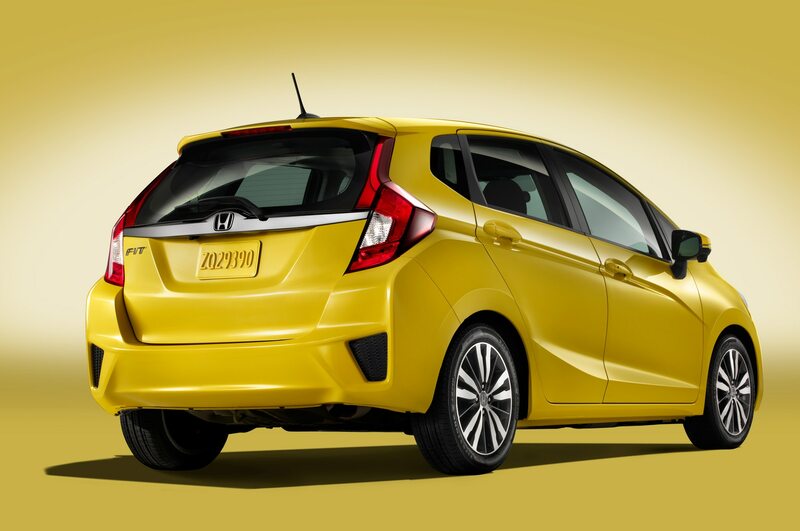 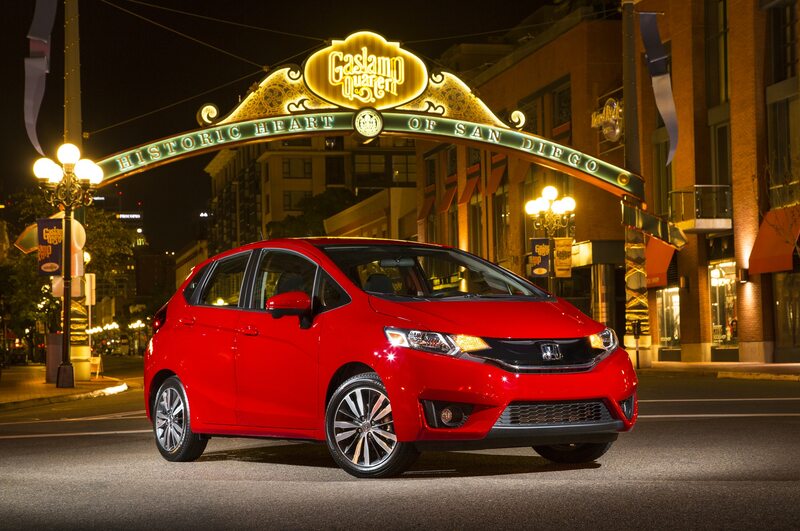 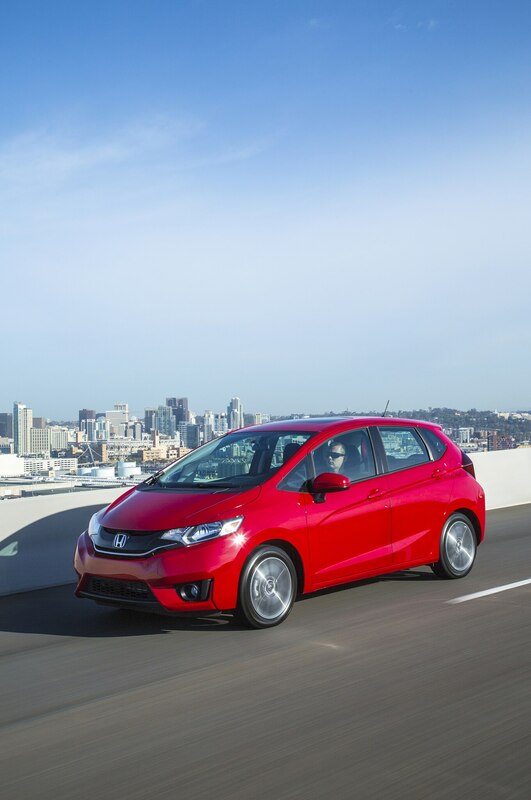 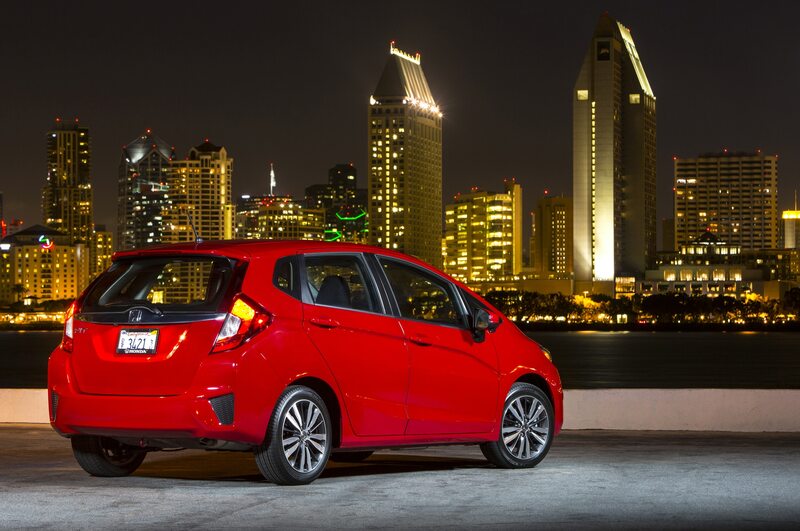 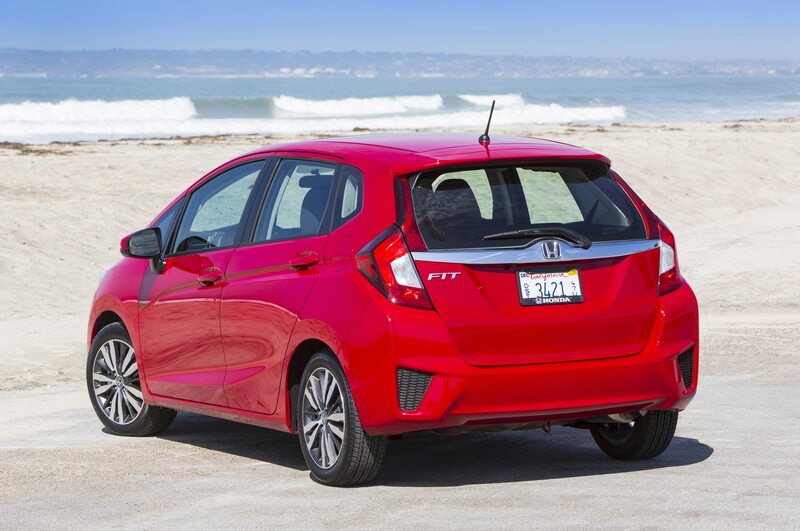 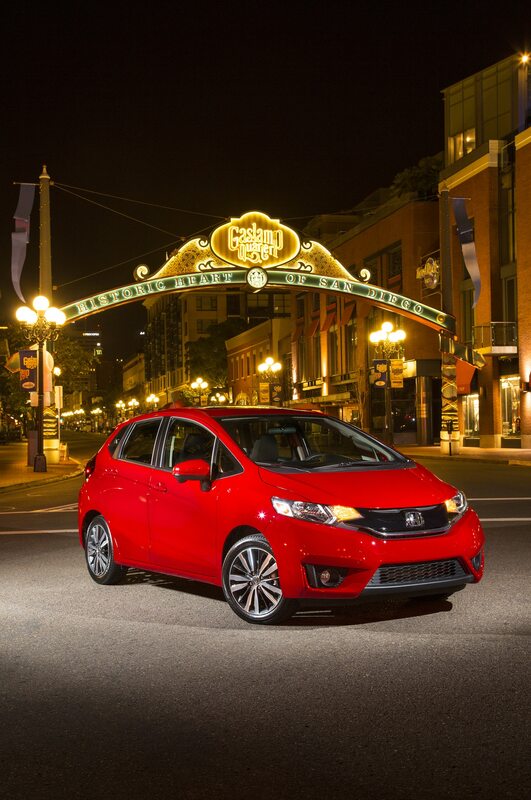 The 2015 Honda Fit goes on sale April 14. 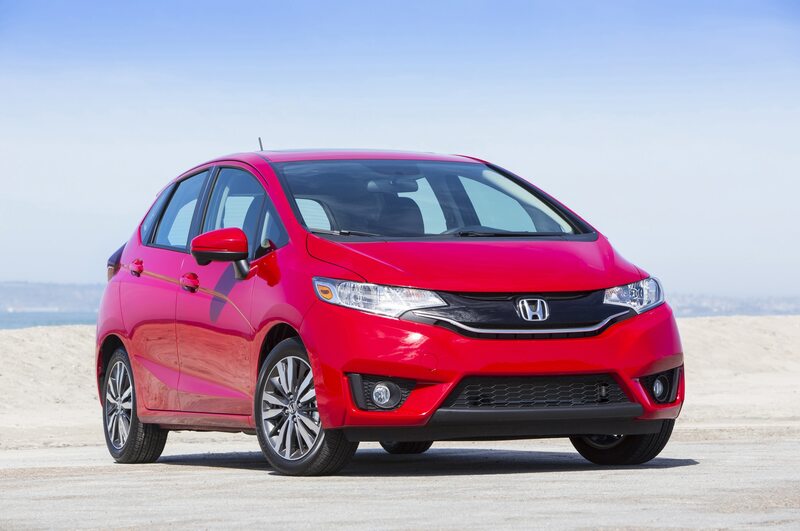 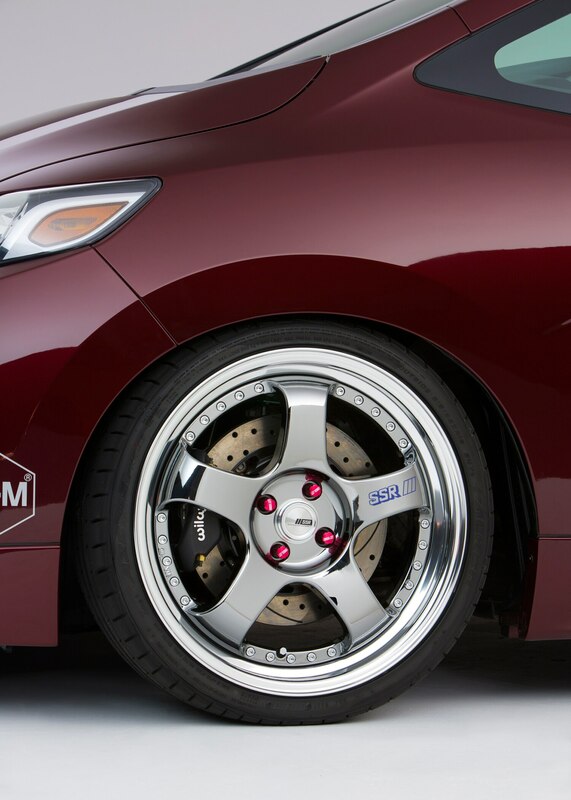 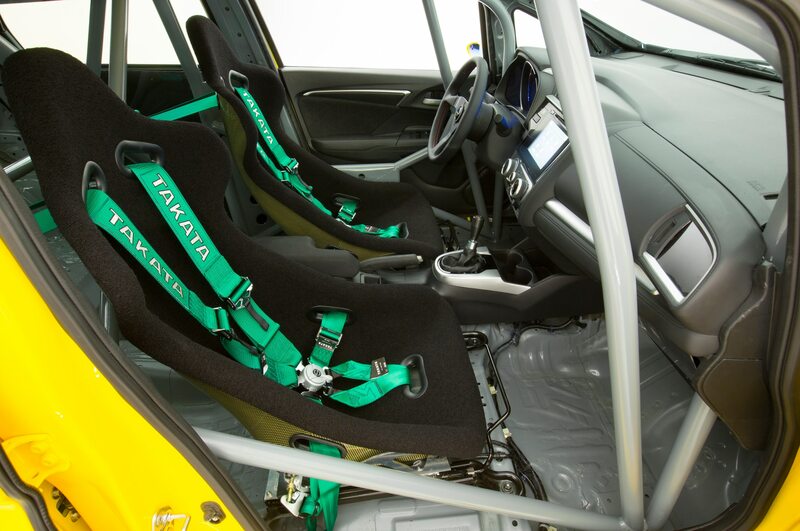 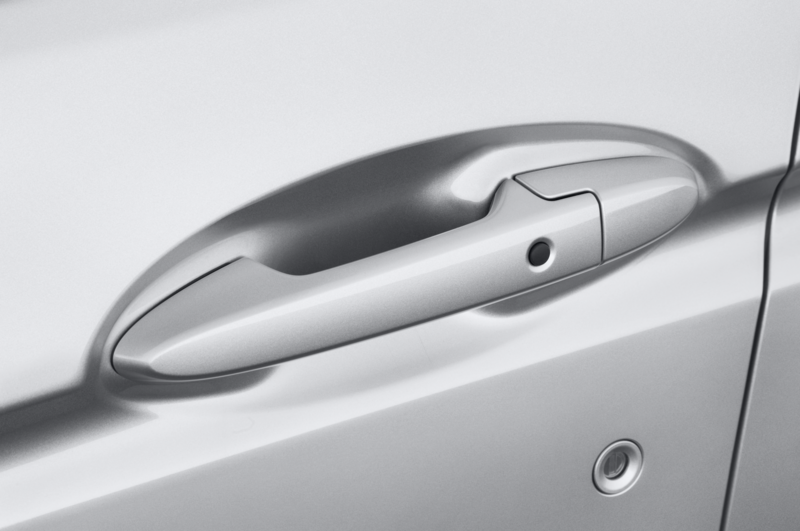 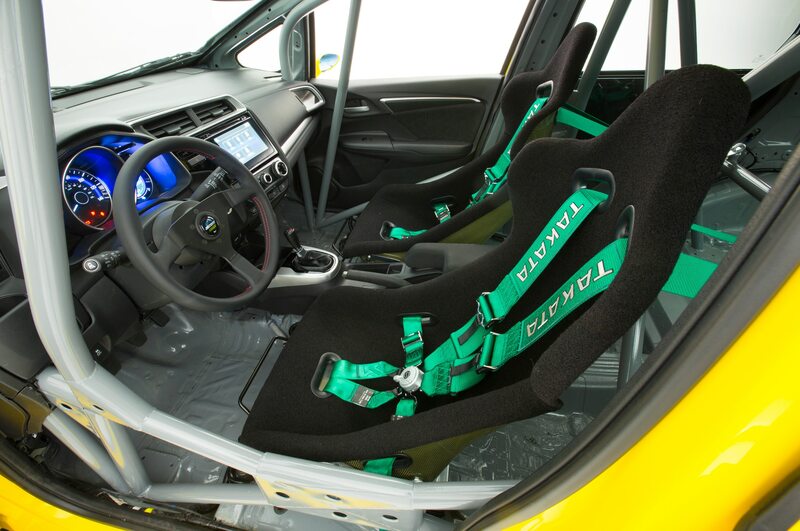 Also an IIHS Top Safety Pick.